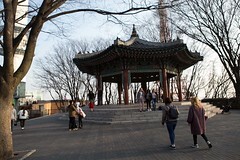 Seoul is a well-balanced city and there are many things to do in Seoul. 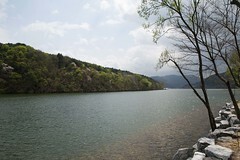 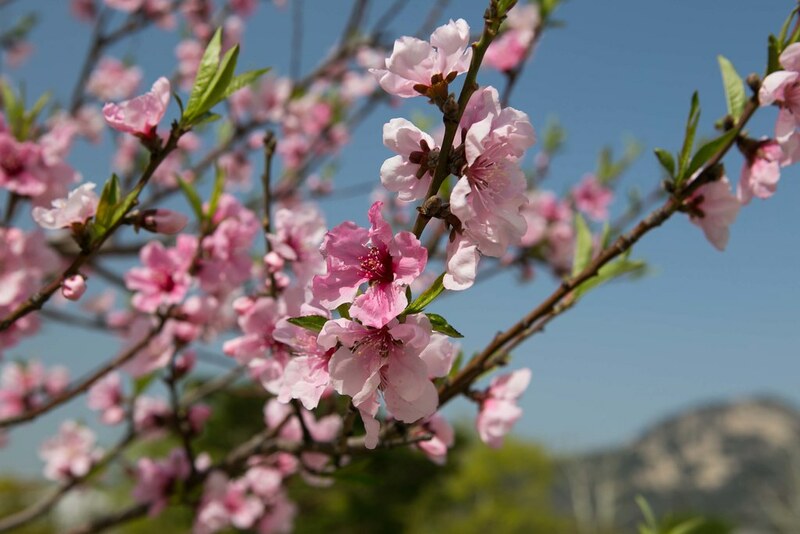 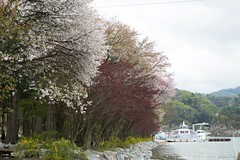 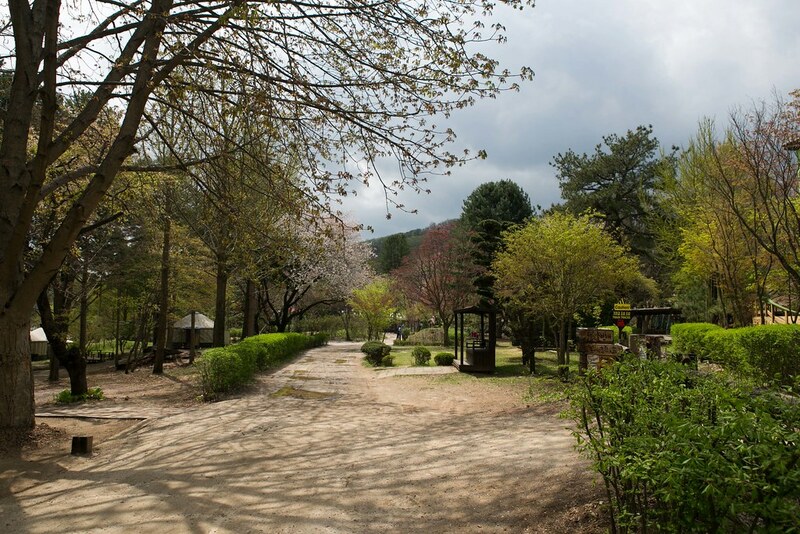 You can enjoy the buzzy city life as well as the peaceful and calm countryside. 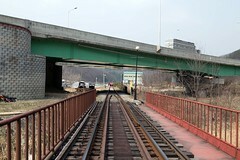 The city is well connected by subway, express train, and the bullet train. 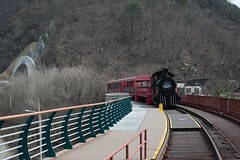 You can get to all the tourist destination by subway, bus or train. 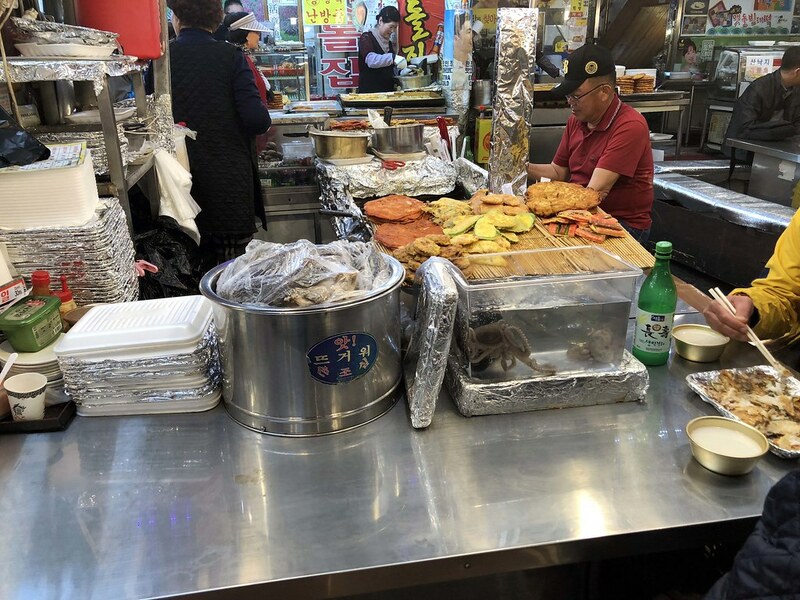 Food and water are everywhere and it a pretty safe place as well. 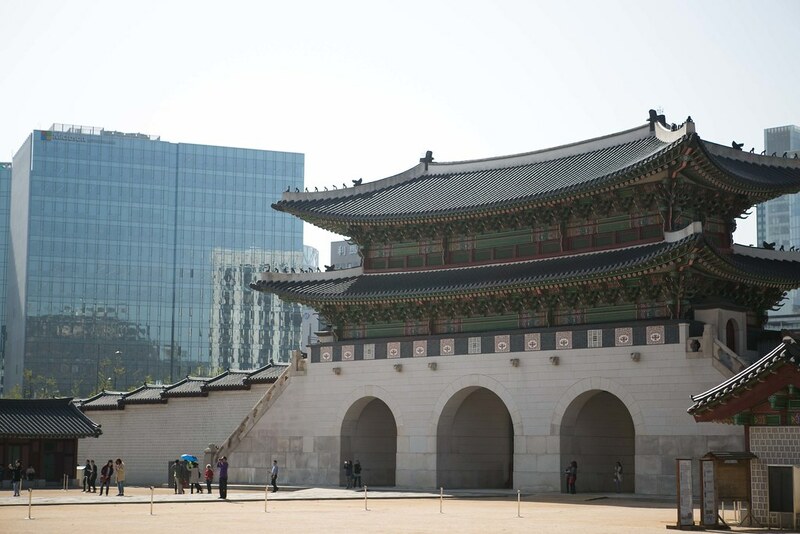 Here are the 12 things to do in Seoul. 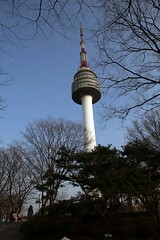 One of the iconic places in Seoul. It’s about 480m above sea level at the observatory. You can take a bus or a cable car to the tower. 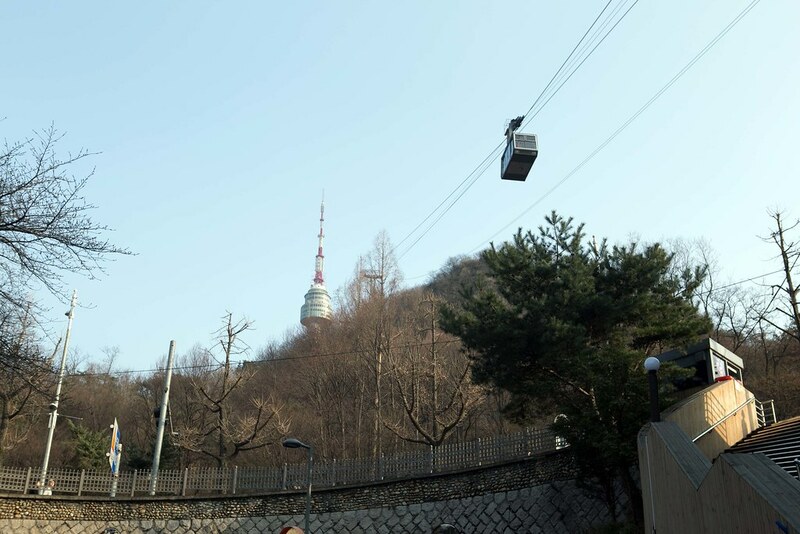 To get to the observatory, you need to get a separate ticket. 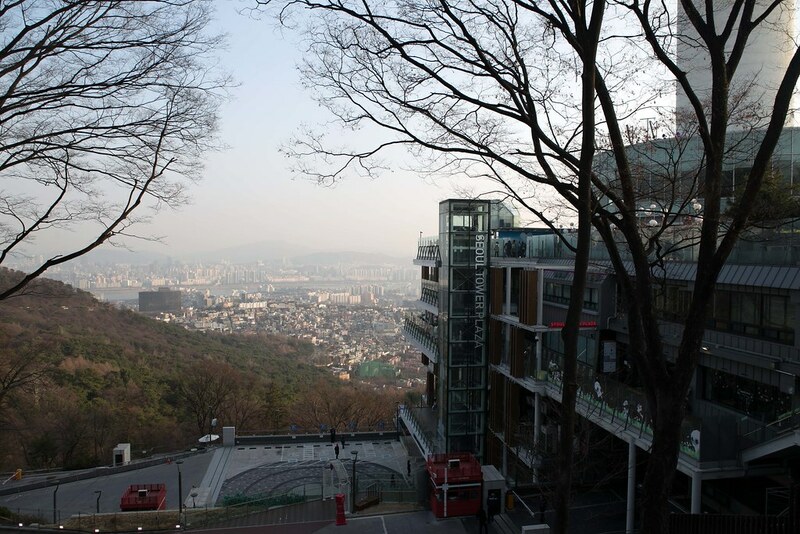 You will take a lift to the highest floor and the view is spectacular. 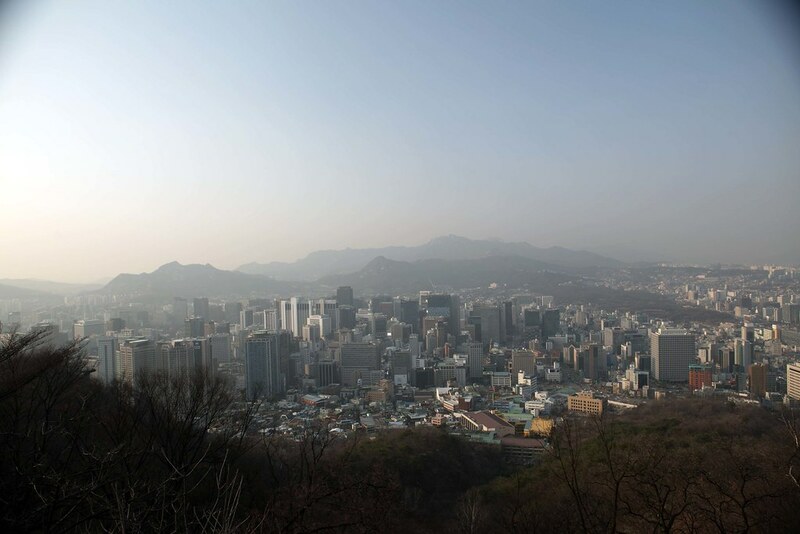 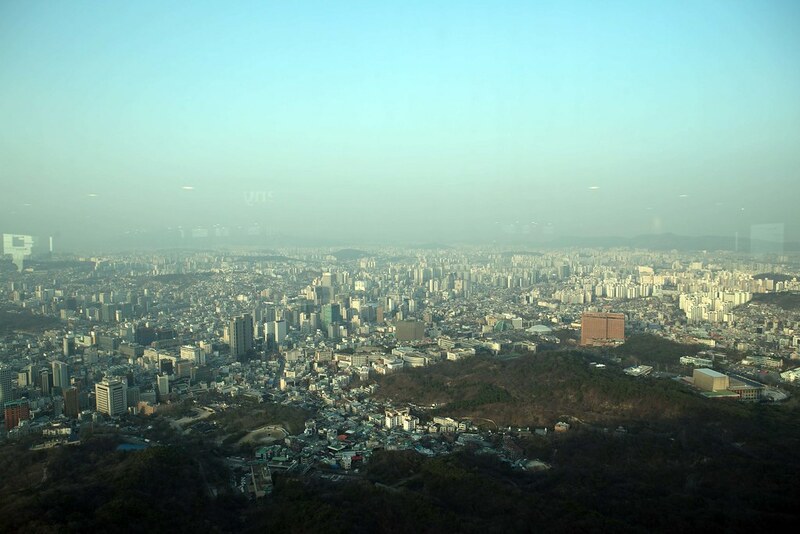 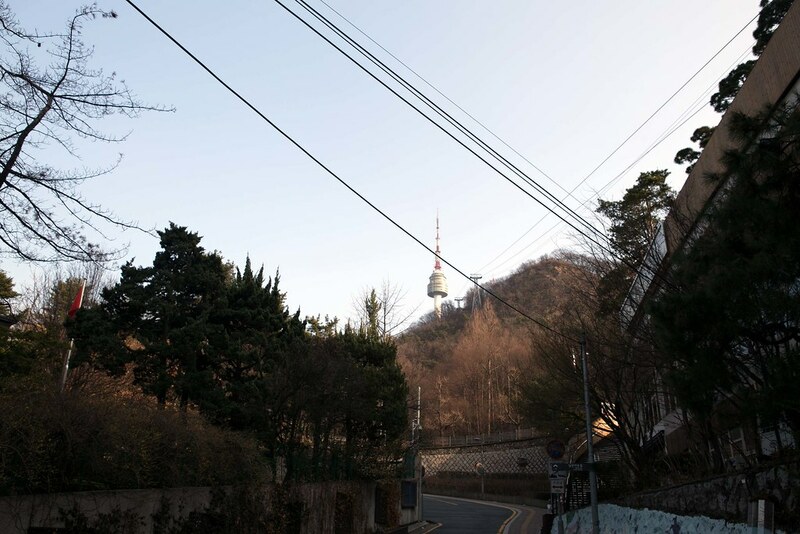 You can enjoy a 360 degree of the entire Seoul city. 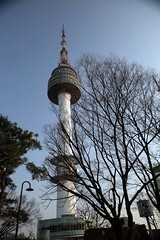 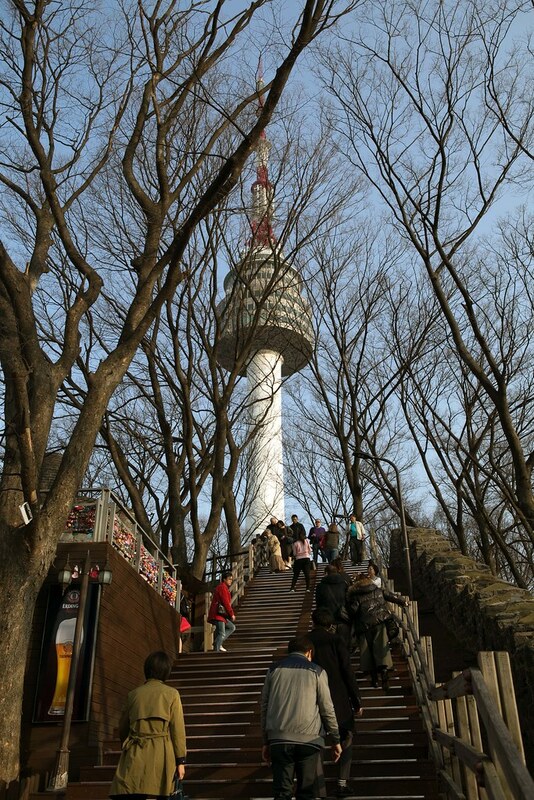 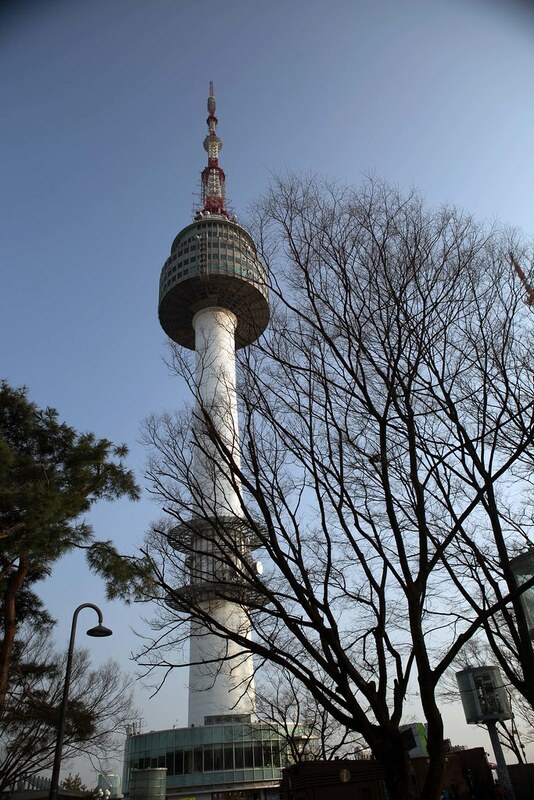 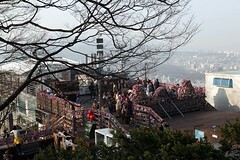 Watching the sunset with a clear sky is a romantic and enjoyment at the Seoul tower. 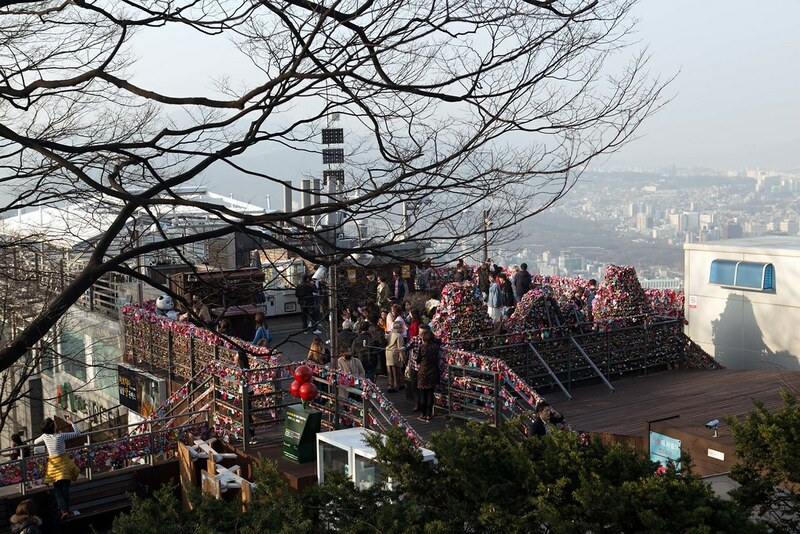 Bring your partner to Seoul tower lock your love at this lovely sunset. 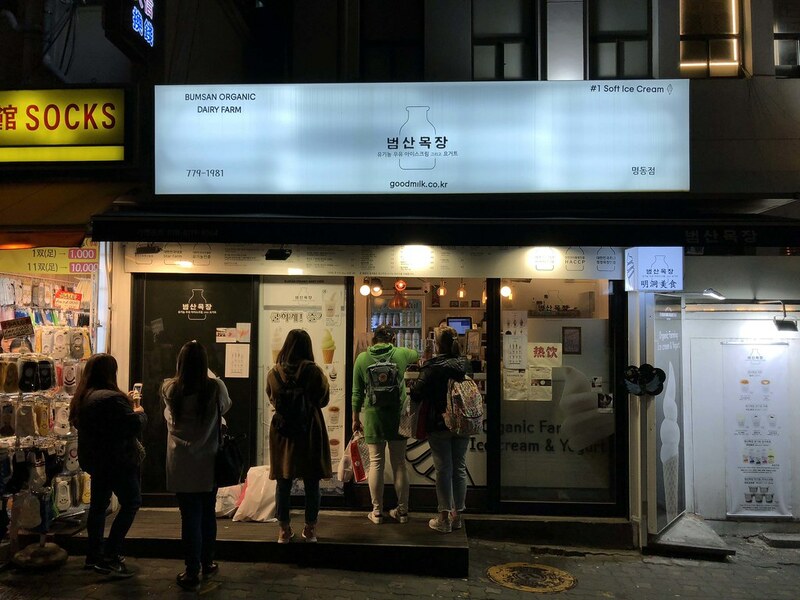 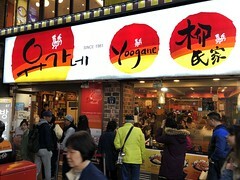 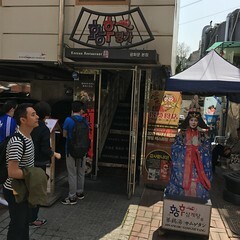 This is a popular noodle store in Myeongdong. 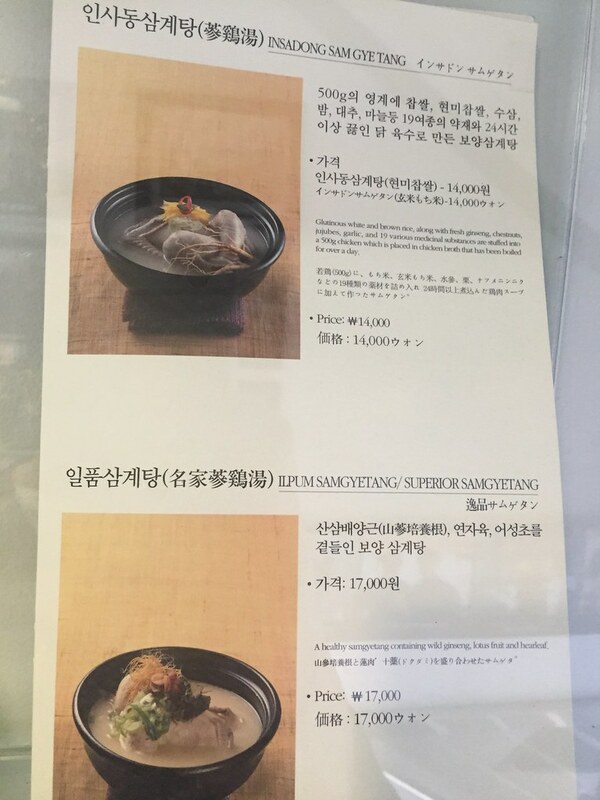 Their menu items are limited and they sell only 4 items. 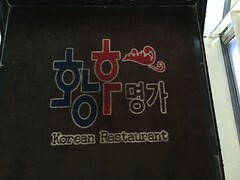 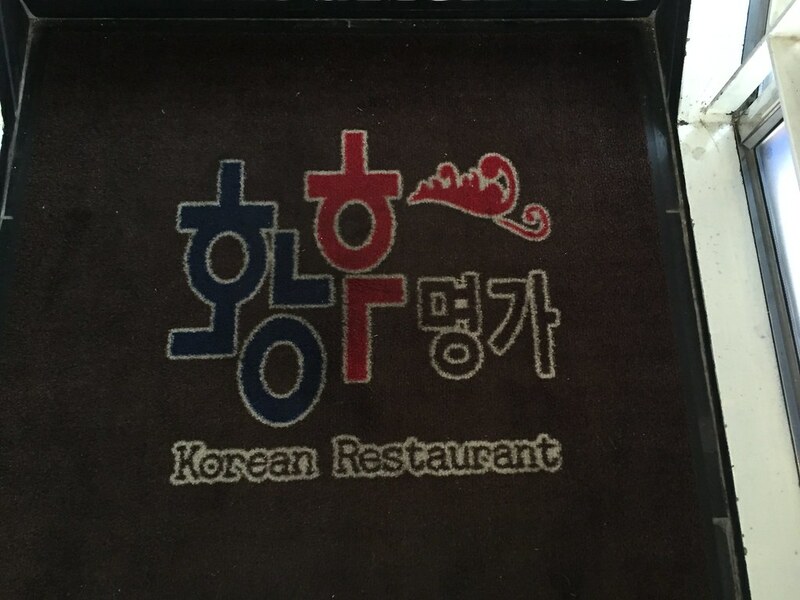 I usually try their Kalguksu and Mandu, they are delicious. 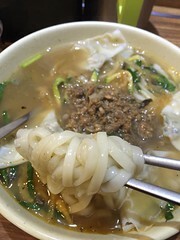 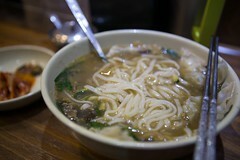 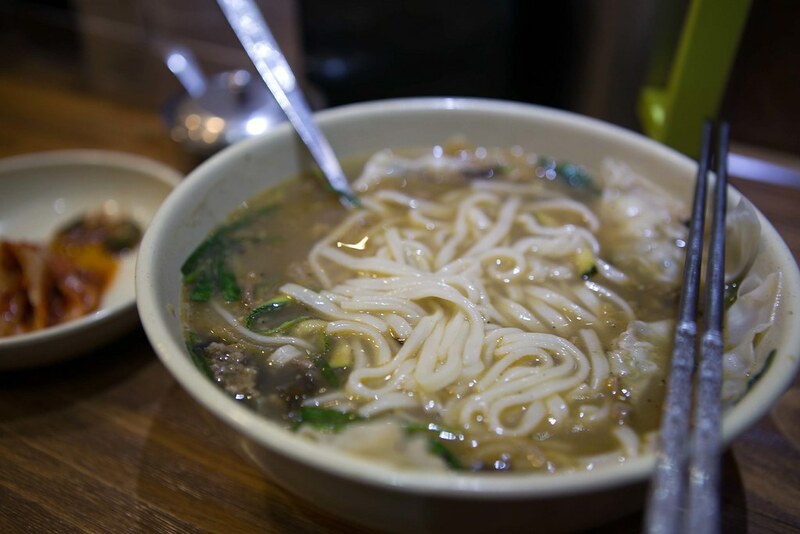 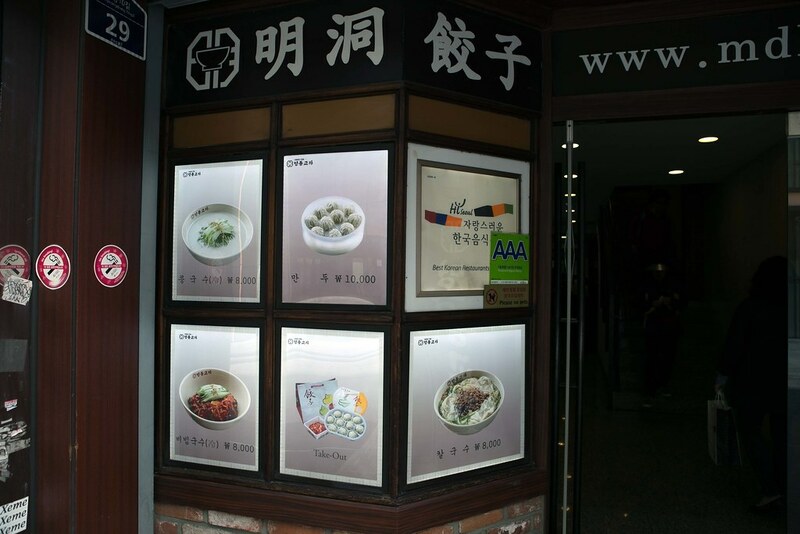 Kalguksu is a hot rich pork broth noodles with minced pork and dumpling in it. 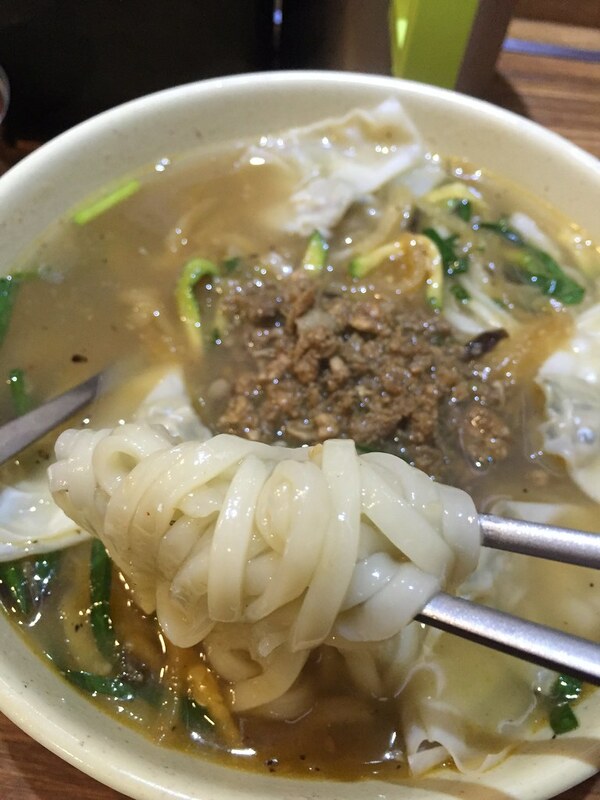 The noodles are soft and at the right texture. 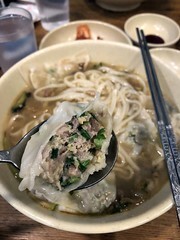 The dumplings are juicy and tasty. 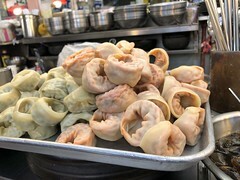 The Mandu are delicious and juicy. 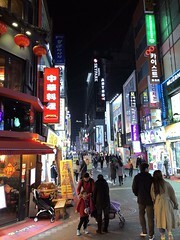 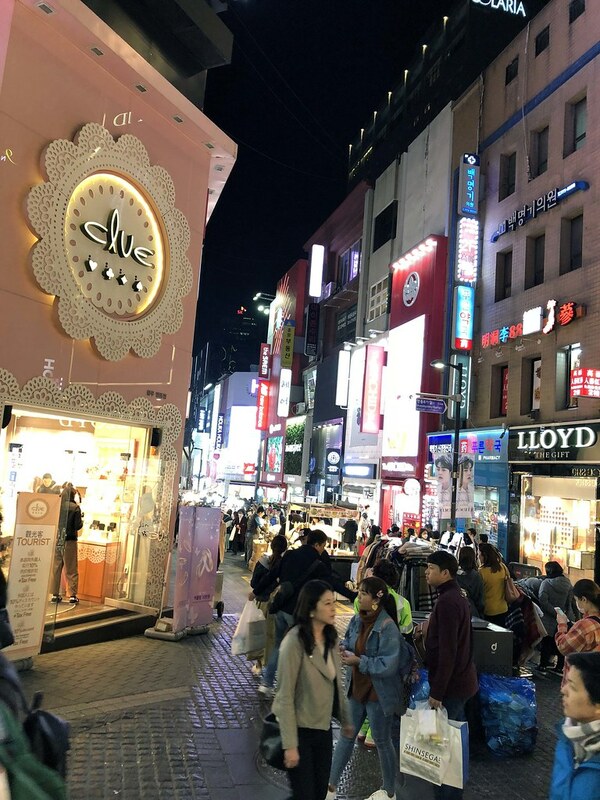 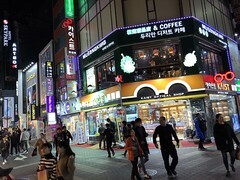 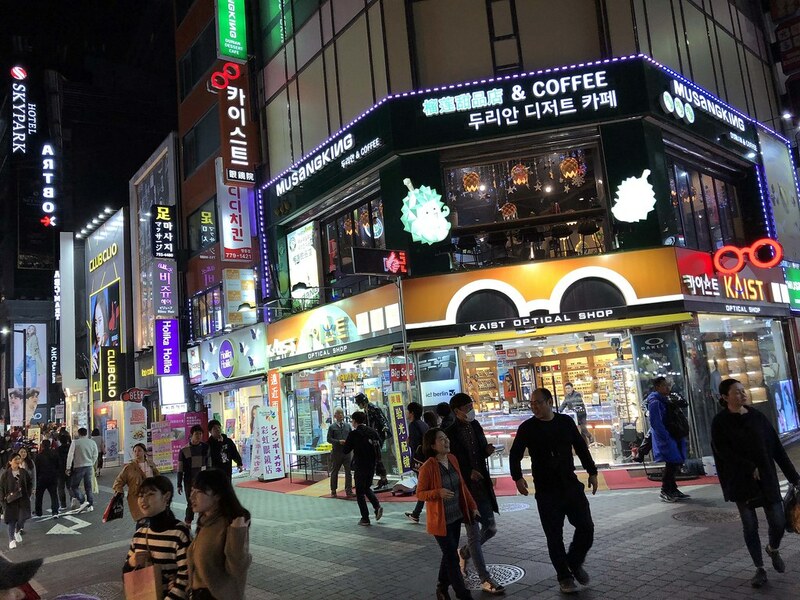 Myeongdong becomes a fun and buzzy street at night. 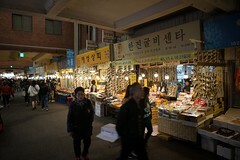 There are shops selling cosmetic, facial product, street food, apparel and much more. 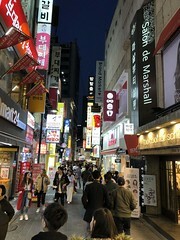 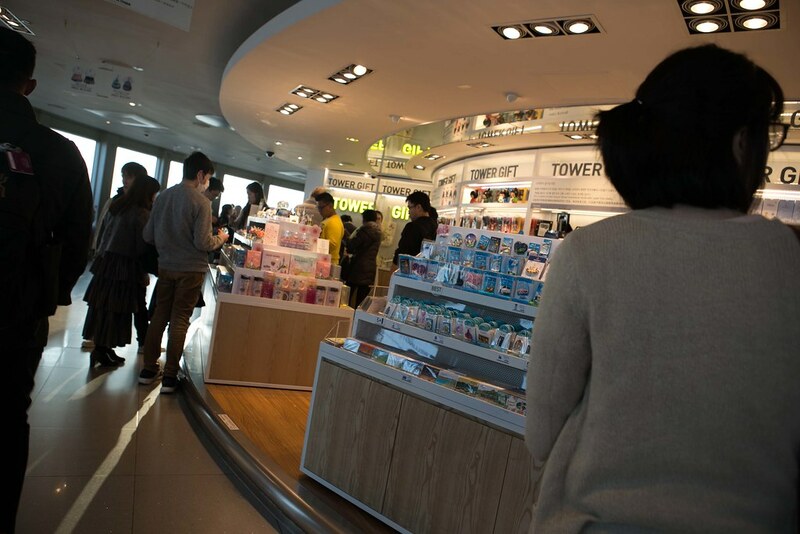 You can find an 8 story DAISO and a 13 story lotte duty-free mall. 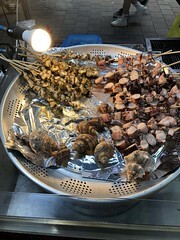 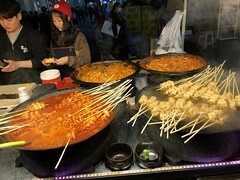 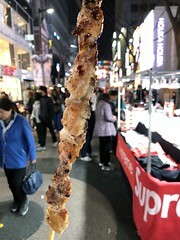 Street foods are everywhere and you will not go hungry after all the shopping. 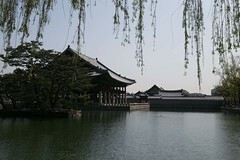 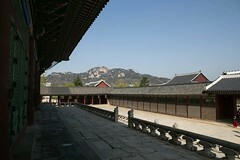 Gyeongbokgung Palace covers more than 40 hectares. It would take about half a day to walk through each section. 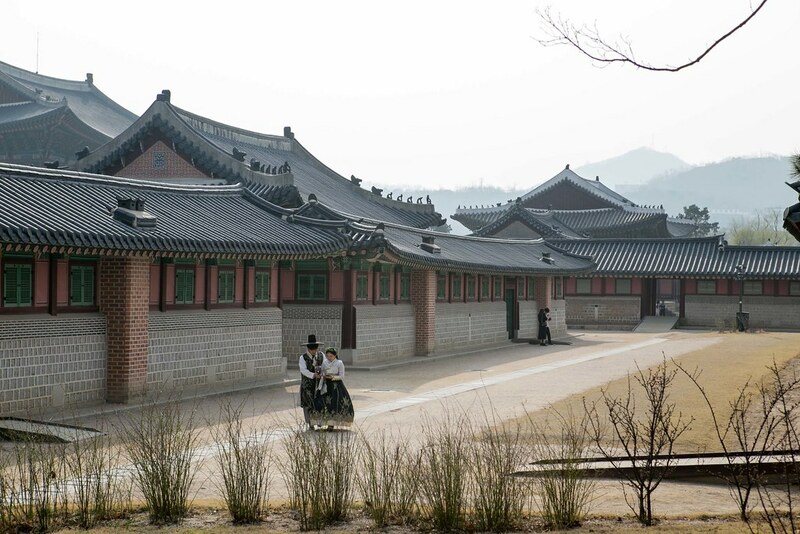 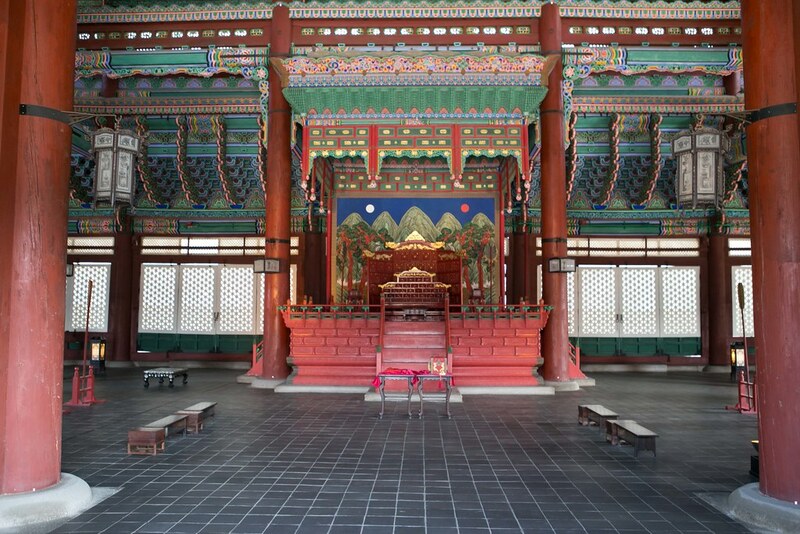 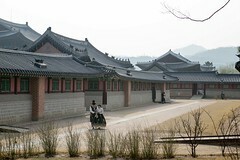 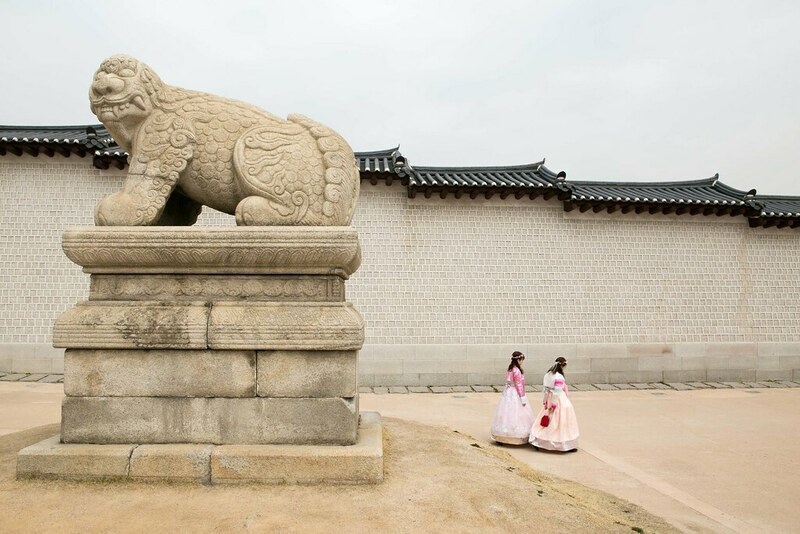 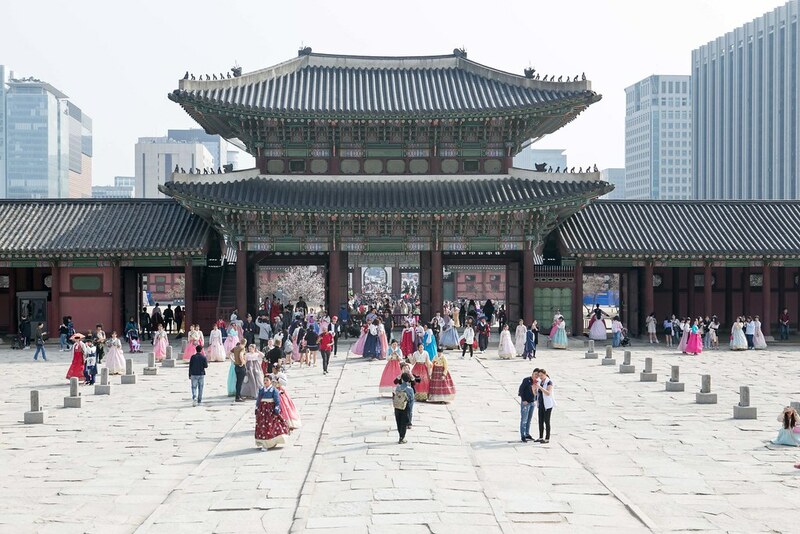 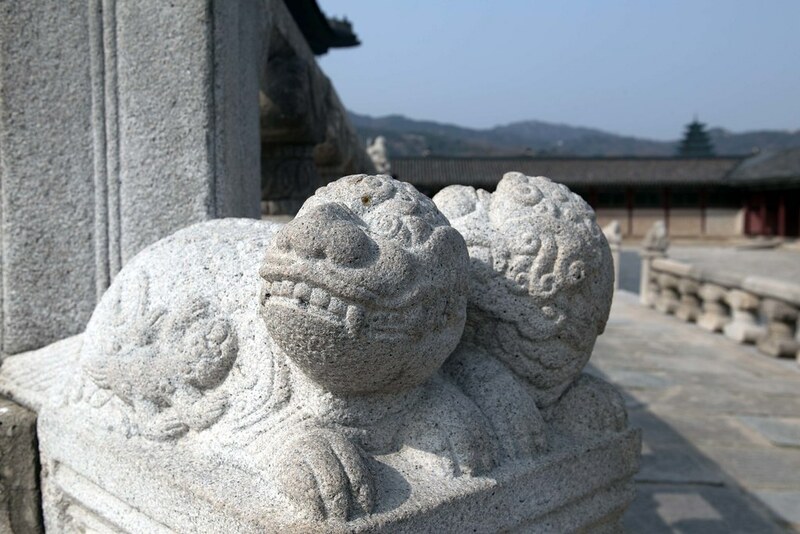 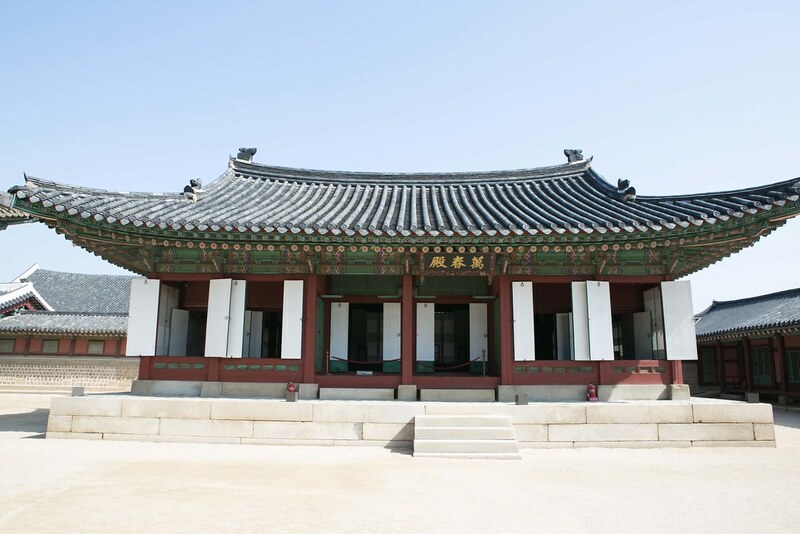 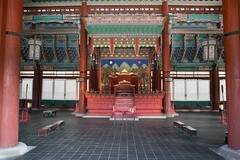 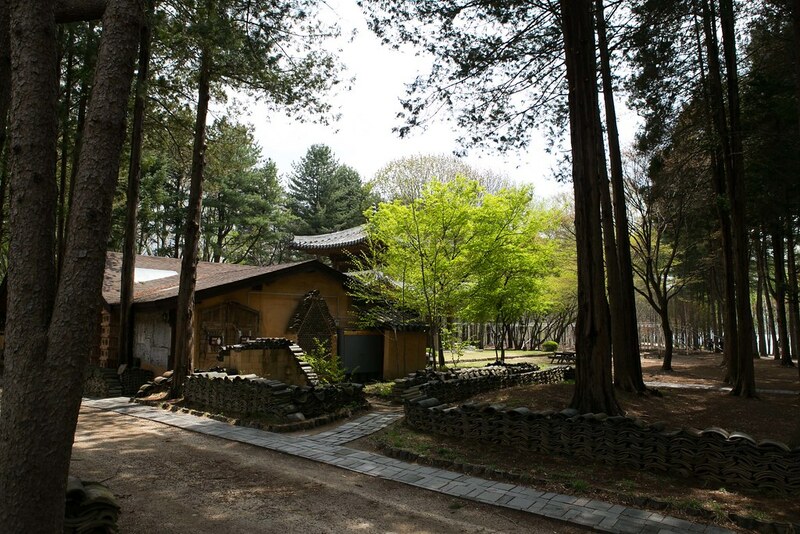 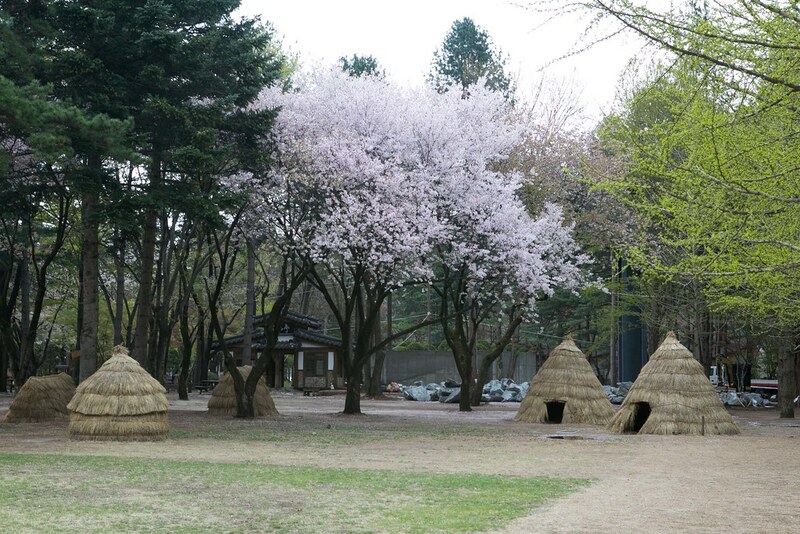 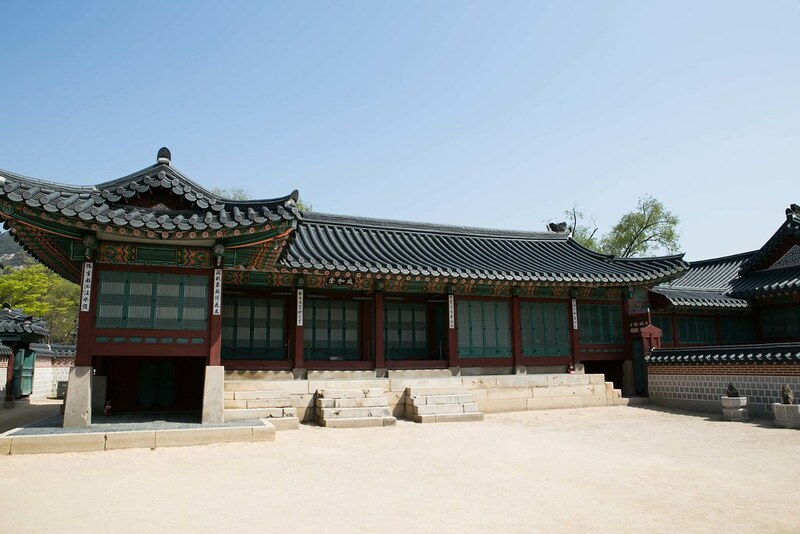 It was built in 1395 under the newly found Joseon Dynasty where the royal families live and work. The palace was damaged by fire in 1553 and was restored. 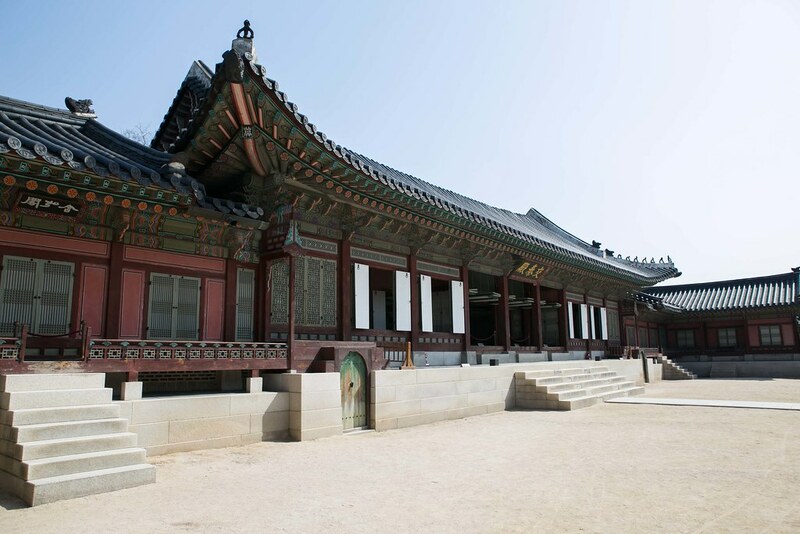 It was destroyed during the Japanese occupation but later fully restored. 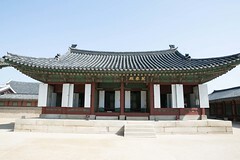 There is a pavilion where it hosts their foreign envoys or his court members. 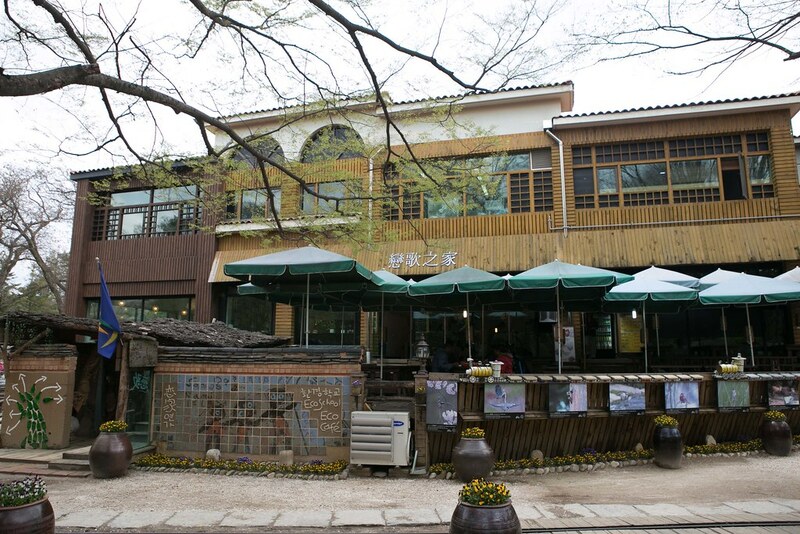 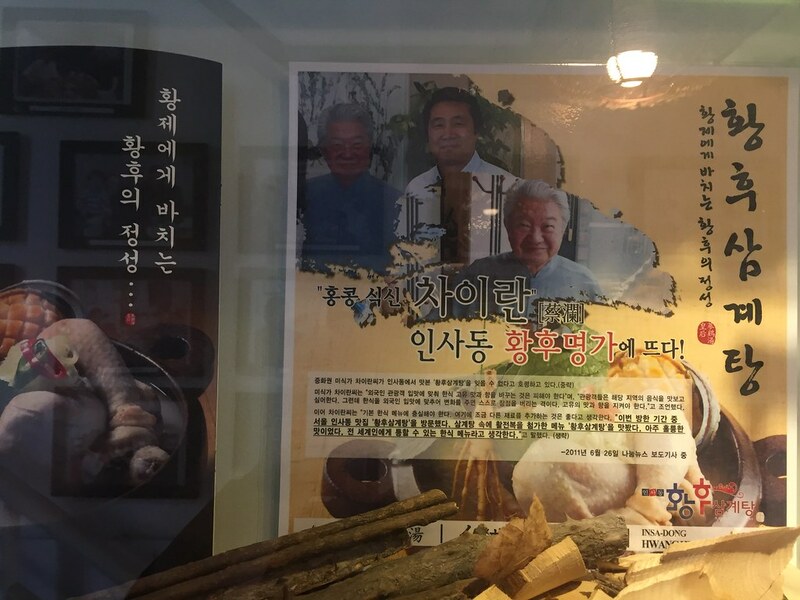 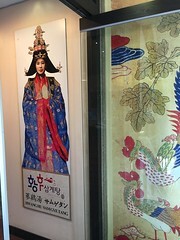 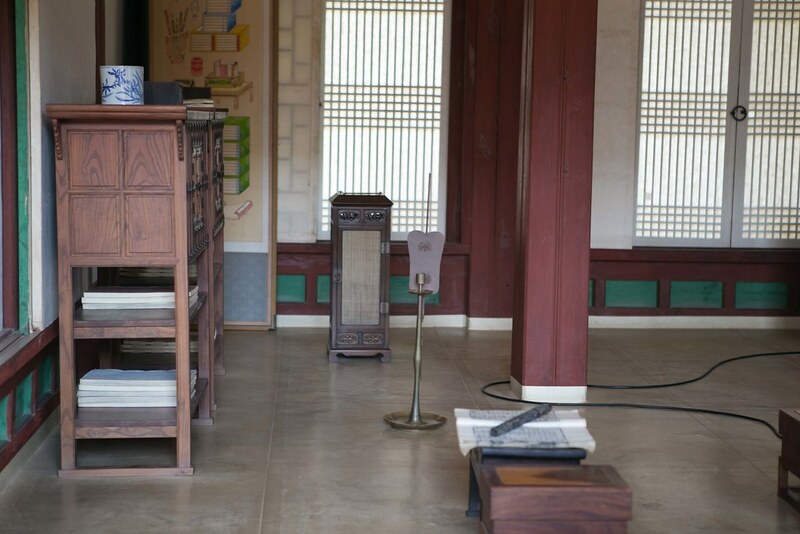 At the National folk museum, there are some art galleries which exhibit the life of the ancient days, the tools they use, how hangul was invented. 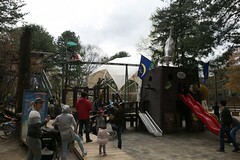 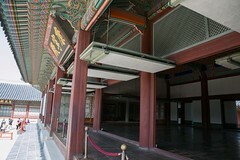 Admission fee is 3000 won for an adult, free for age 65 and above. 2400 won for a group of 10 or more. 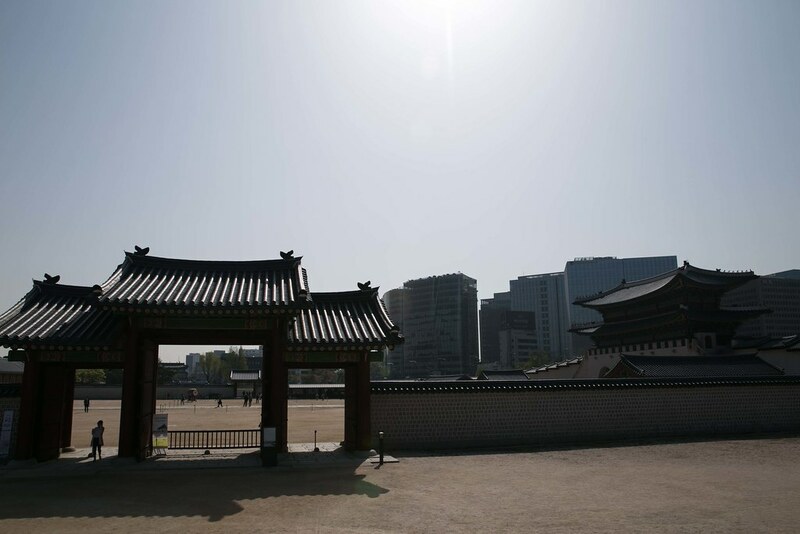 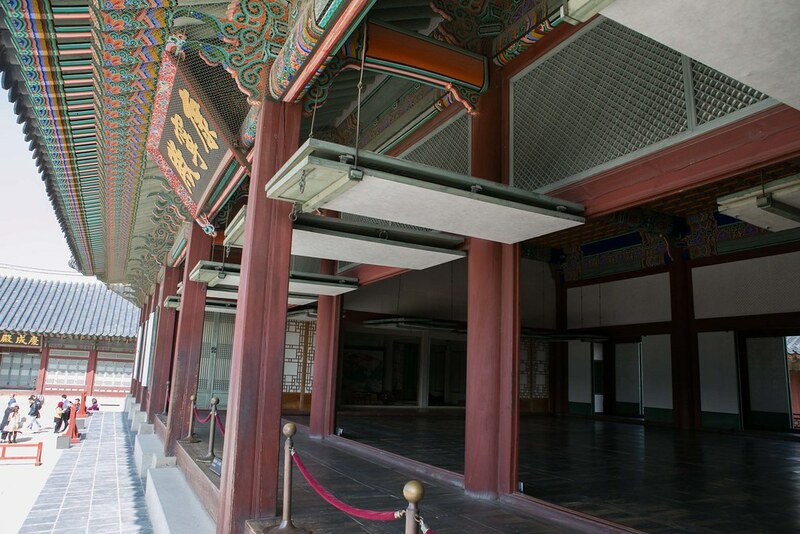 Gyeongbokgung Palace is closed on Tuesday. 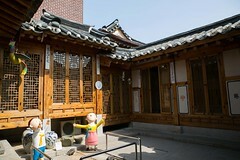 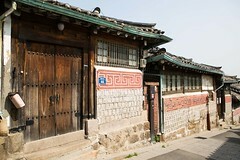 Hanok, the traditional building in Korea. 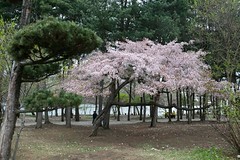 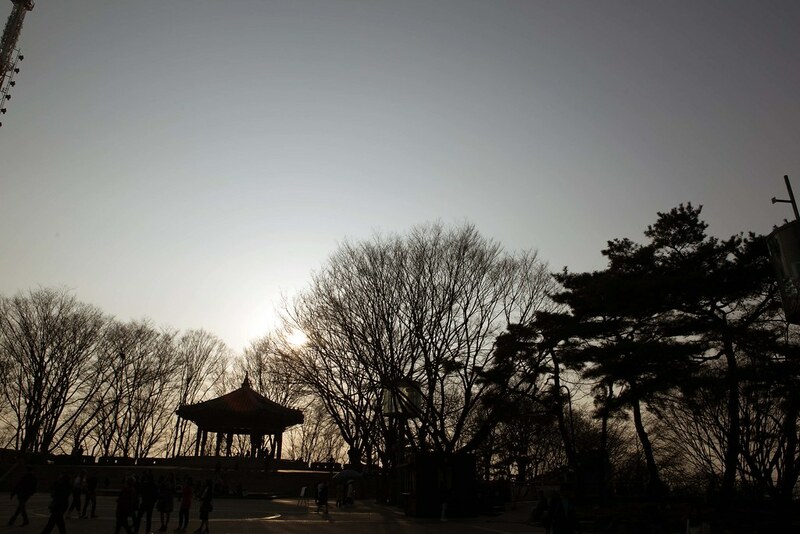 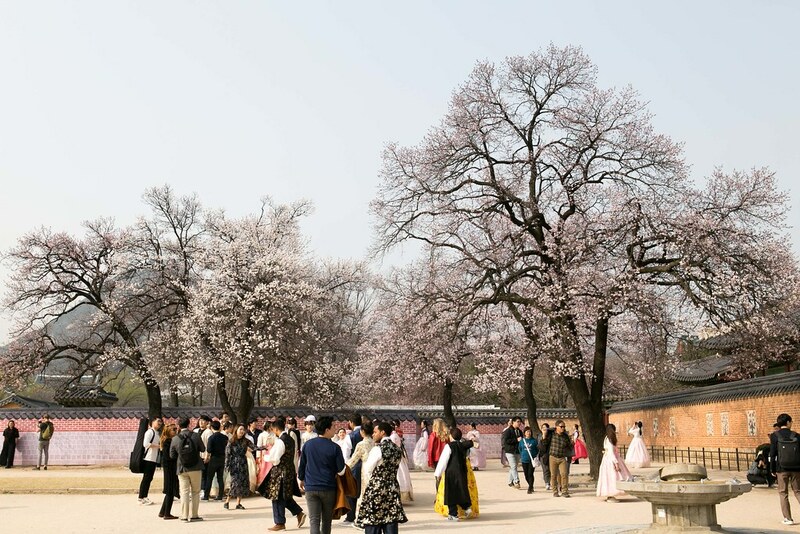 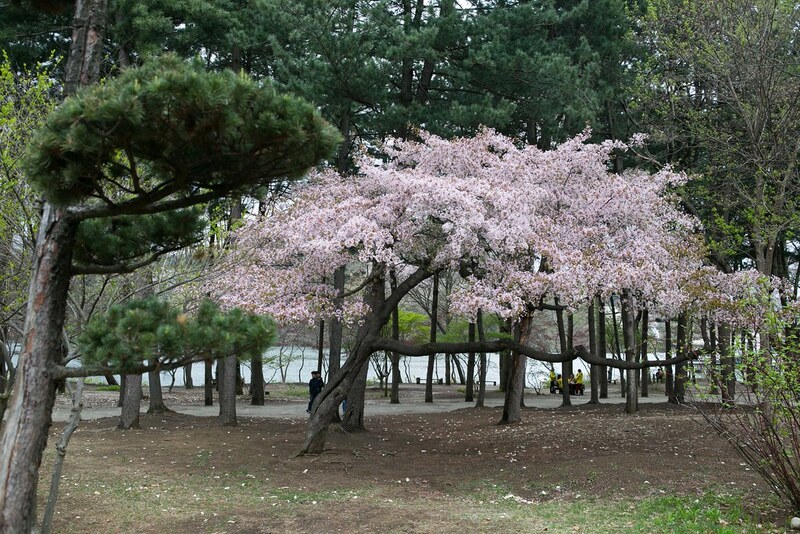 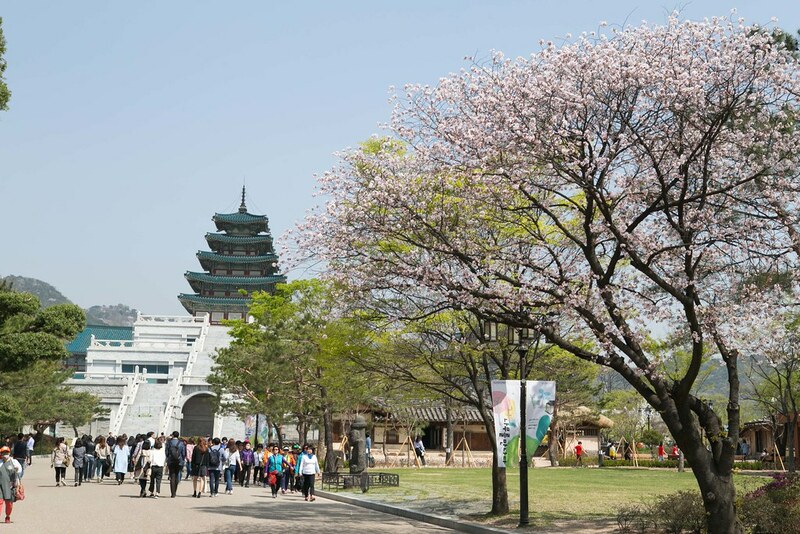 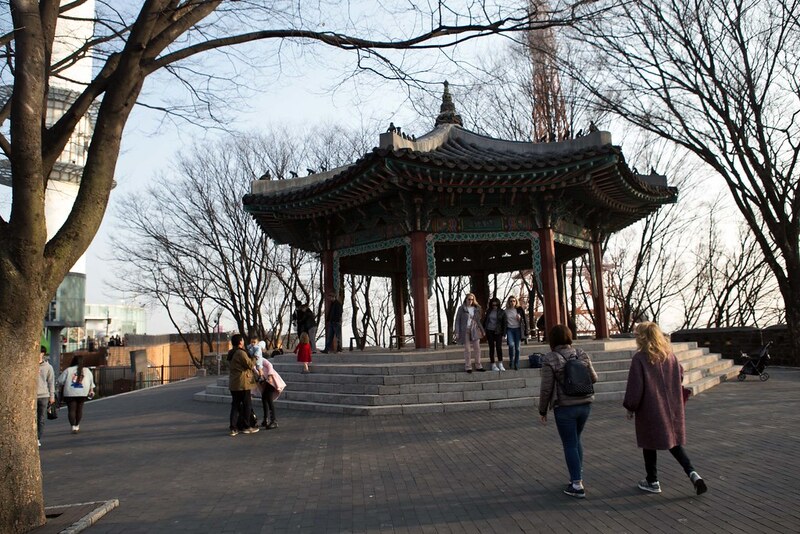 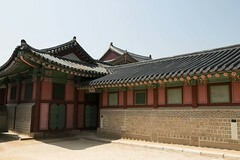 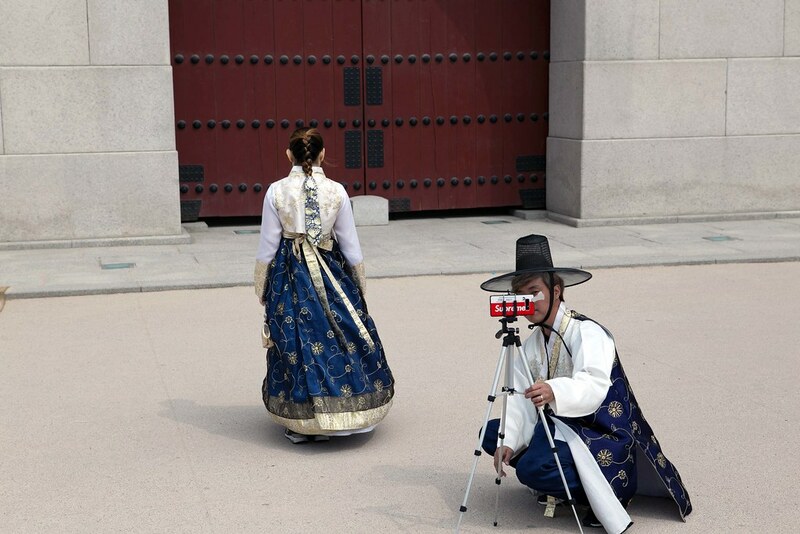 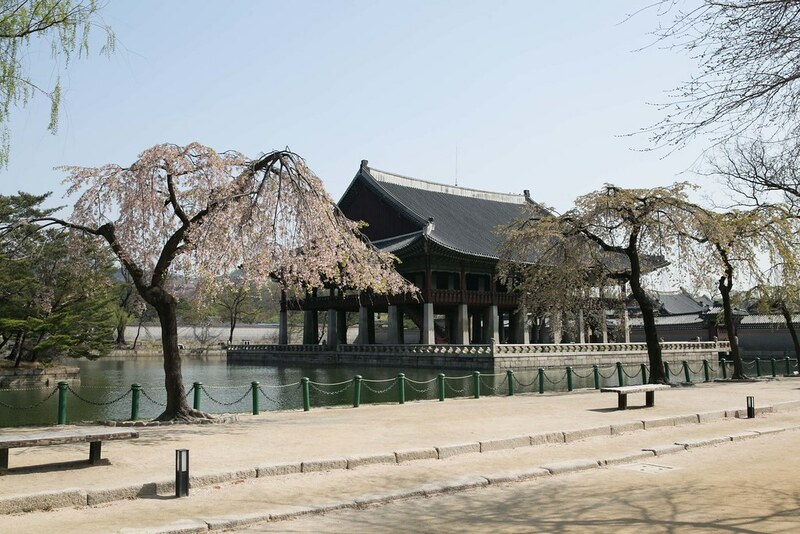 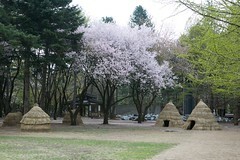 It is located nearby the Gyeongbukgung Palace. 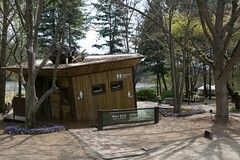 It is built entirely of wood. As the country prosperous, these houses are demolished and replaced by the concrete building. 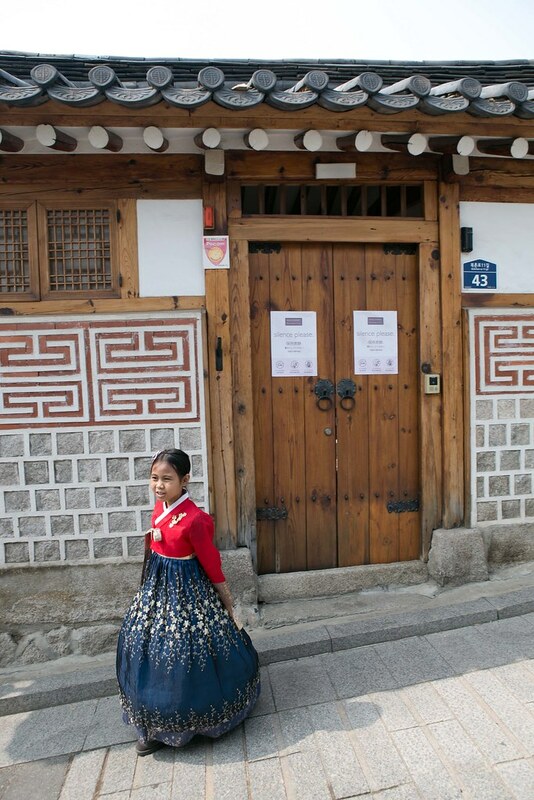 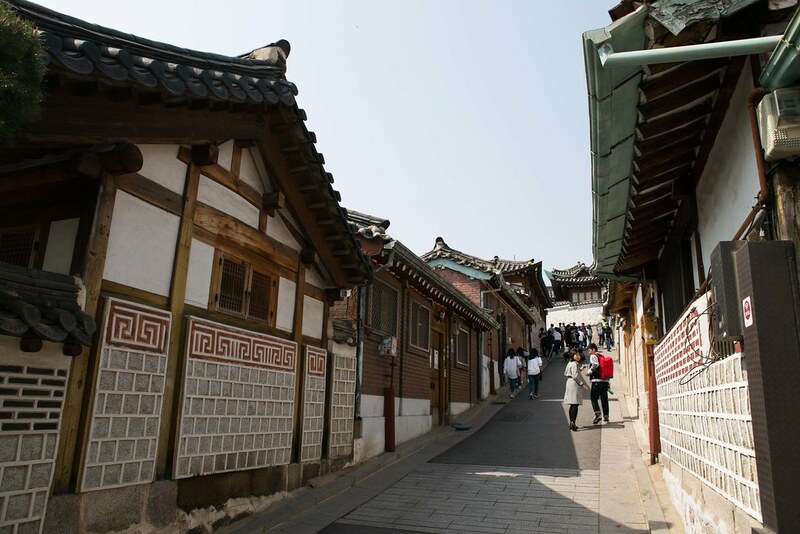 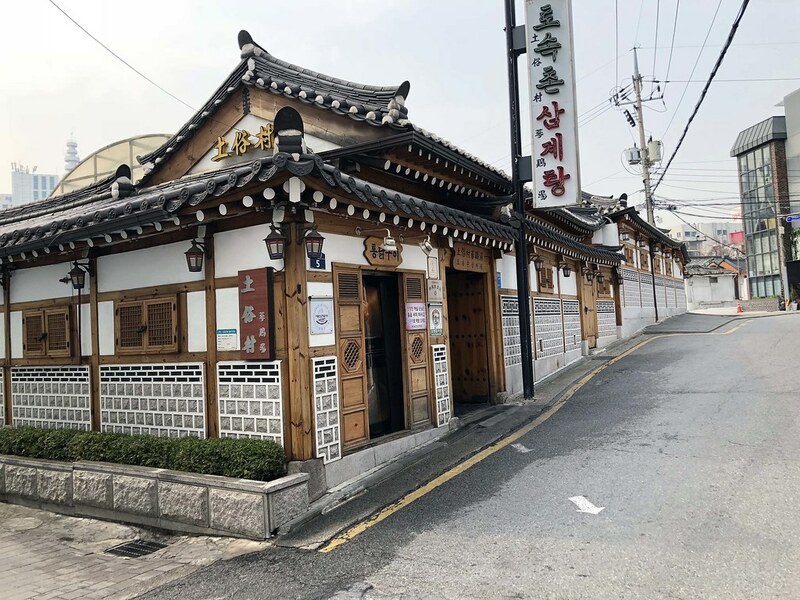 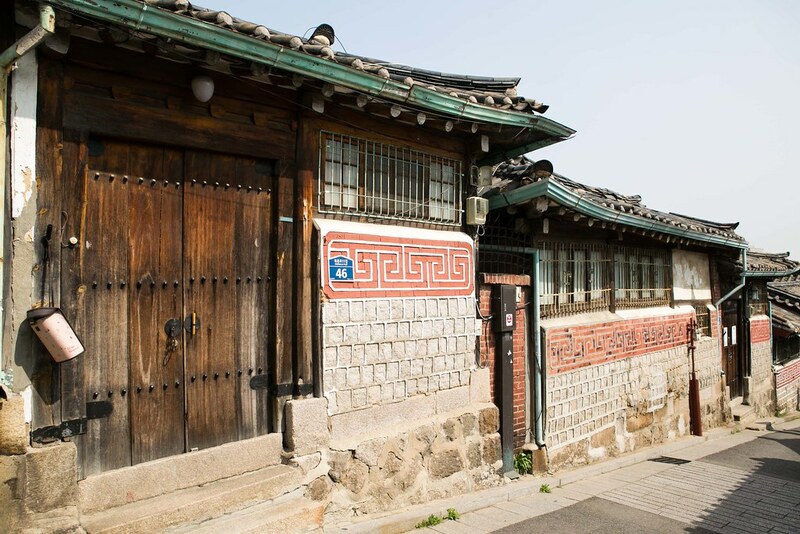 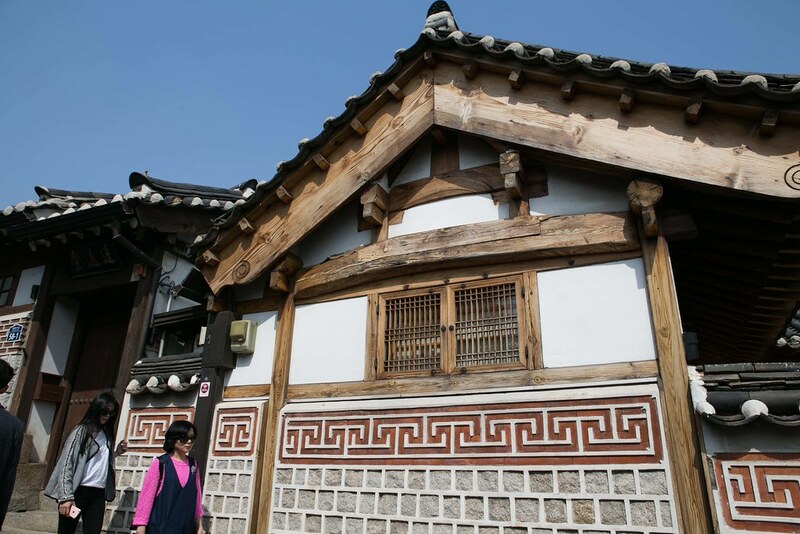 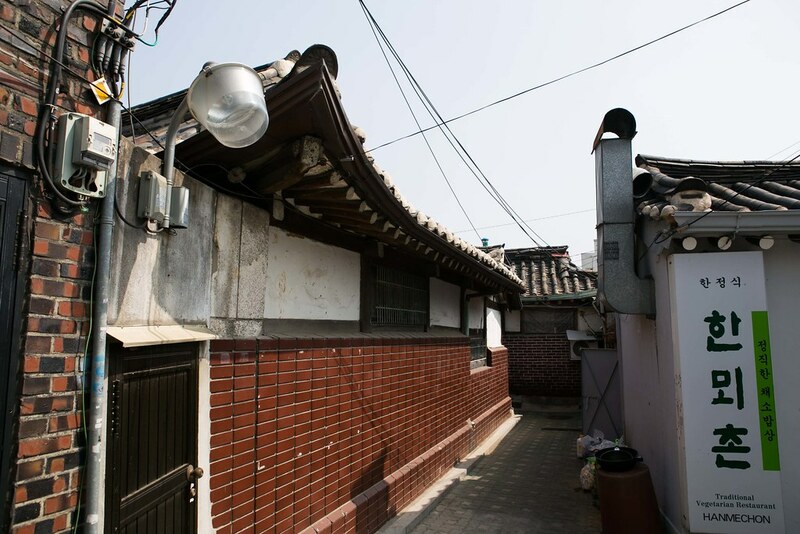 Bukchon Hanok Village is the effort by the government to retain these traditional cultures. 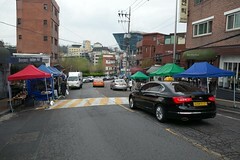 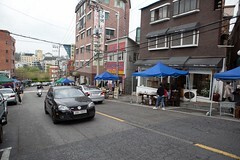 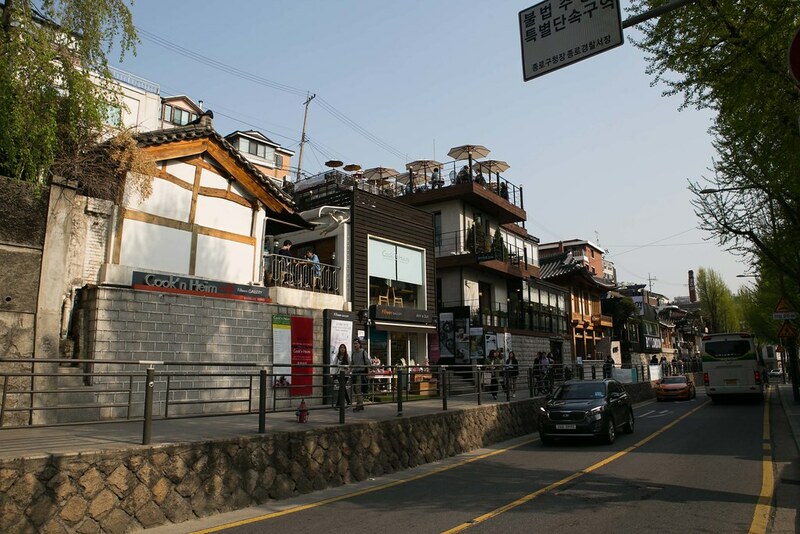 Bukchon Hanok village is also a residential area. Along the main road on Buchon-ro 5na-gil, these areas are filled with cafe and restaurant. 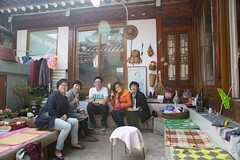 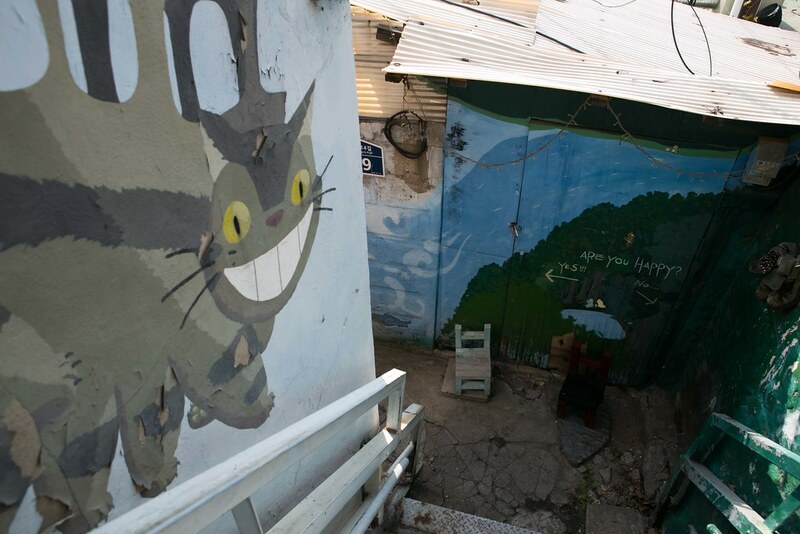 Some of the residents sell homemade drinks and you can enter their courtyard for a rest. 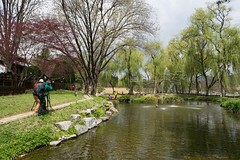 If you wish to explore more of this area, do walk further north to Samcheong park. 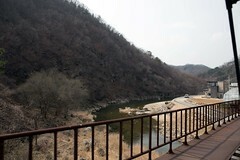 There are some hiking paths which will lead up to a border. 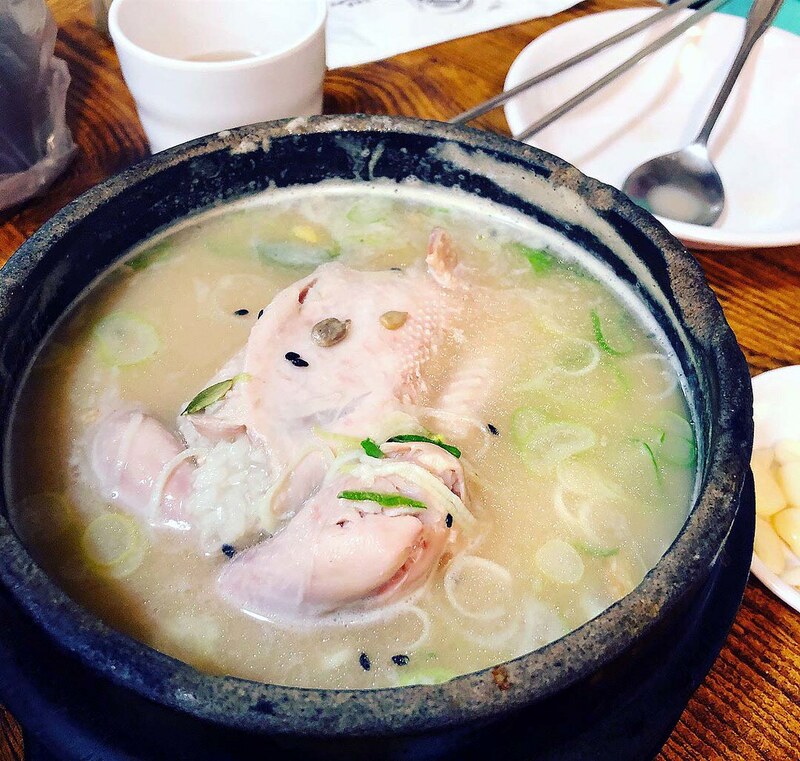 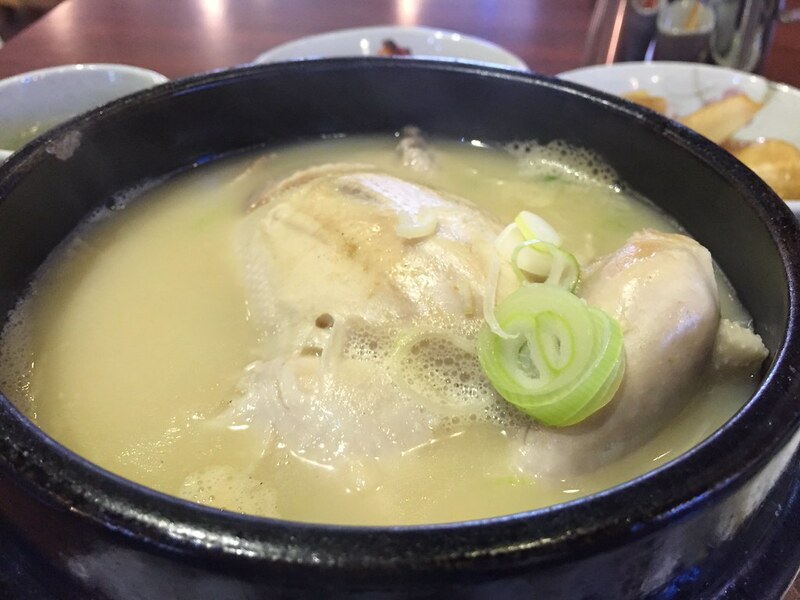 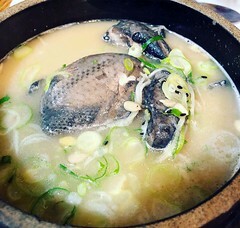 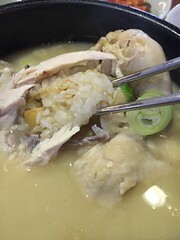 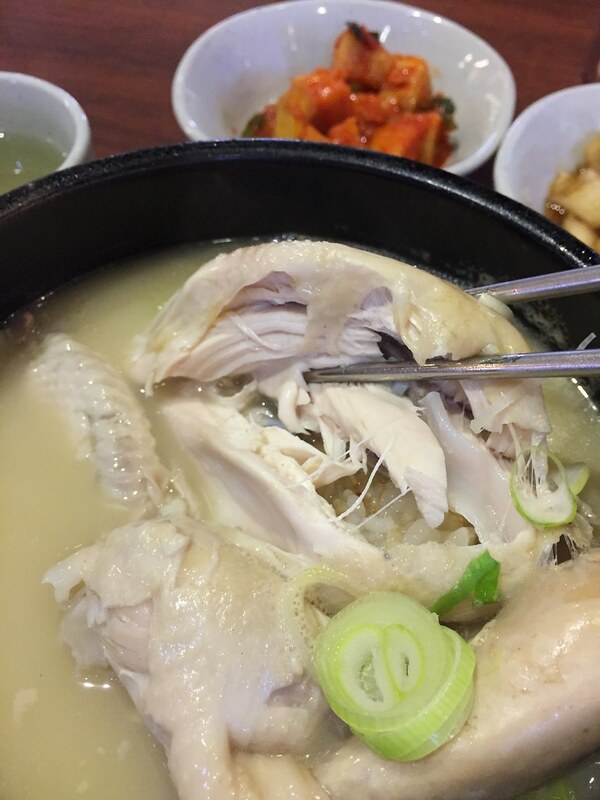 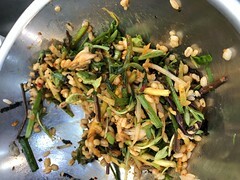 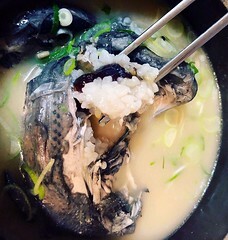 Ginseng chicken soup is a common dish in Korea. 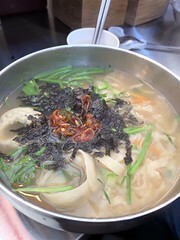 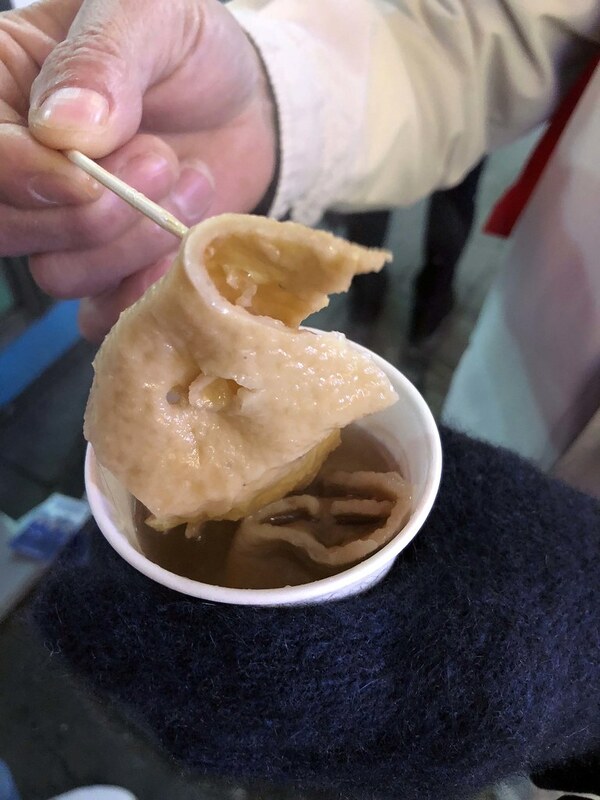 It ranges from the normal broth to the wild Ginseng broth. 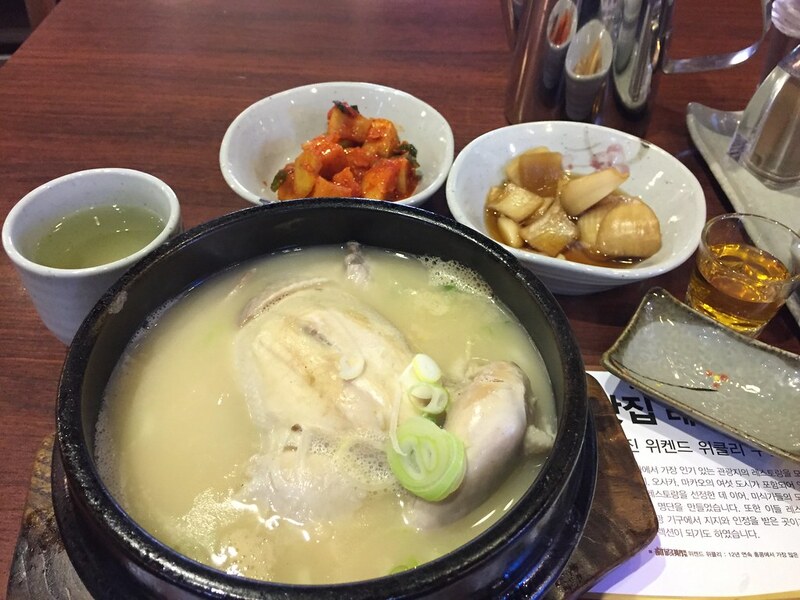 The will serve the ginseng chicken soup with a small cup of sweet wine. The sweet wine and be drink by itself or you can add into the soup before the meal. 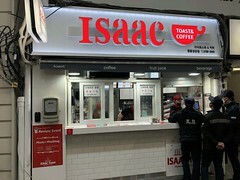 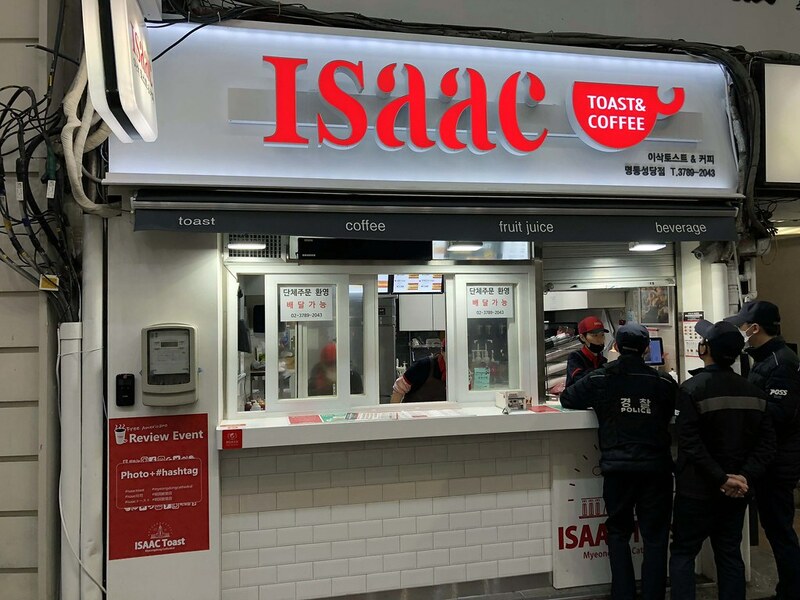 I have tried 2 different stores in Seoul and each has their uniqueness. 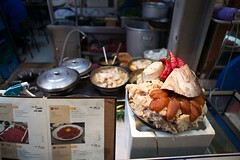 Both stores do serve a whole chicken stuffed with rice and chestnut. Pepper and salt are available to the chicken. 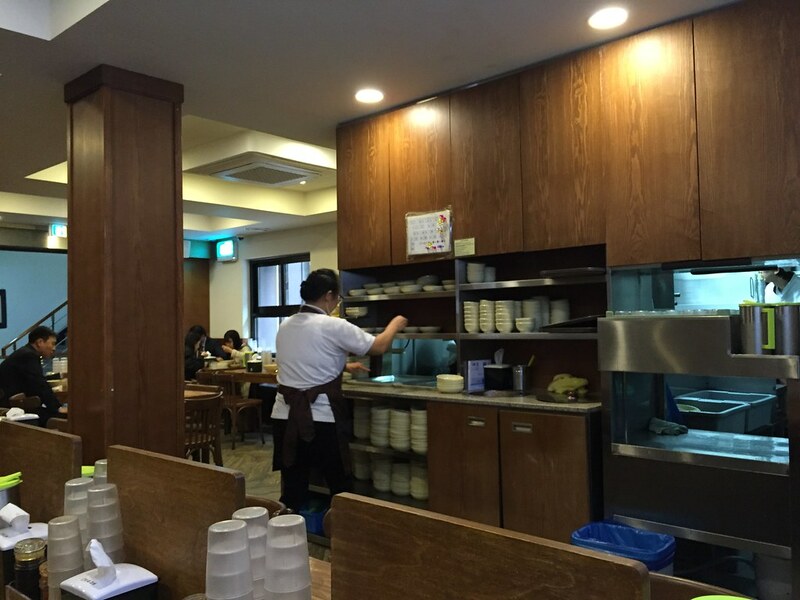 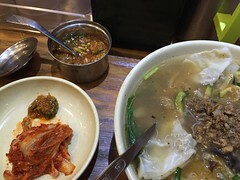 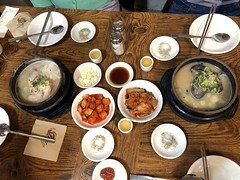 I find that Tosokchon has a lighter and well-balanced soup while Hwanghu has a strong richer soup. 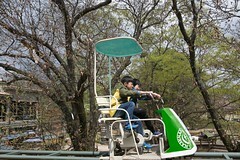 The rail bike comes in 2 or 4 bikes, you can purchase your ticket in advance from the different website. 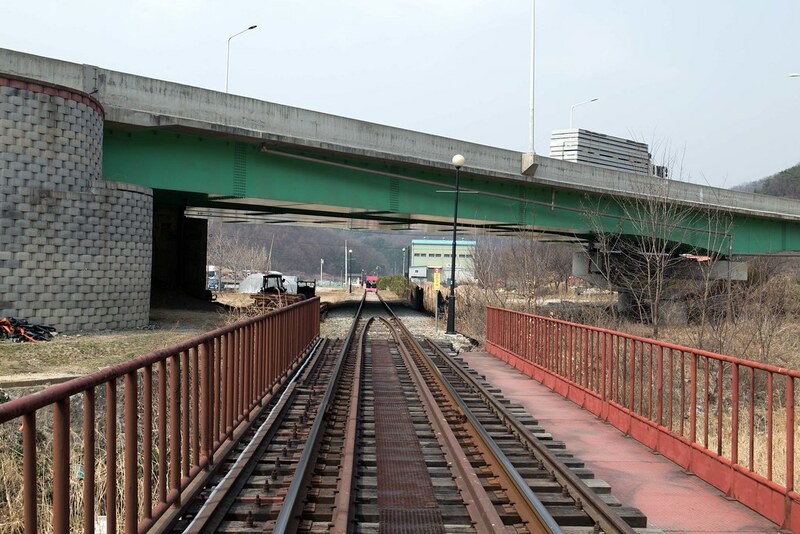 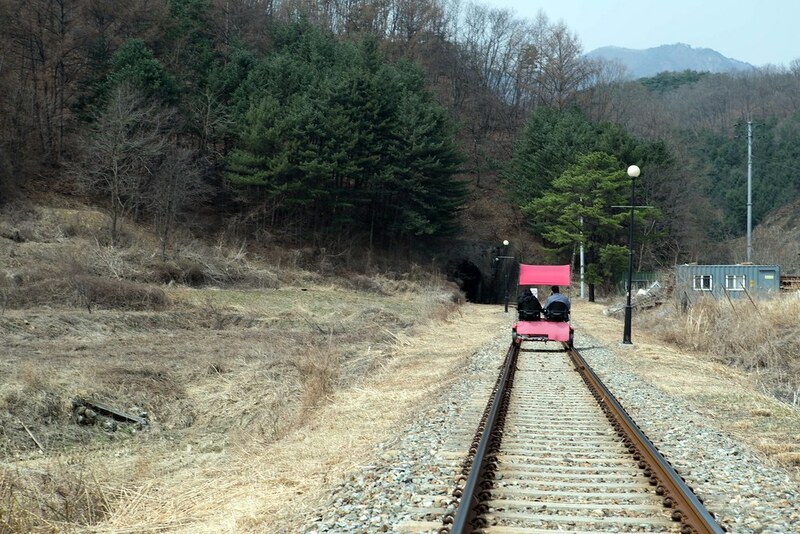 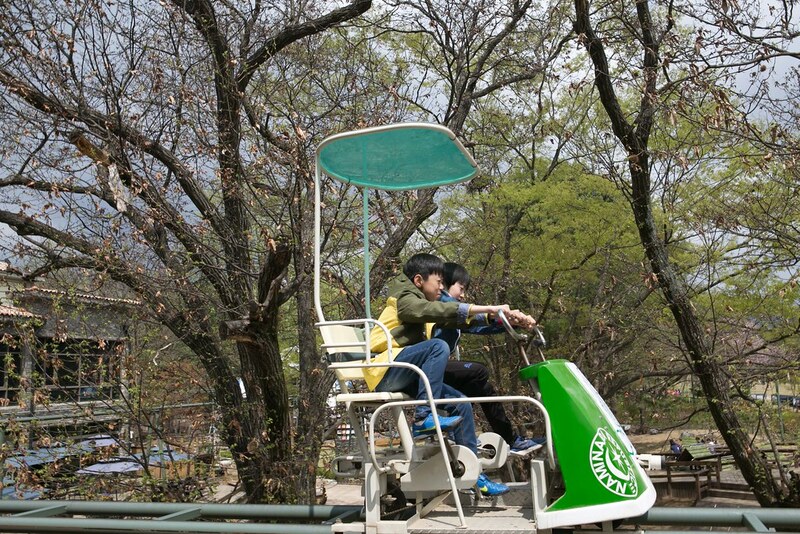 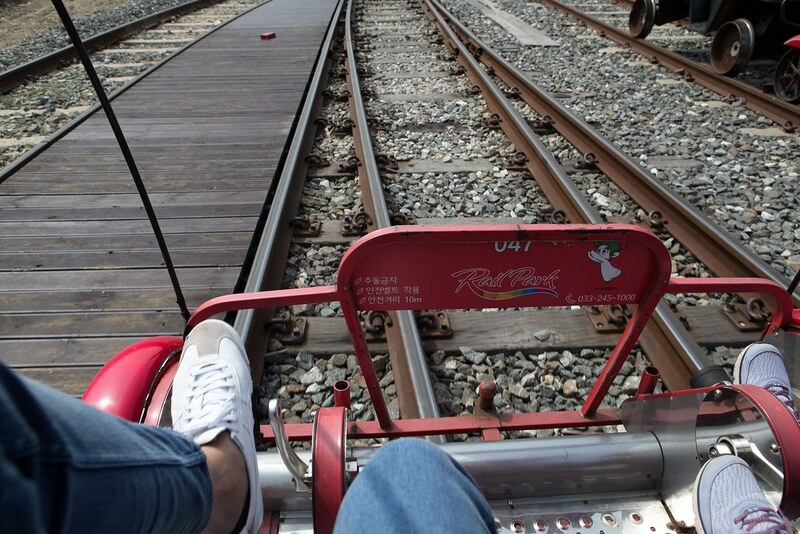 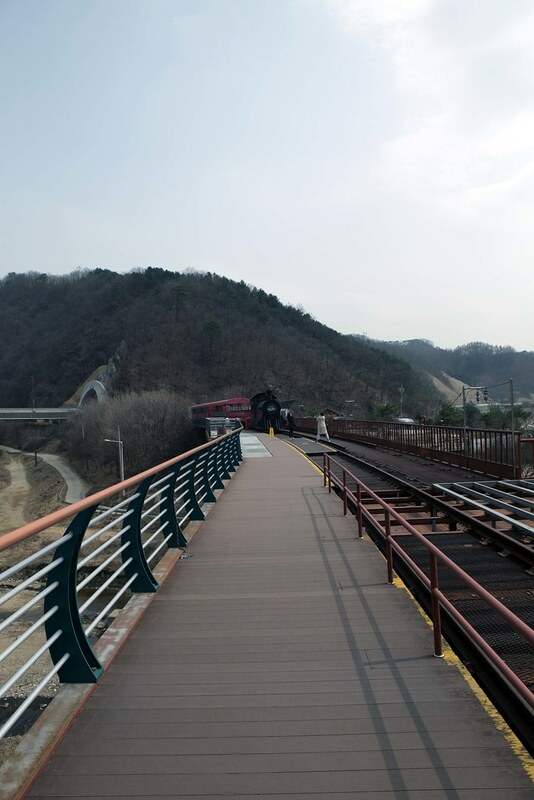 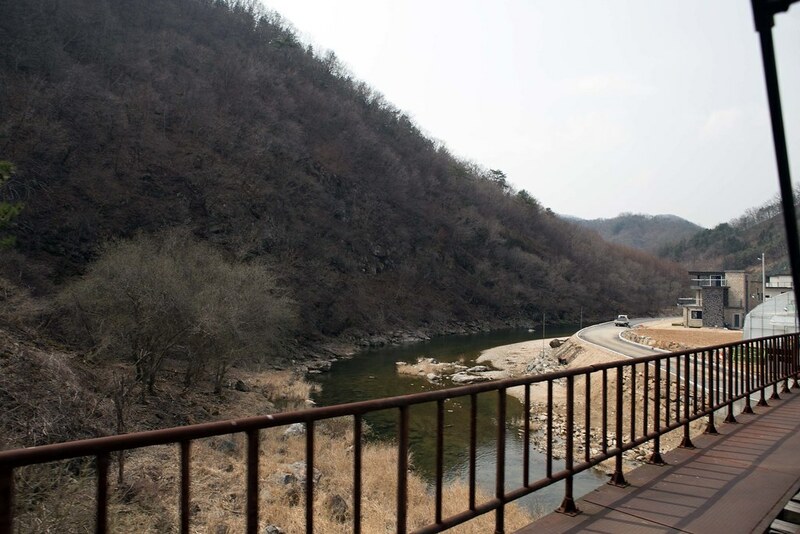 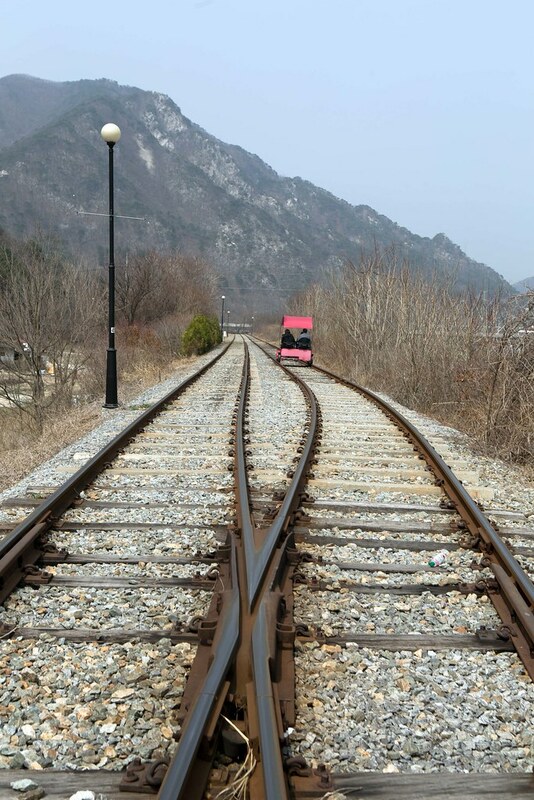 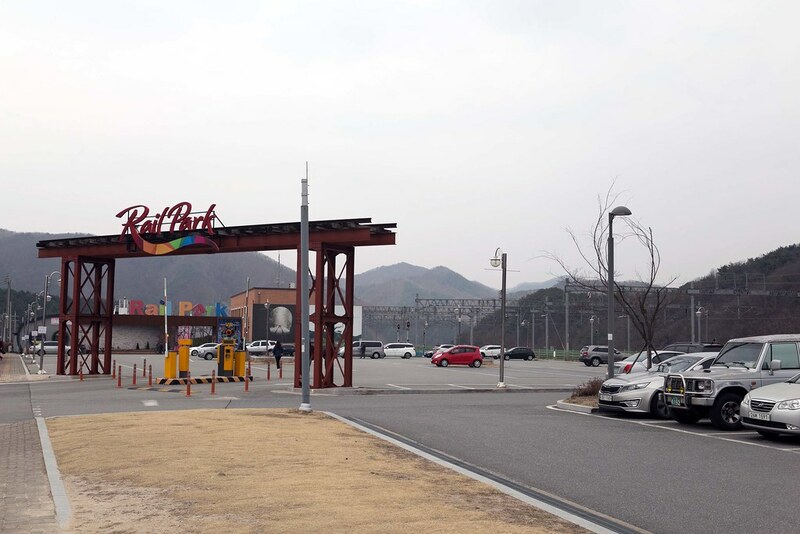 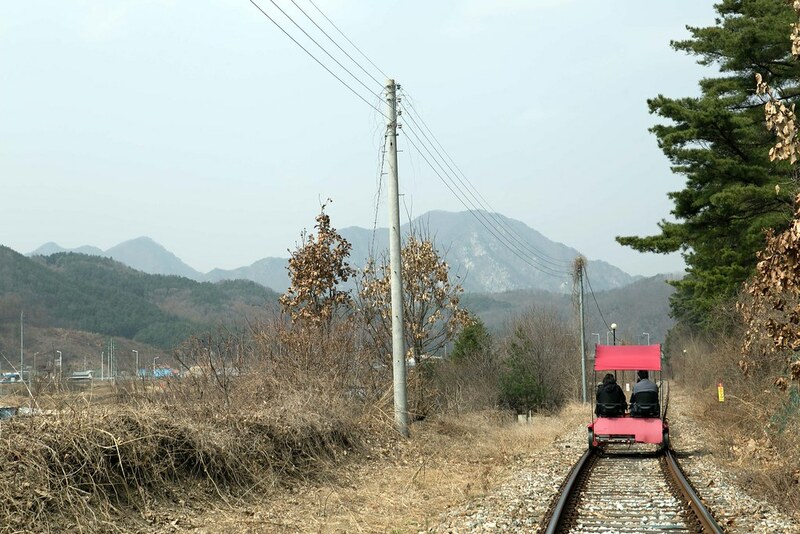 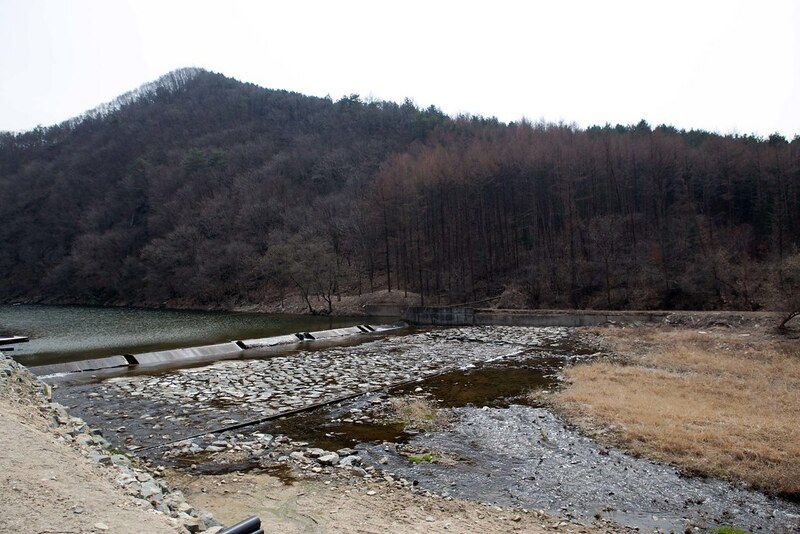 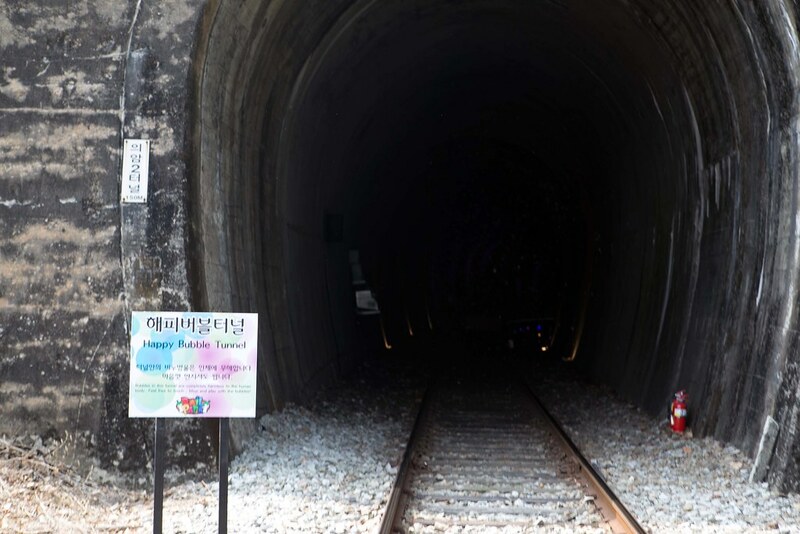 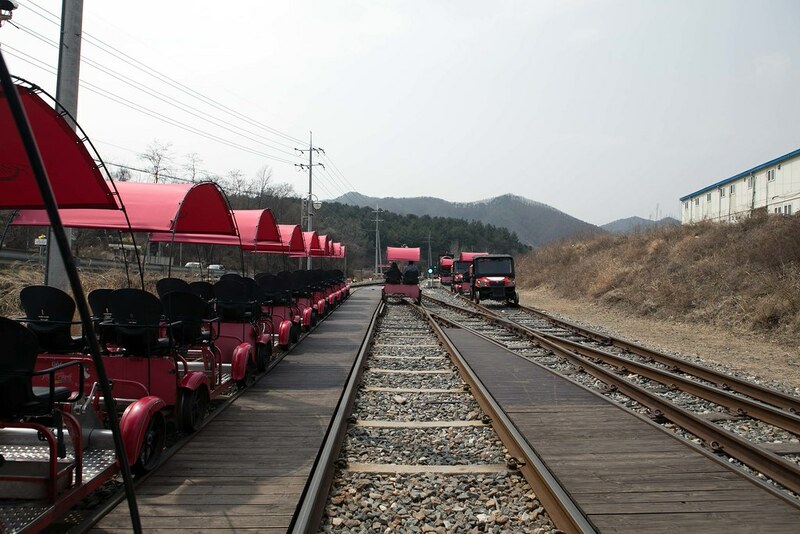 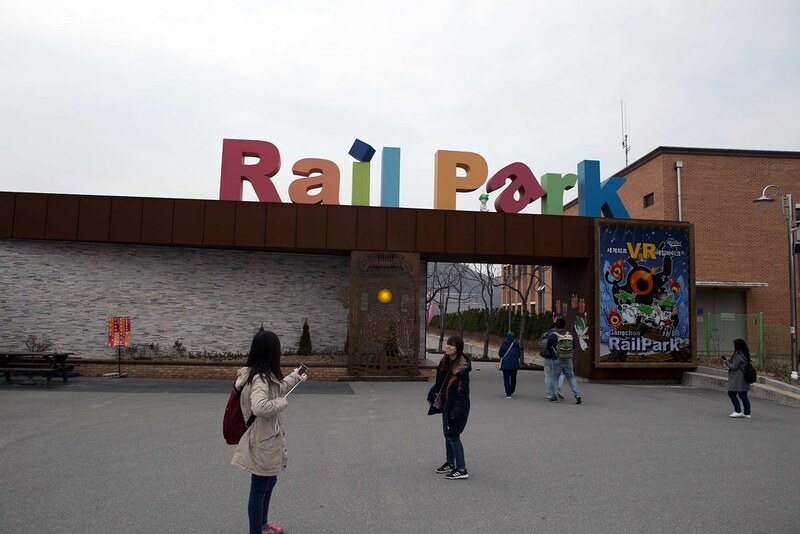 There are 2 rail bike courses in Seoul, one is at Gapyeong and the other at GimYouJeong. 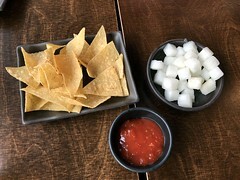 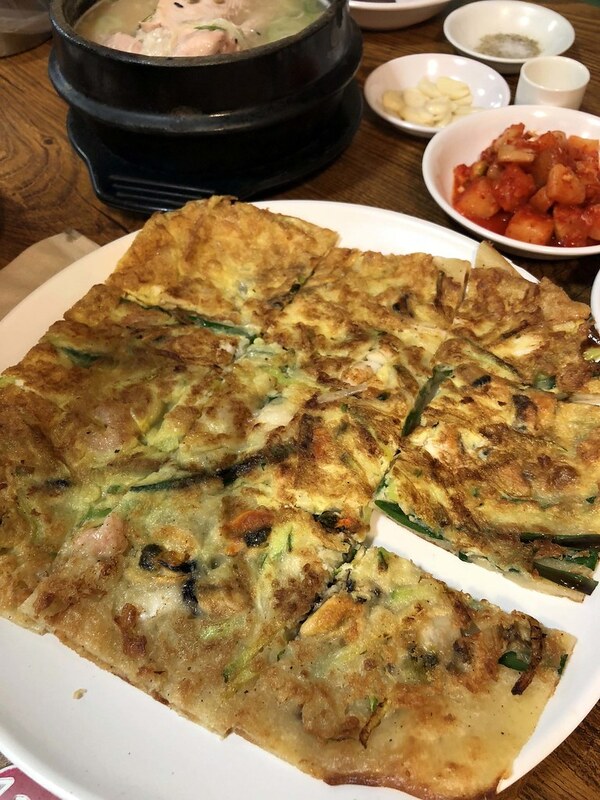 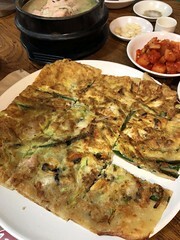 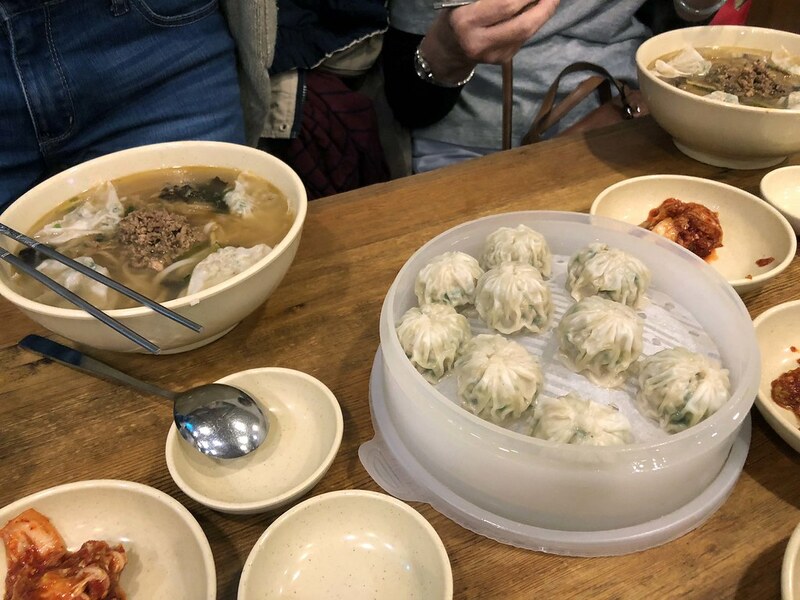 We tried the one at GimYouJeong. 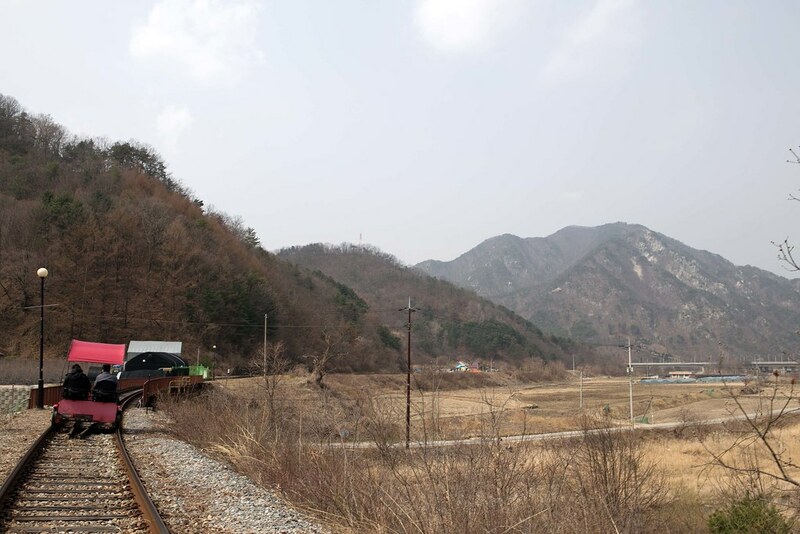 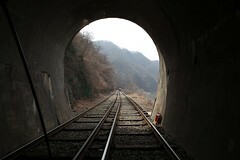 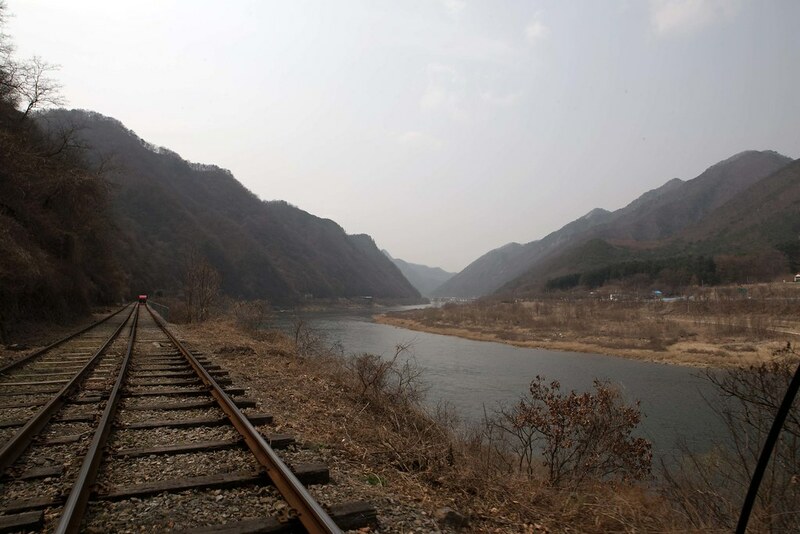 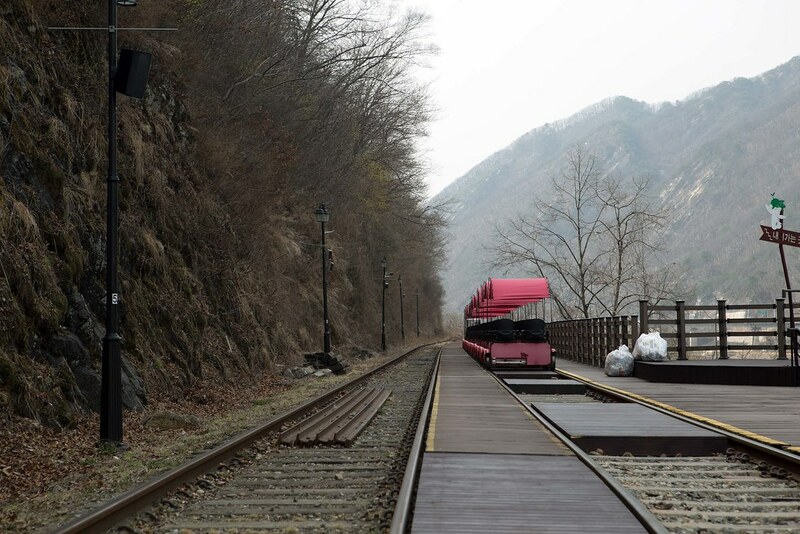 The nonstop train to GimYouJeong takes about 2 hours from Seoul station, alternatively, you can take the ITX. 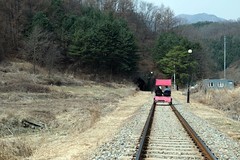 The railbike is just outside the subway station. 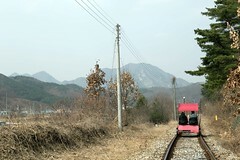 The railbike session is about 40 – 50 mins on a 6km rail track and you will get to enjoy the surrounding scenery while cycling. 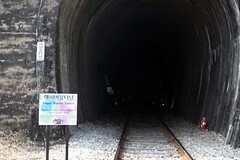 There are 3 tunnels which you will get into and there are the different theme in each tunnel. 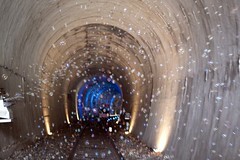 There are the VR tunnel, the bubble tunnel, and a music tunnel. 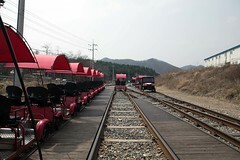 After the ride, you will be transferred to a train for the next 2.5km. 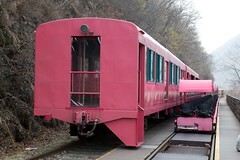 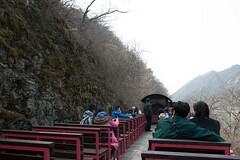 It’s a slow-moving train and you can get to the first carriage which is an open area section to enjoy the breeze and the scenery. 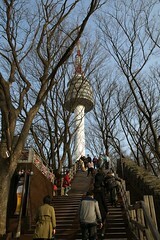 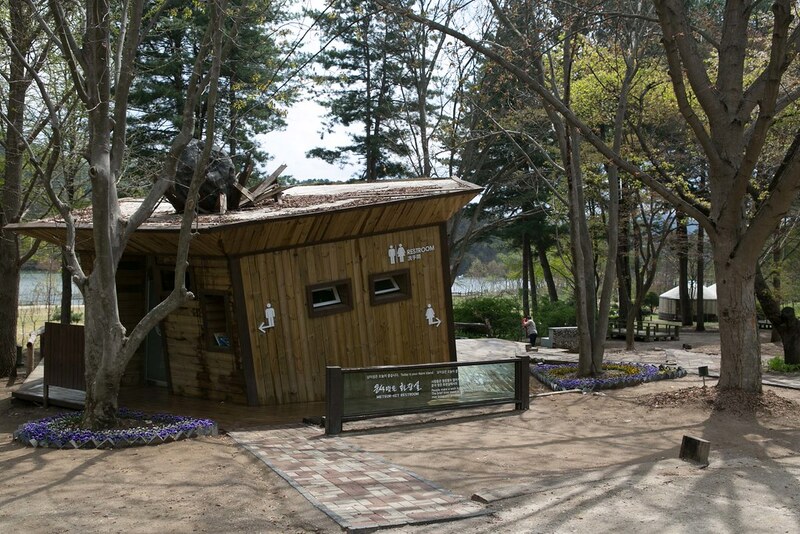 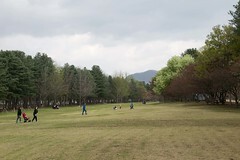 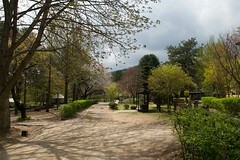 Nami island is a recreational park. 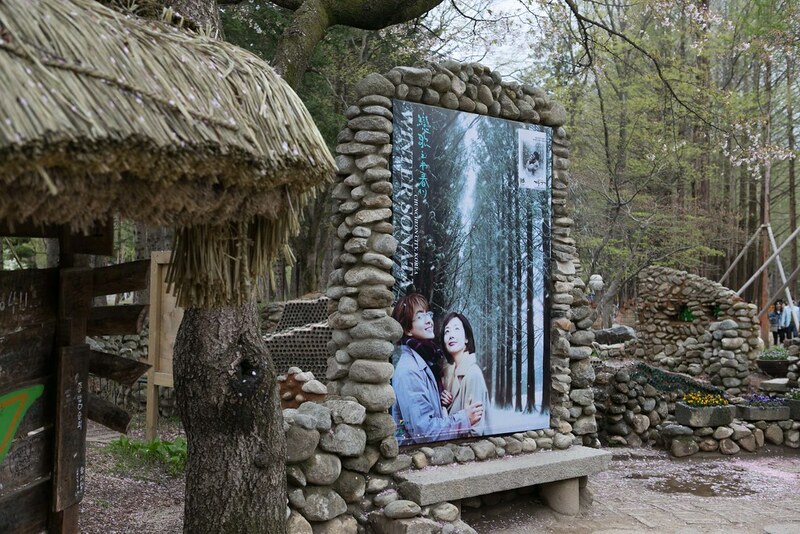 This island gets popular after the Korean drama, winter sonata was broadcasted. 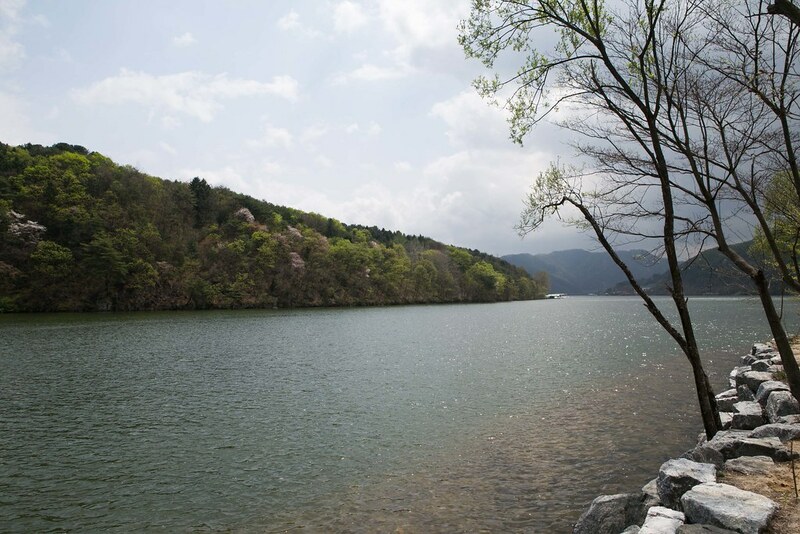 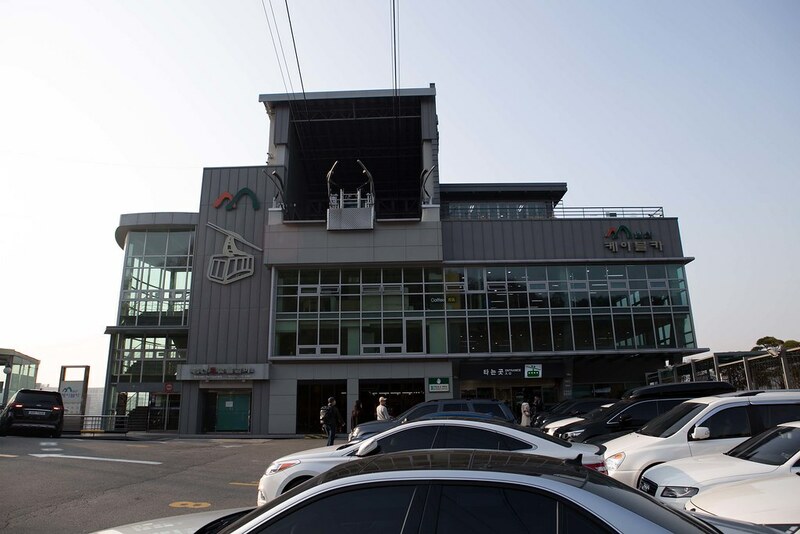 Take the subway to Gapyeong station under the Chuncheon line. 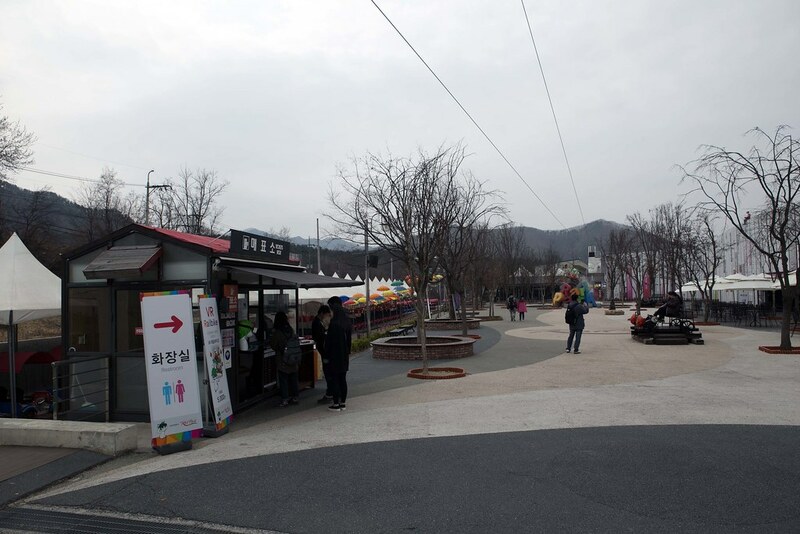 You will see a tourist information booth right outside the station. 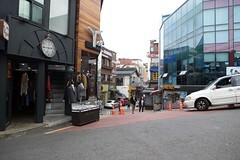 You can get the tourist bus map from there. 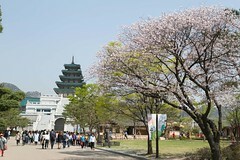 There are 3 main attractions in this region. 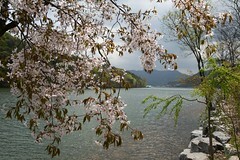 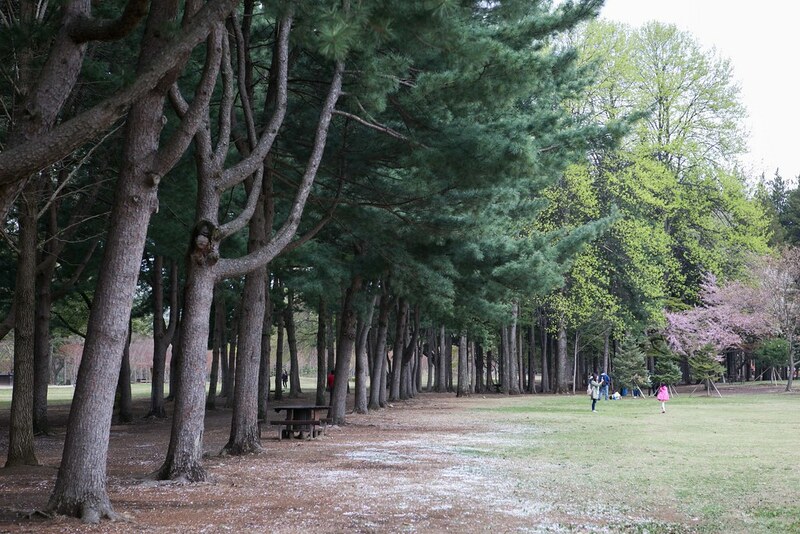 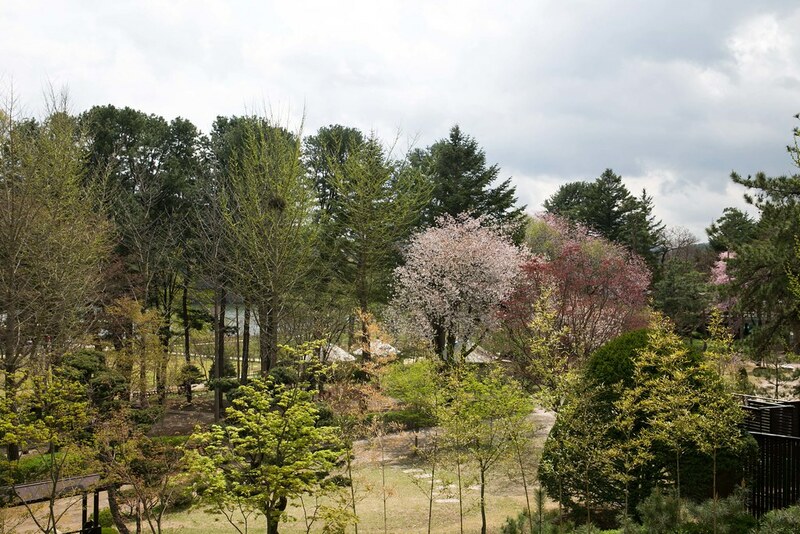 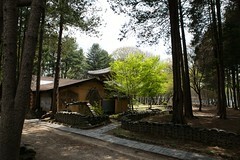 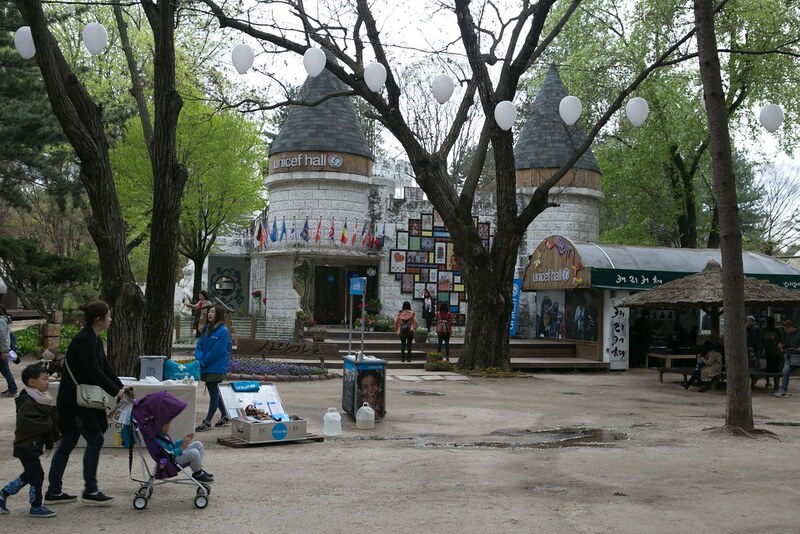 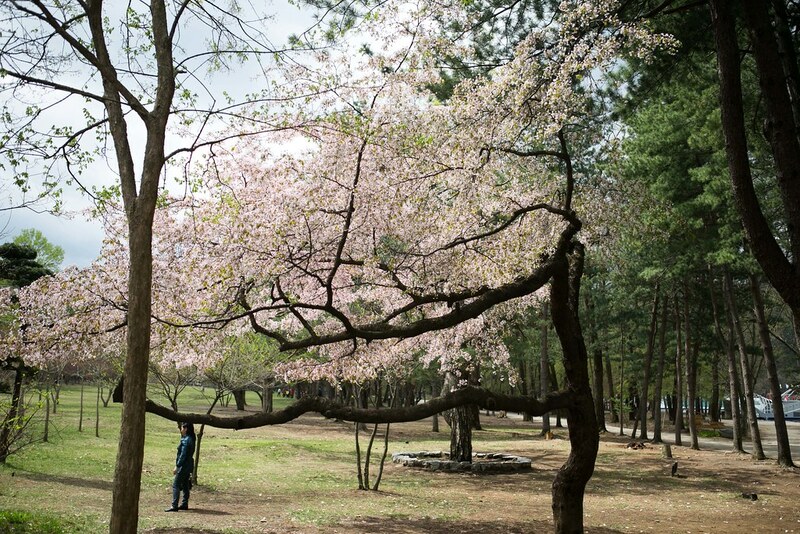 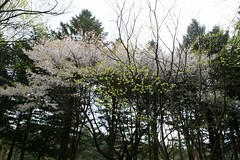 Nami island, petite French village and the garden of morning calm. 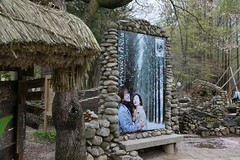 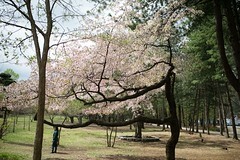 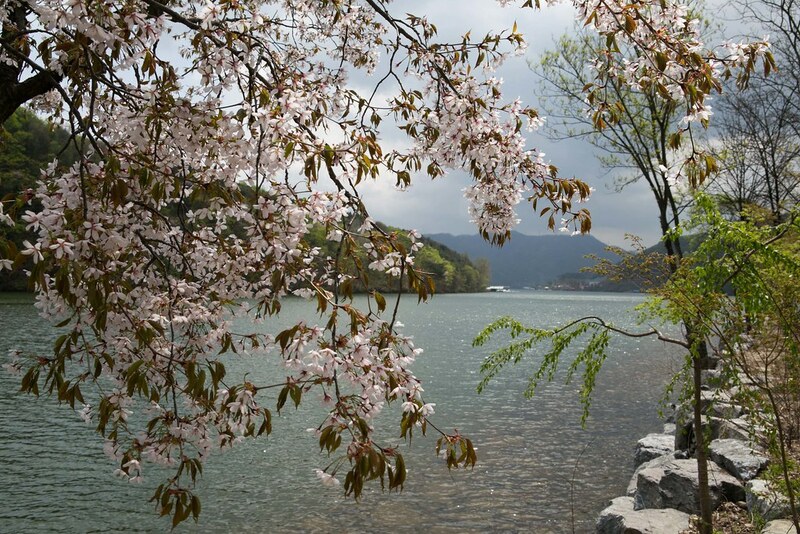 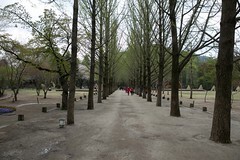 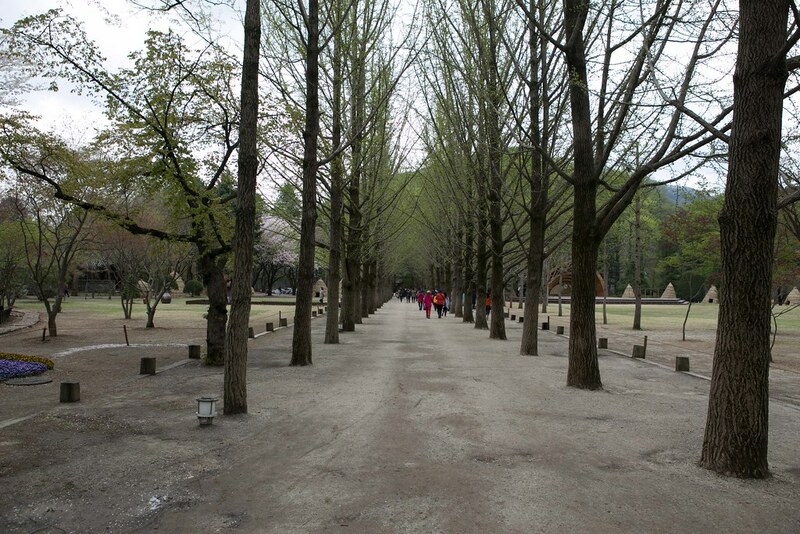 If you want to visit Nami island only, you can opt for other choices which are slightly cheaper. I did not get onto the petite french village and the garden of morning calm as time is tight. At Nami island station, you can either take a ferry, round trip, which cost 8,000 won to get onto Nami island. You can try the zip line which will bring you up to 80m high and zap down to Nami island at a speed close to 80km/h. 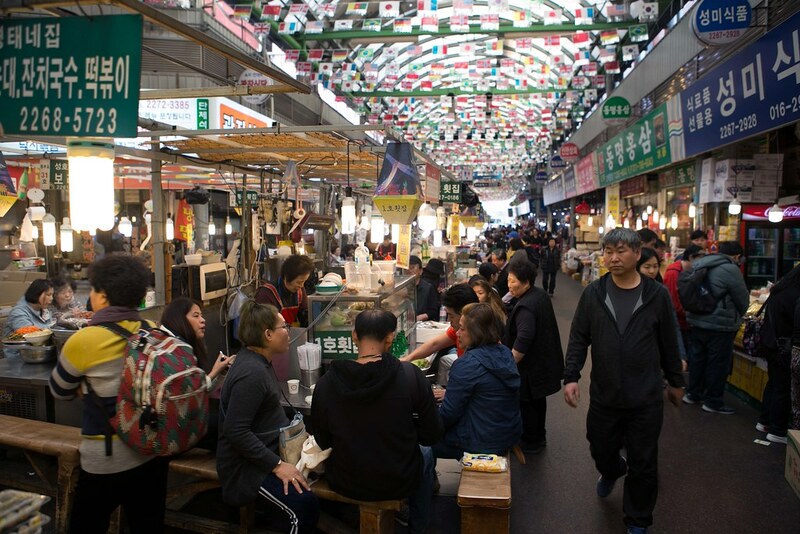 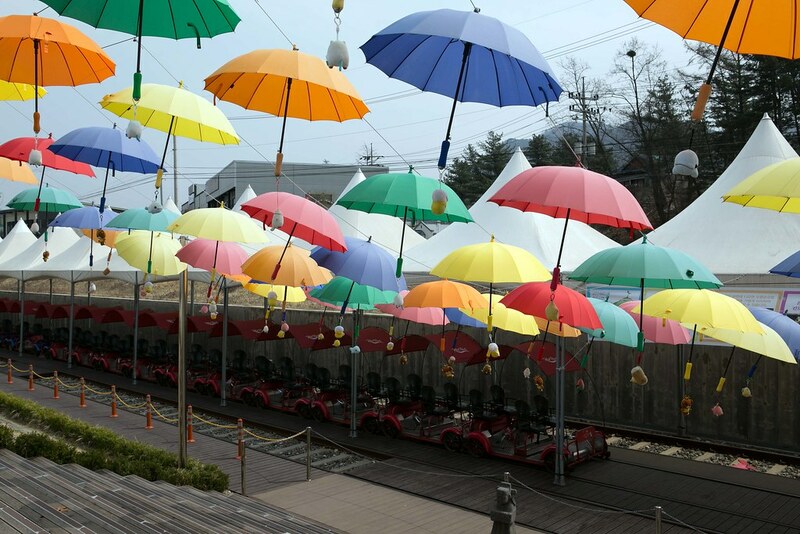 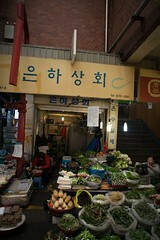 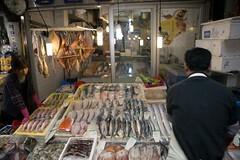 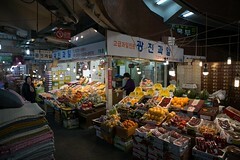 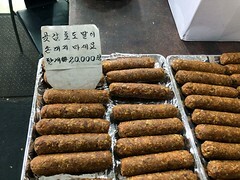 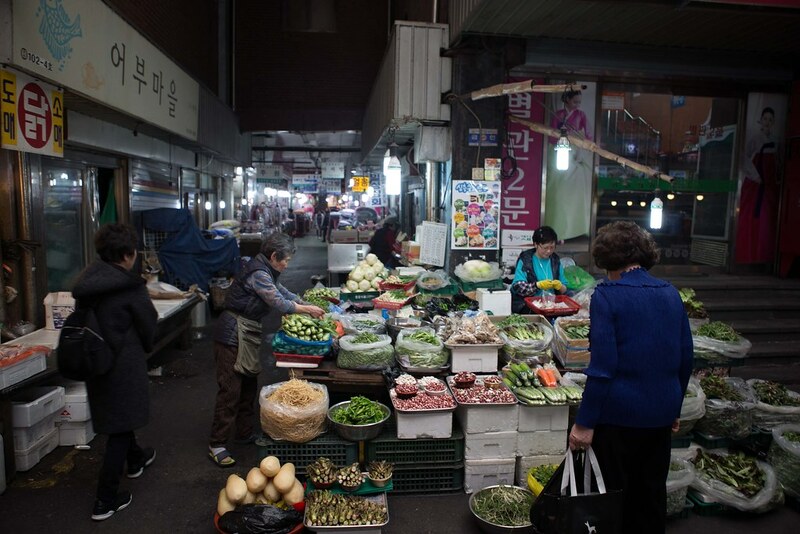 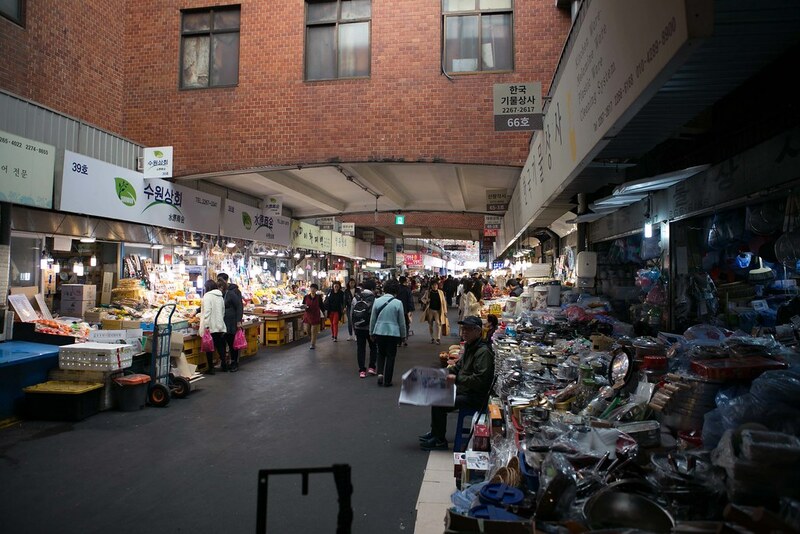 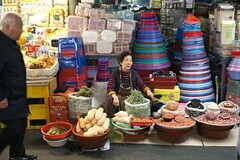 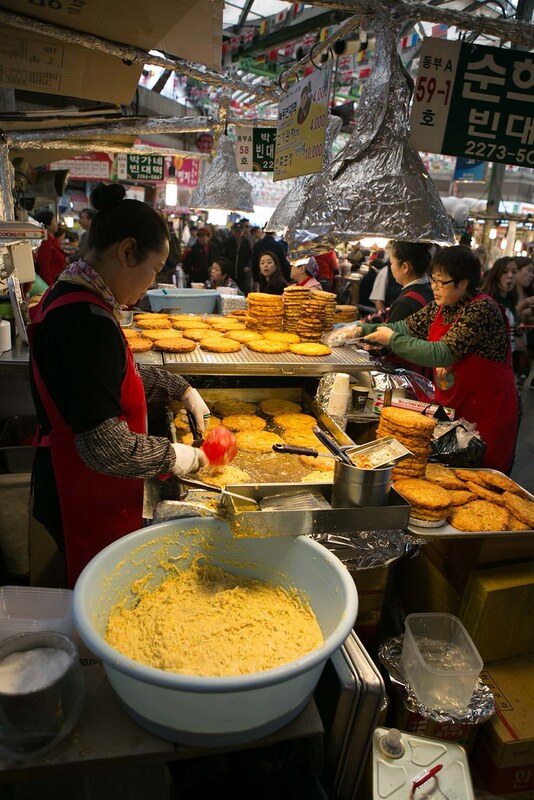 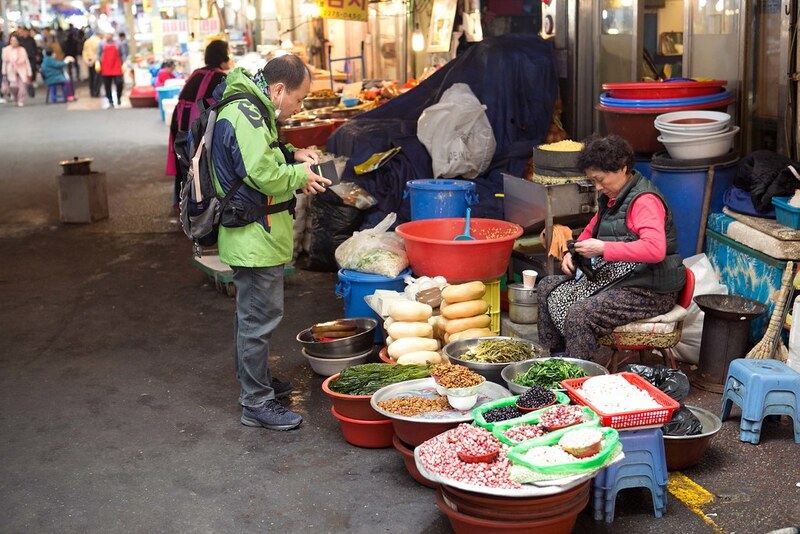 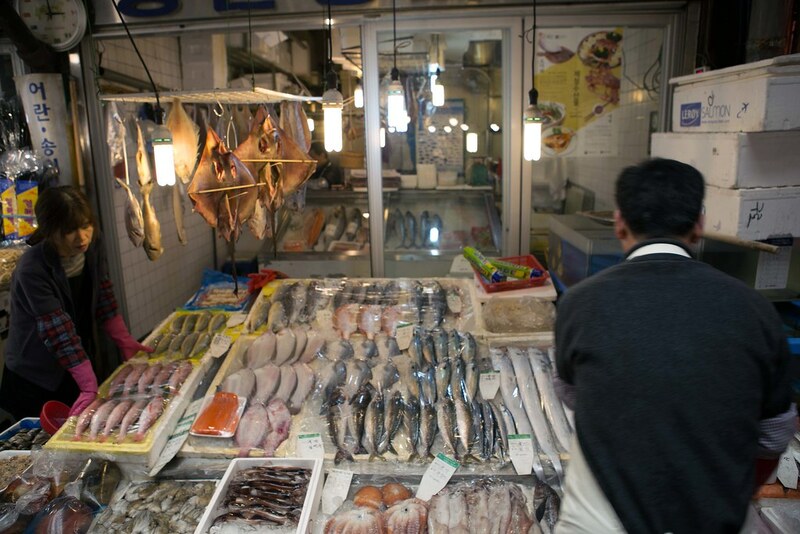 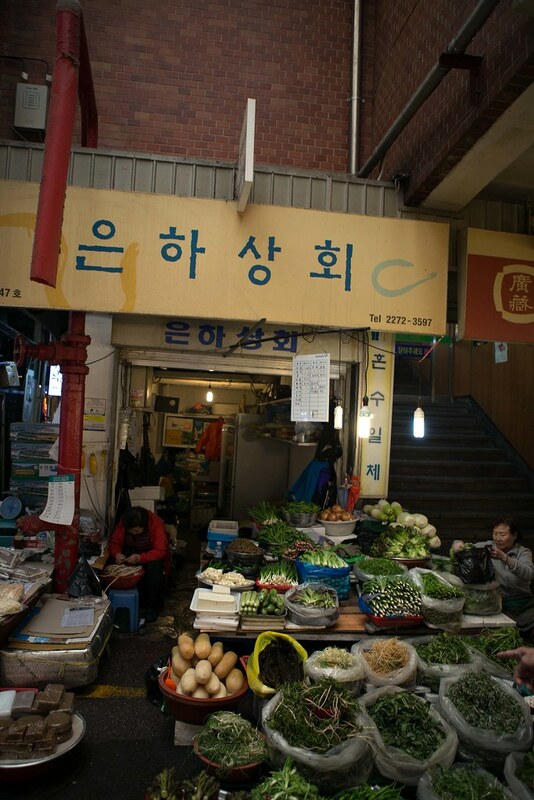 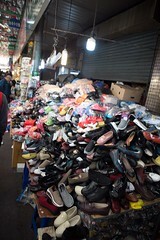 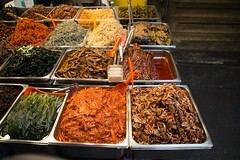 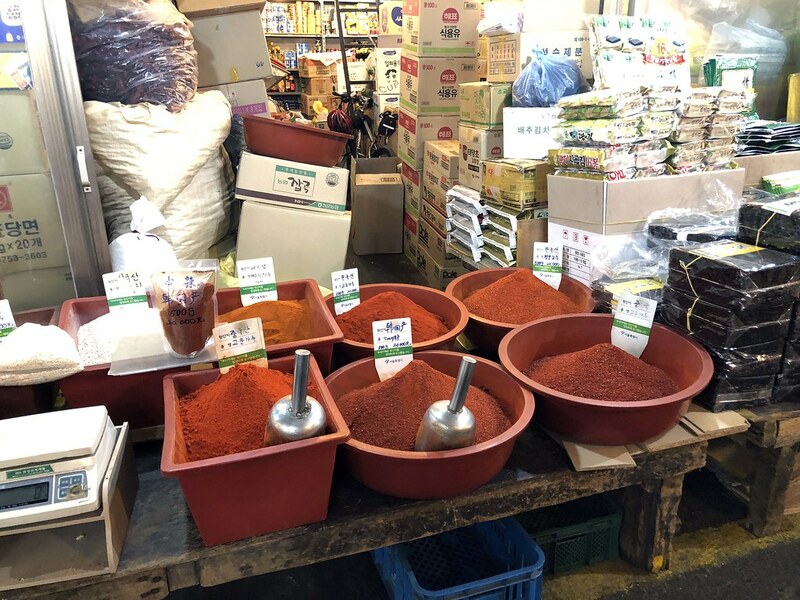 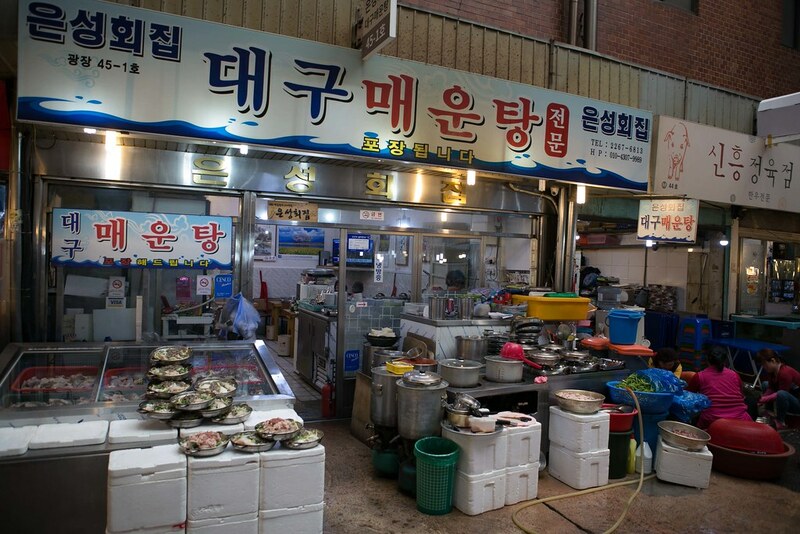 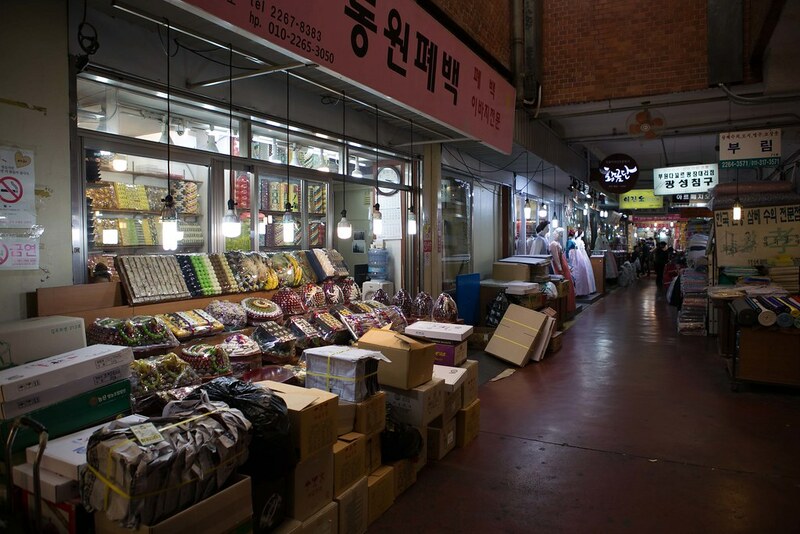 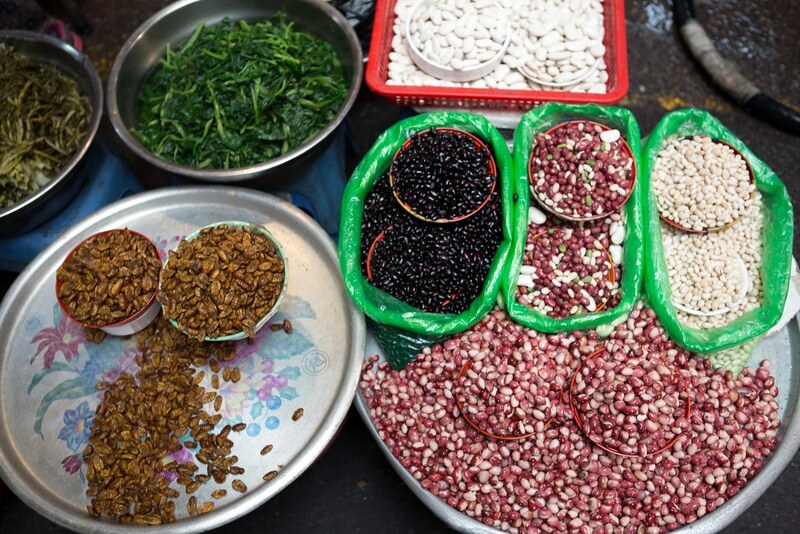 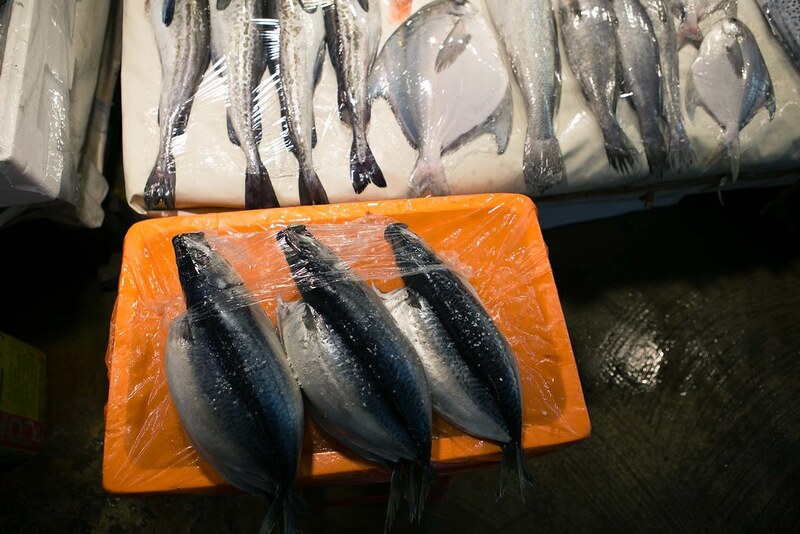 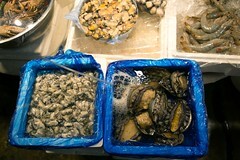 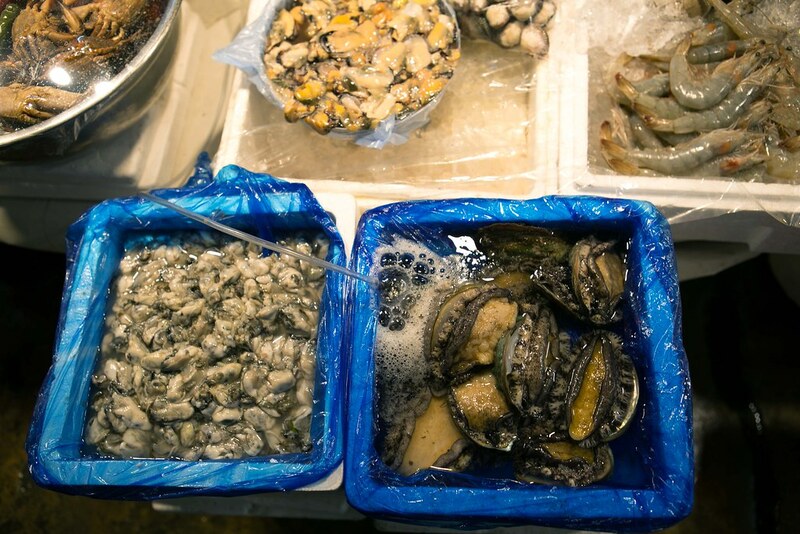 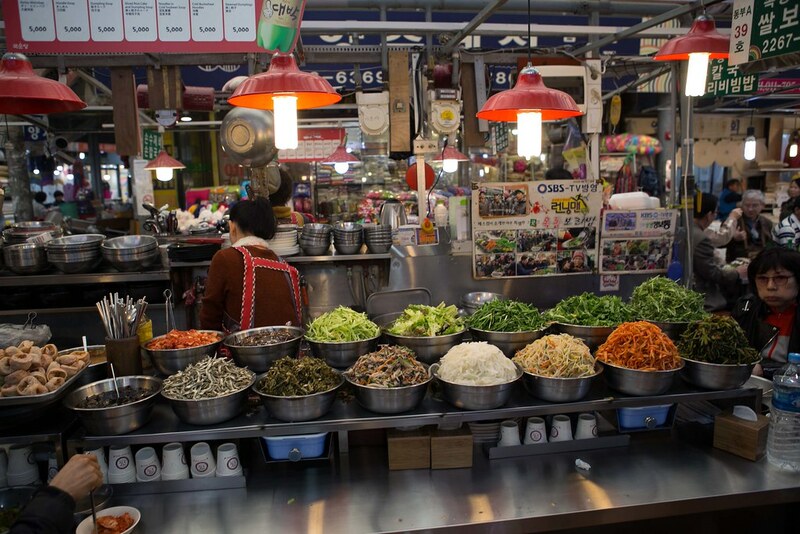 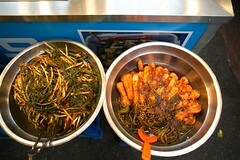 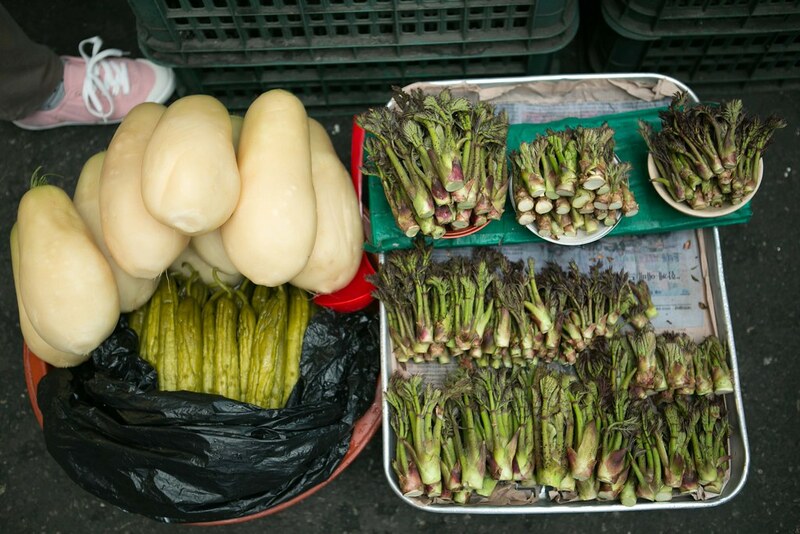 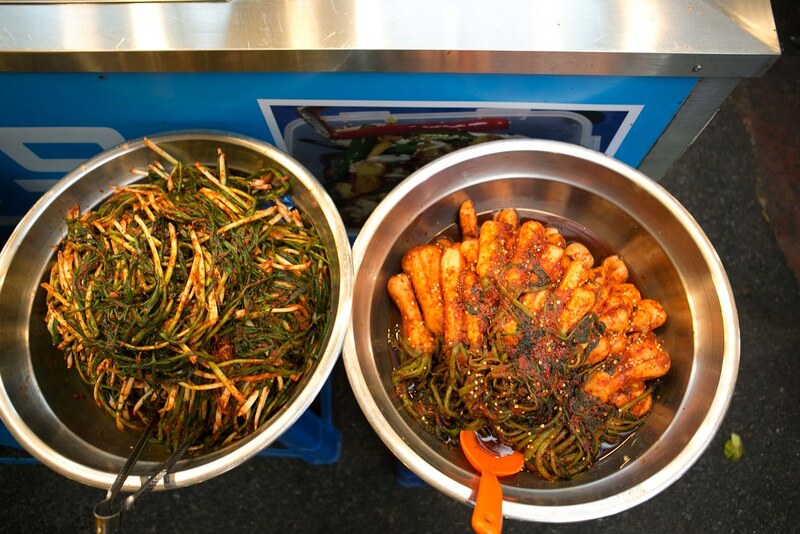 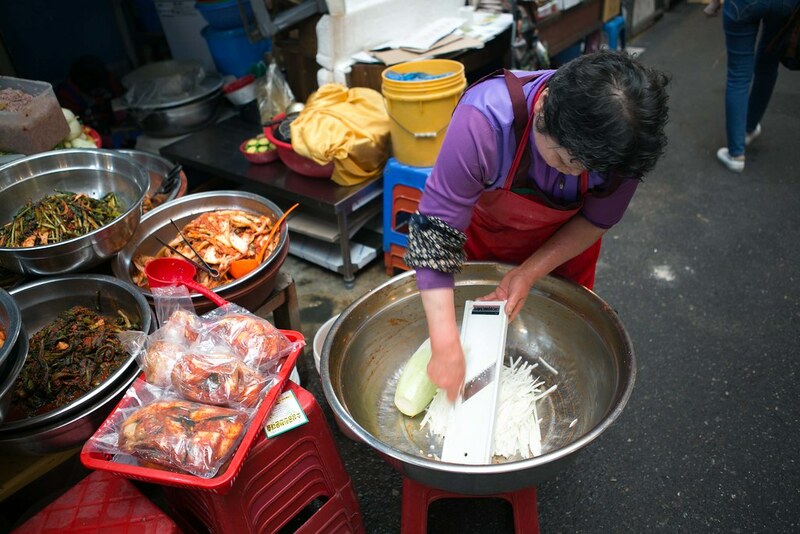 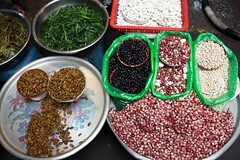 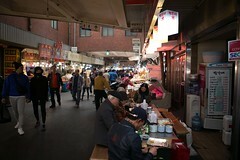 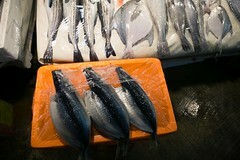 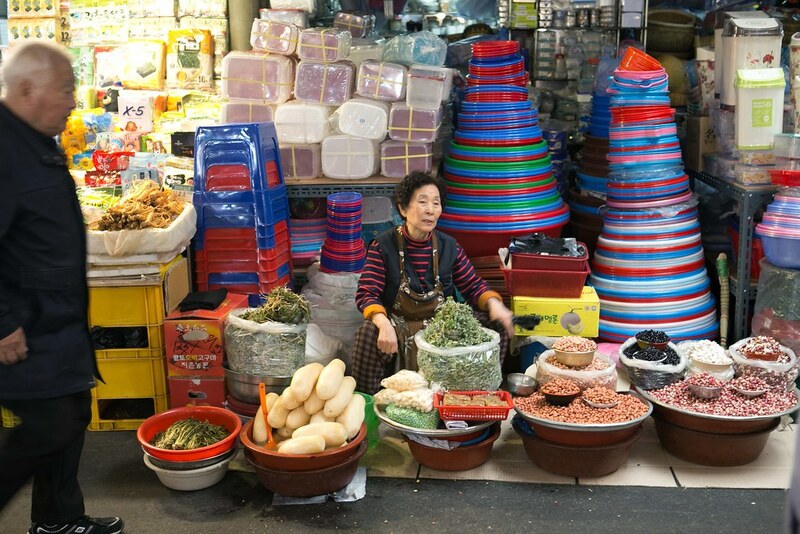 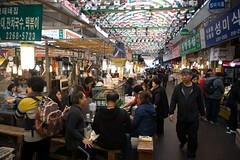 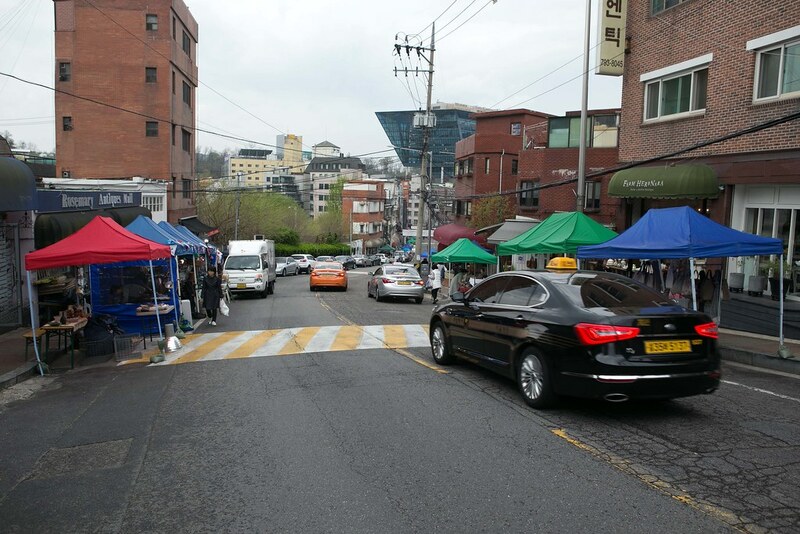 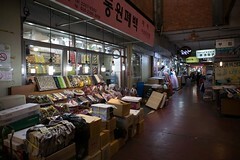 Gwangjang market is a huge market which comprises of the wet market, food, garment, spices, and clothing. 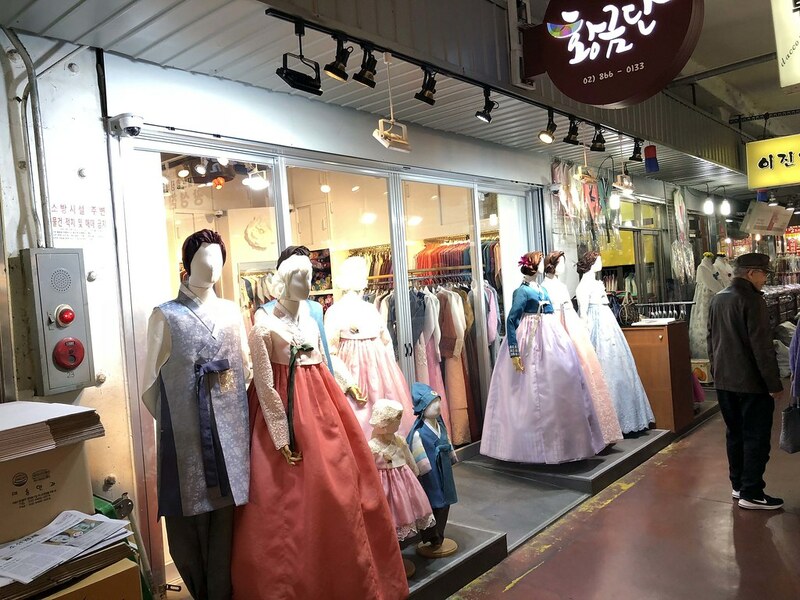 You can tailor make a hanbok here too. 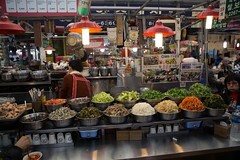 This market allows us to get a feel for what the locals eat and uses. 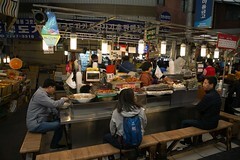 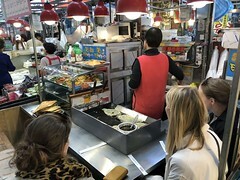 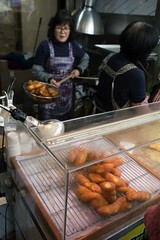 There are many nice foods in this market, find something you like and enjoy your meal at the stall. 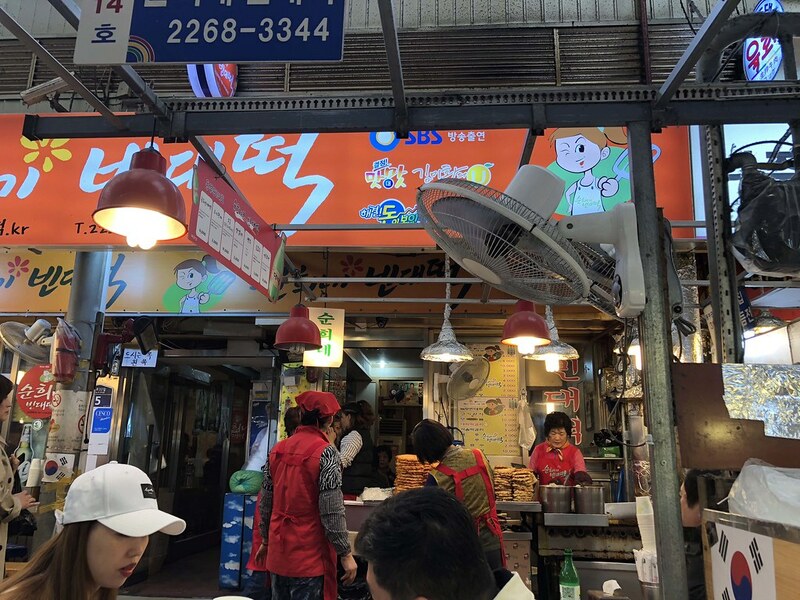 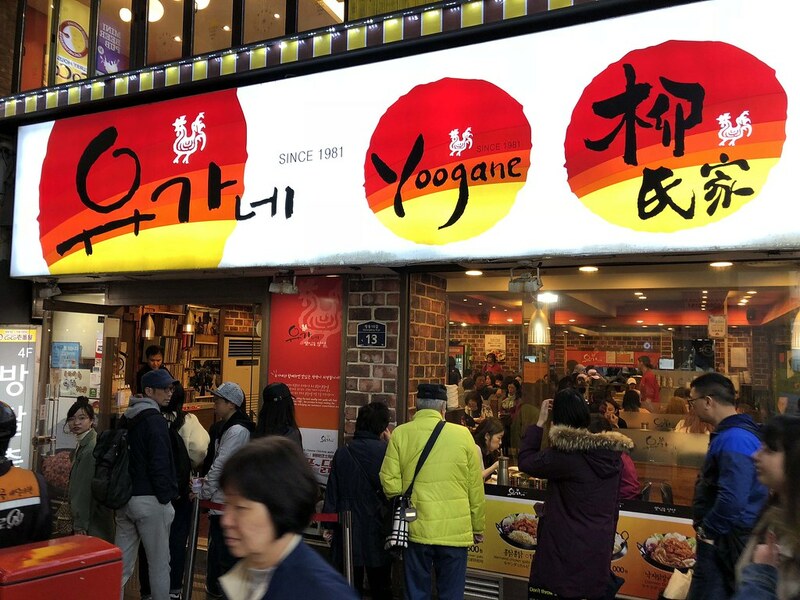 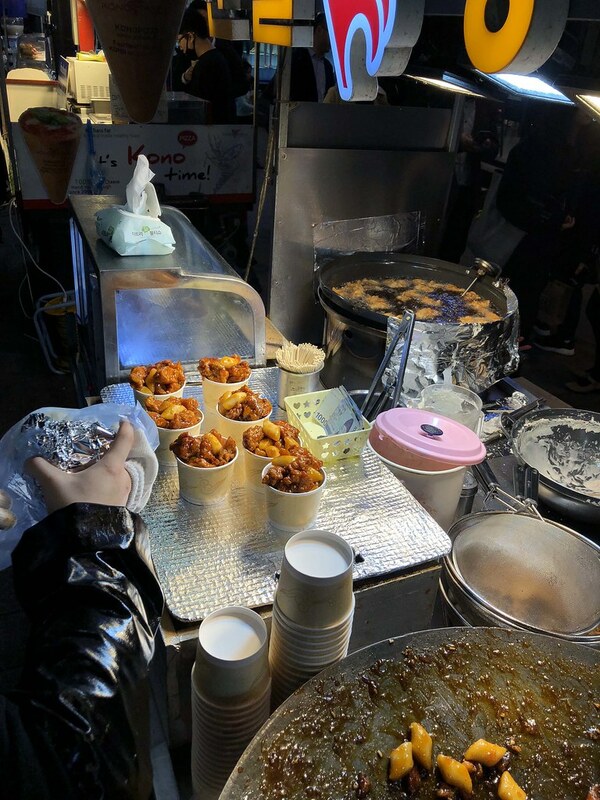 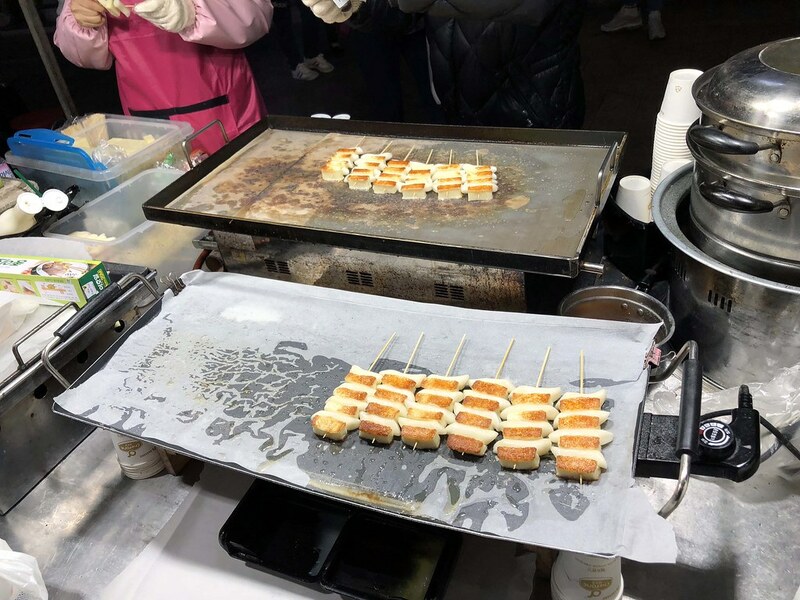 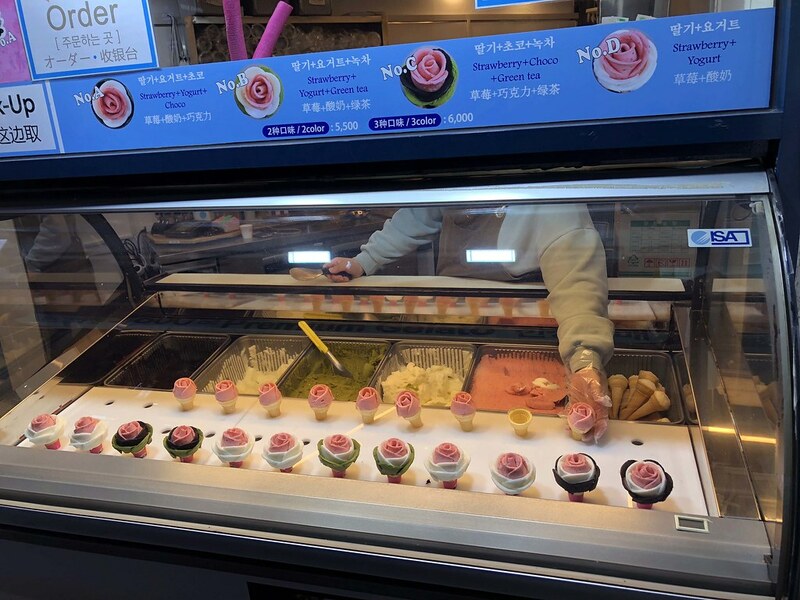 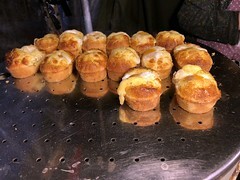 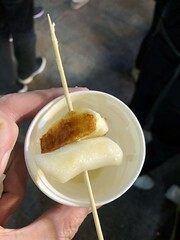 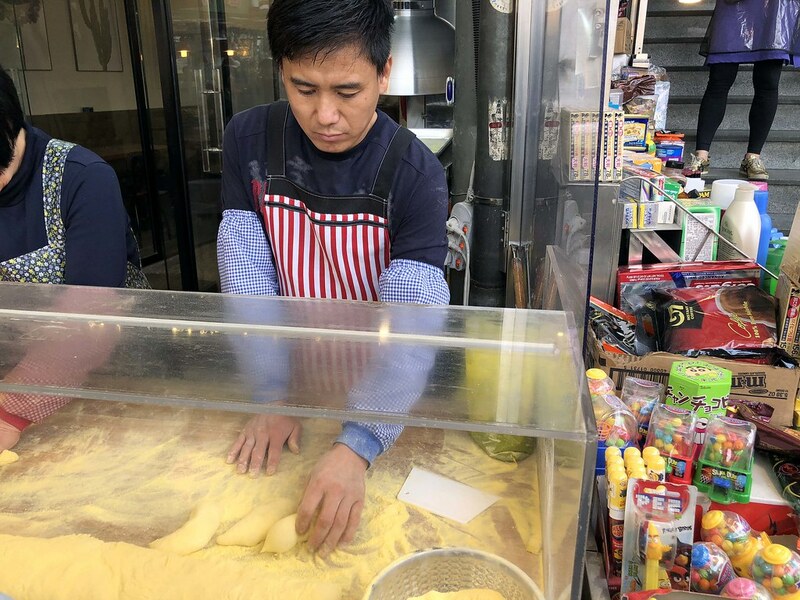 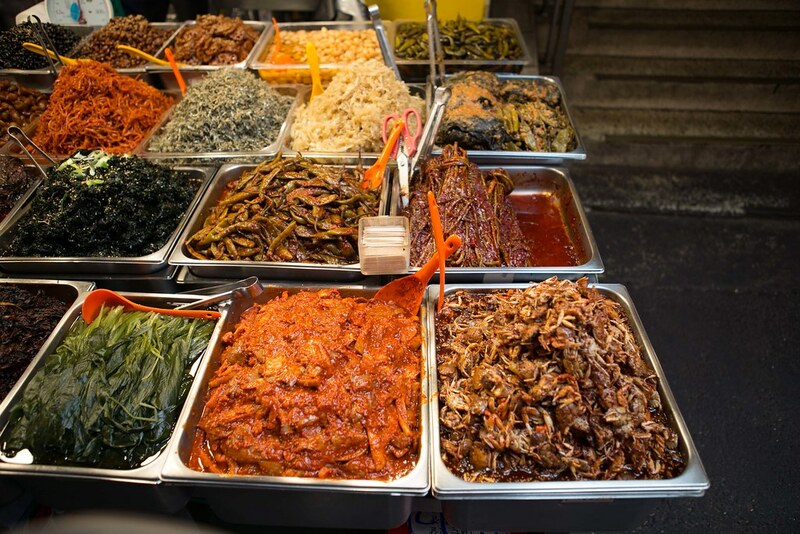 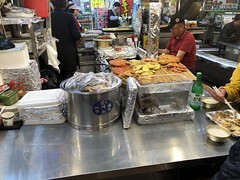 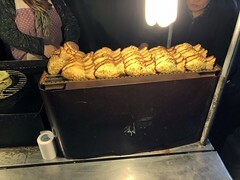 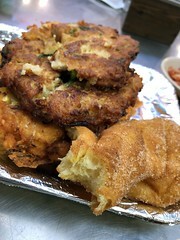 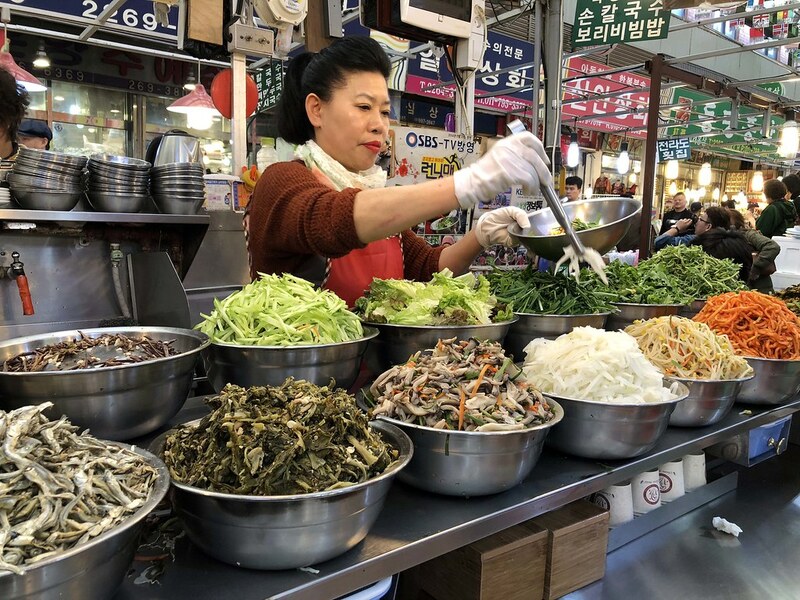 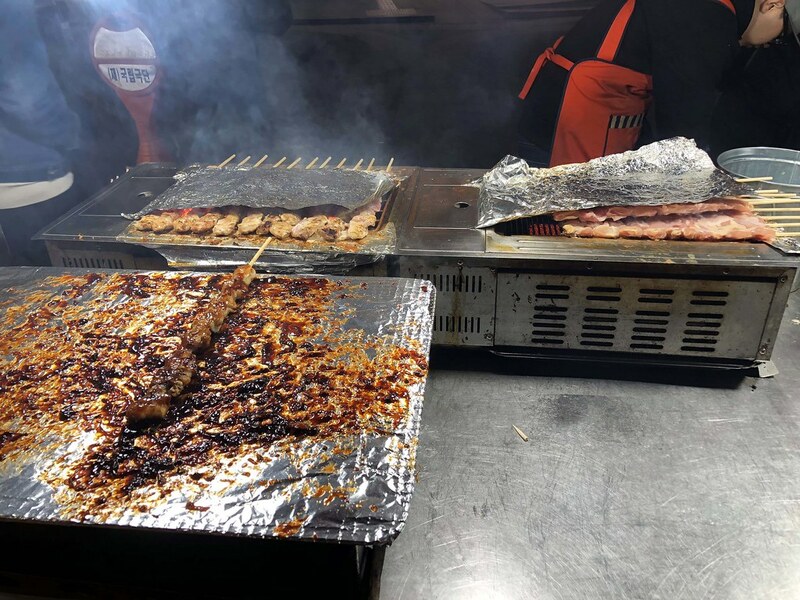 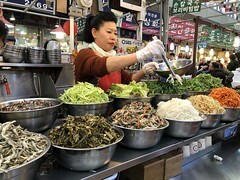 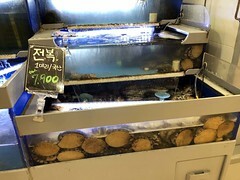 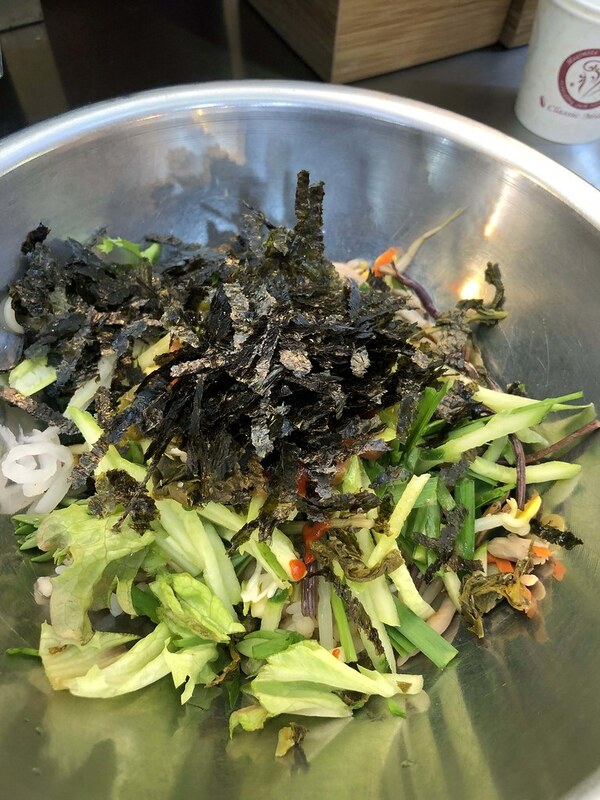 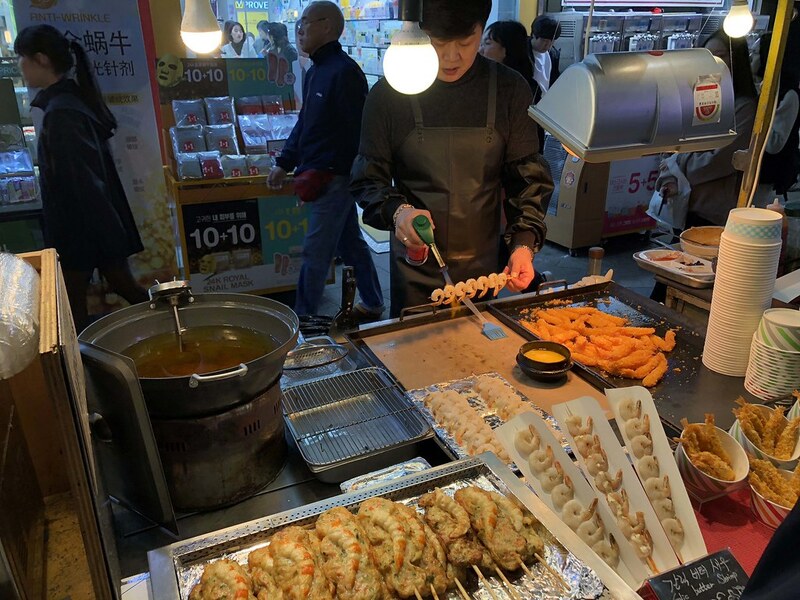 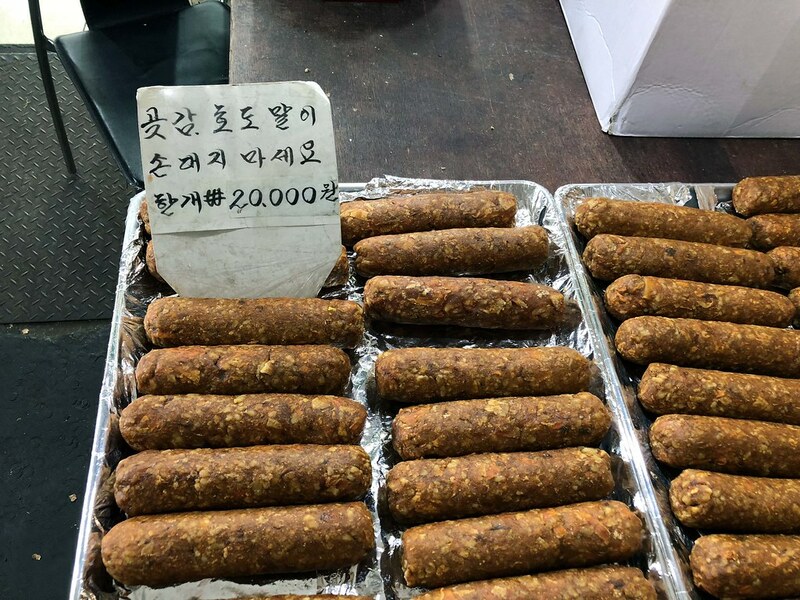 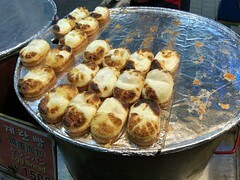 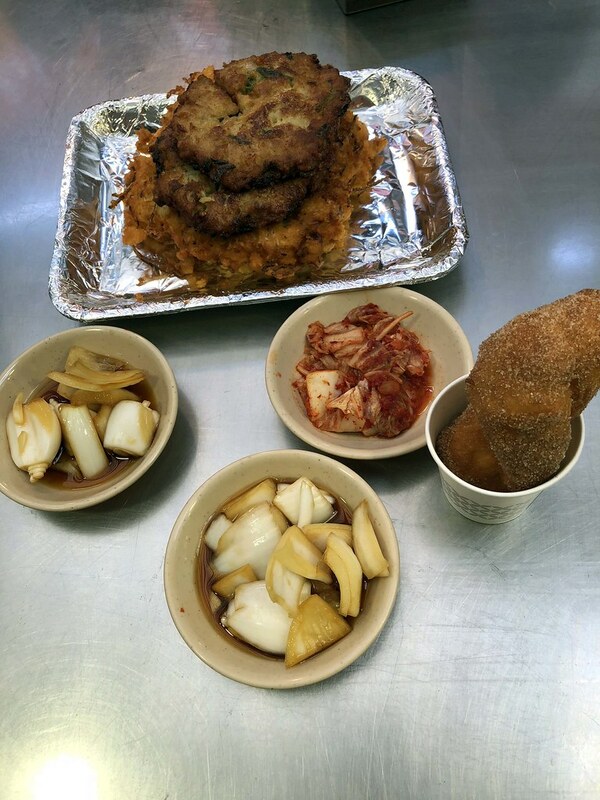 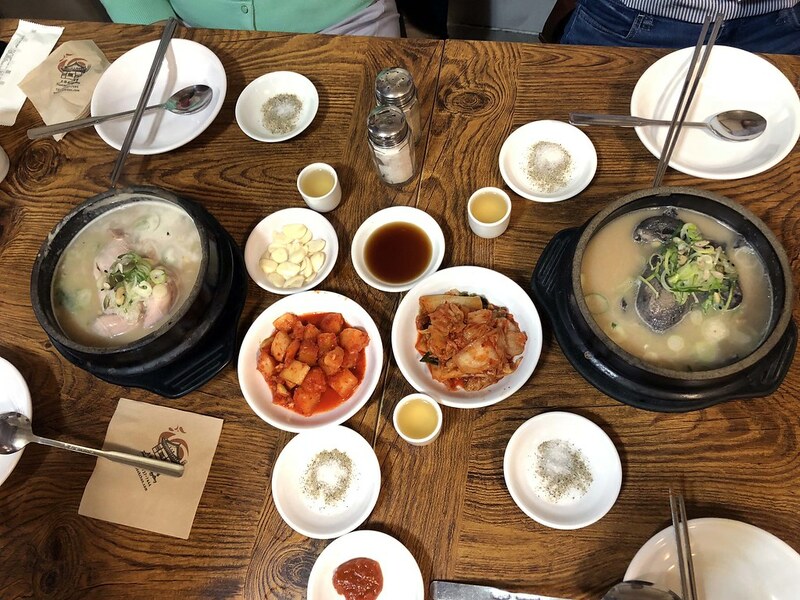 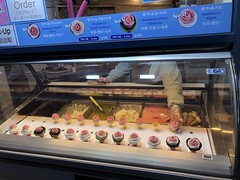 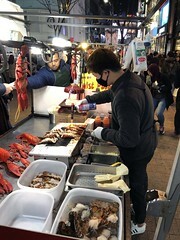 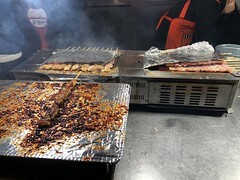 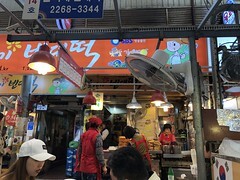 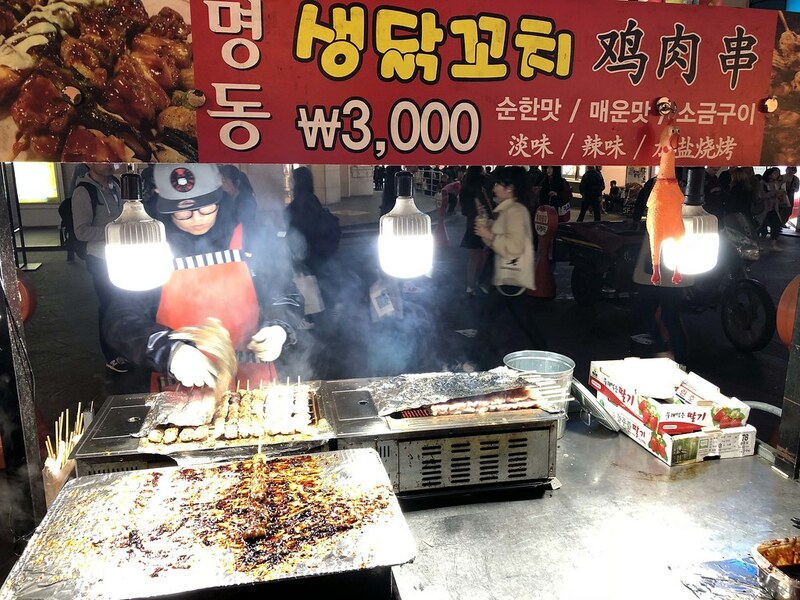 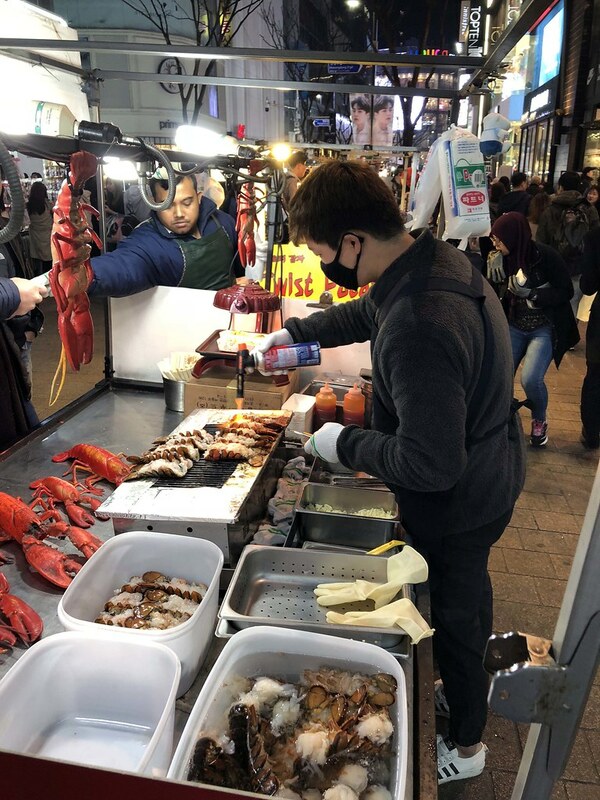 The must-try foods are the bibimbap, the mung bean pancake (Bindaetteok), Gimbap (Rice Roll), live squid, fried sole fish and the cinnamon roll near the market entrance. There are many shops selling sports apparel and bags around Itewon. 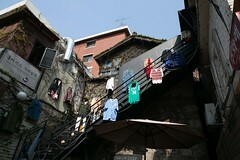 Some of the shops allow you to tailor make a jersey. 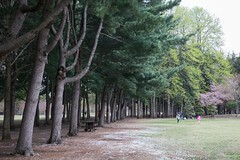 There are a lot of hidden gem around this area. 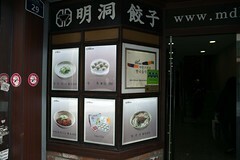 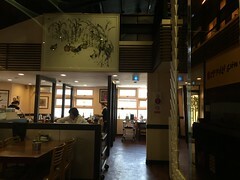 Cafe, restaurant mainly western cuisine. 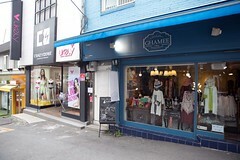 There are many shops selling women apparel. 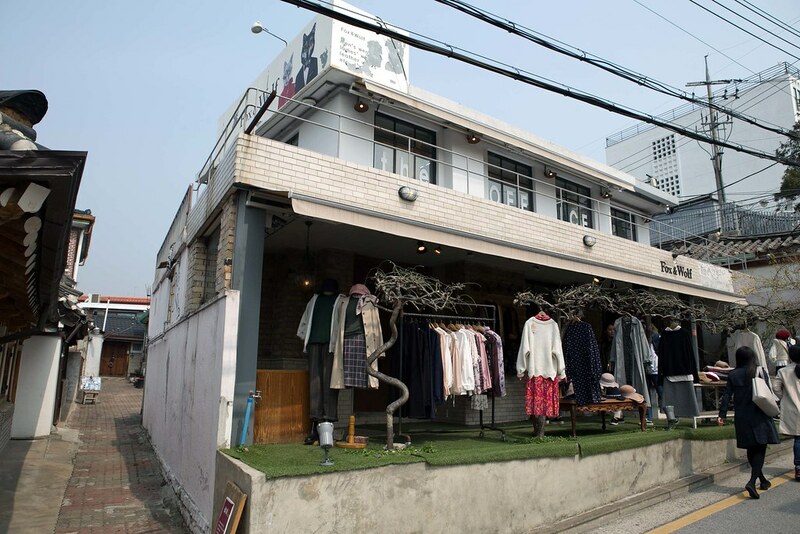 These shops are cozy and each has their own unique spot. 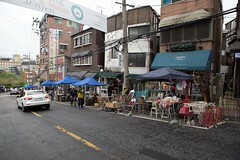 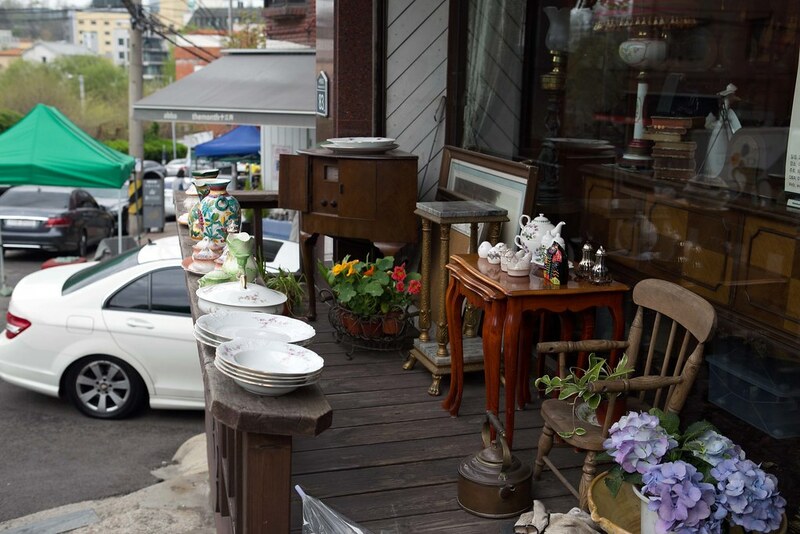 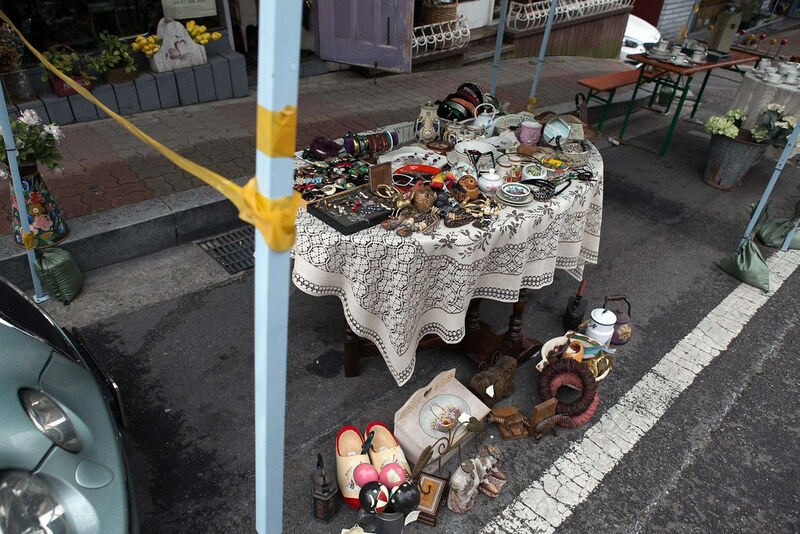 Look out for Bogwang-ro, this stretch of road sells antique and vintage furniture, household items. 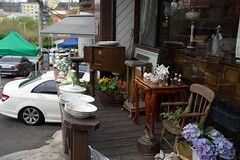 Many shops are selling English vintage items, ranging from utensils, cushion, blanket and much more. They happen to have an antique and vintage festival, every shop has set up a booth right outside their stall selling their best items. 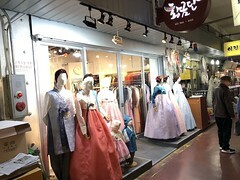 There are also shops selling women fashion apparel too. 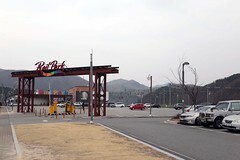 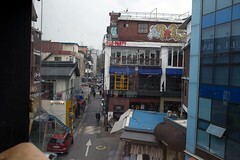 Getting there: Exit at Itaewon exit 4. 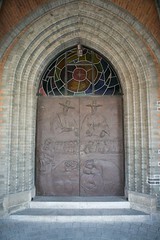 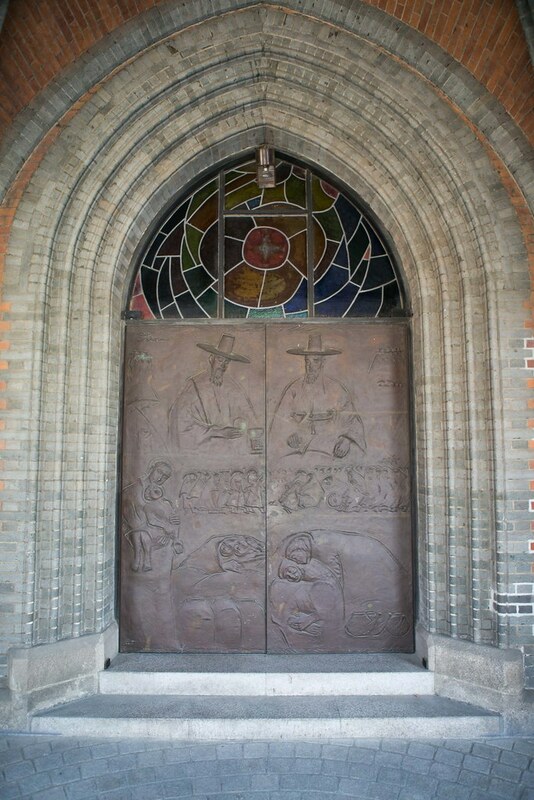 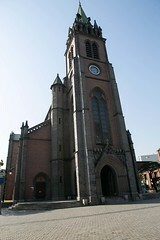 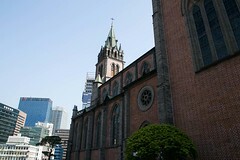 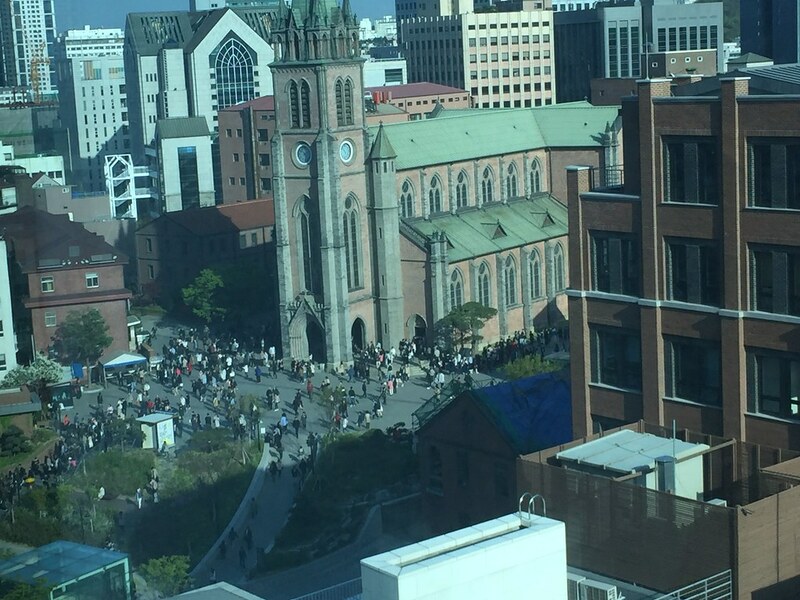 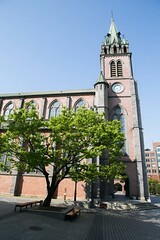 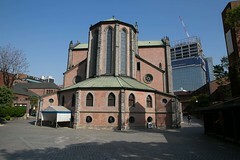 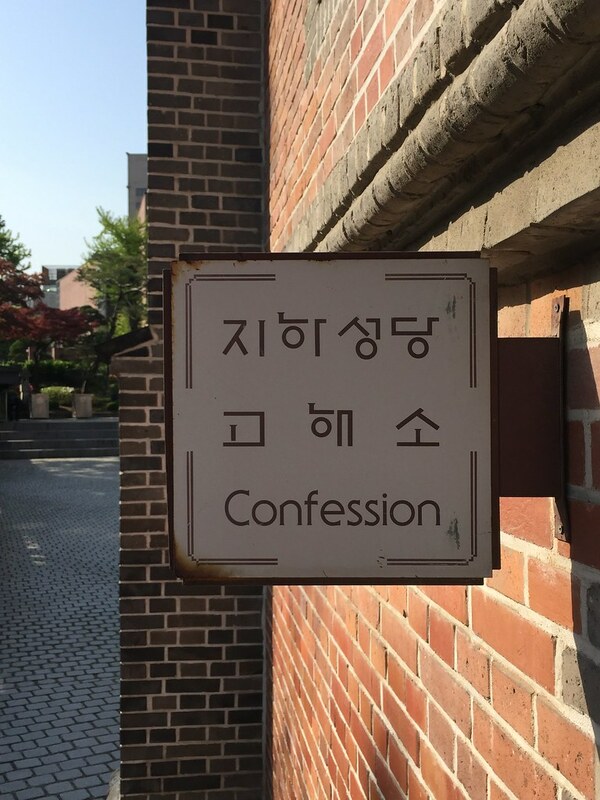 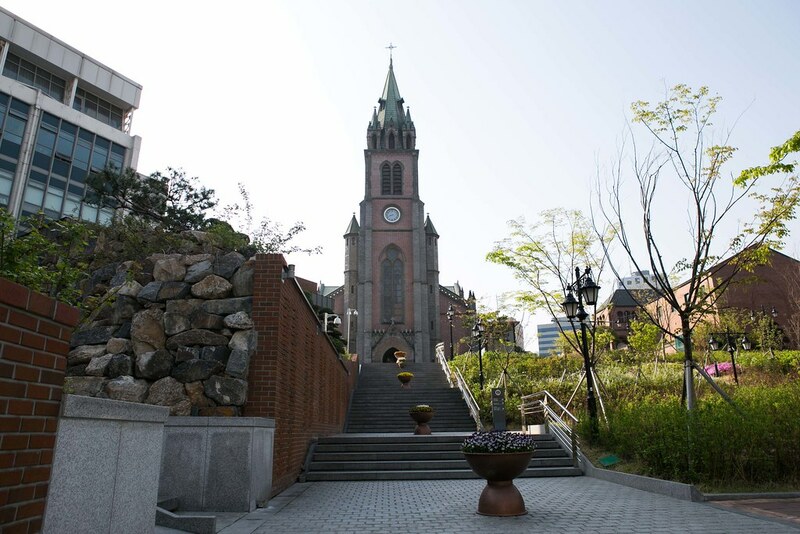 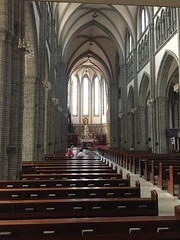 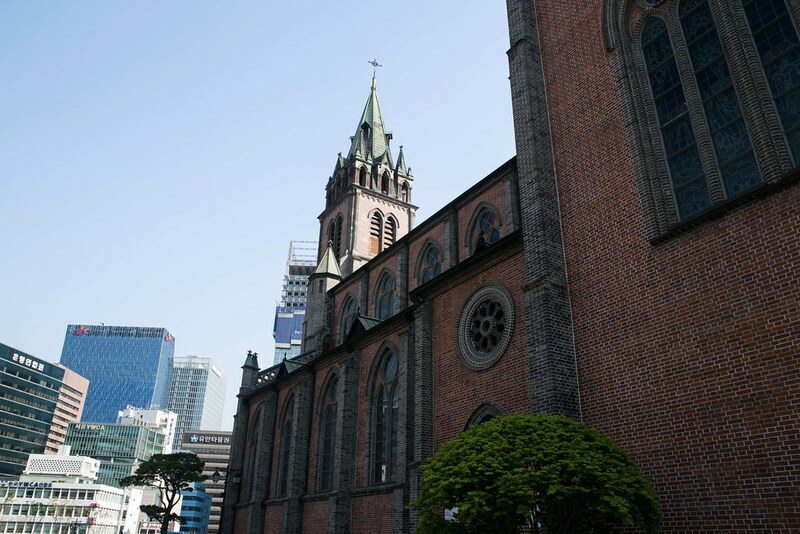 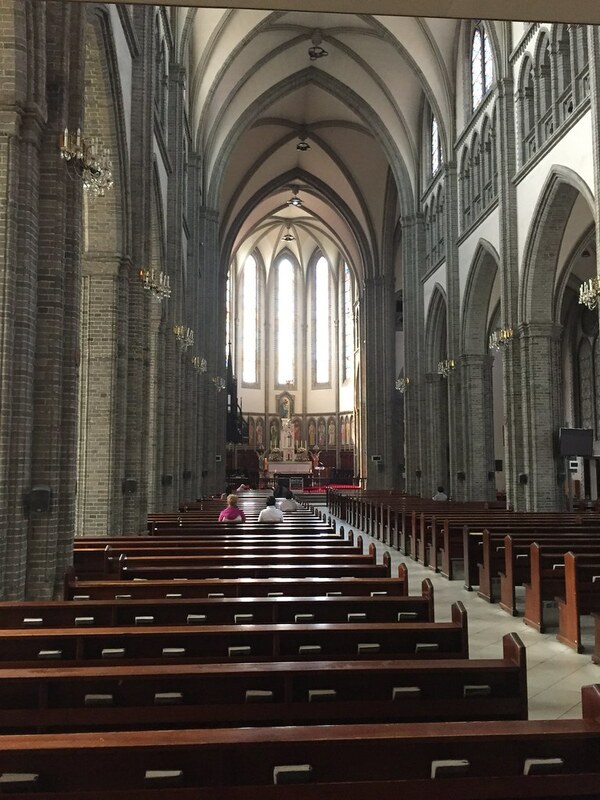 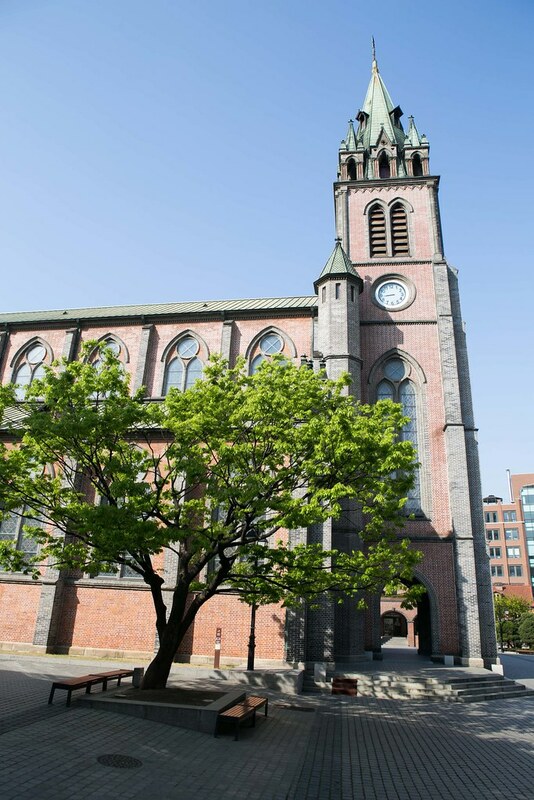 This is one of the oldest church in Seoul built in 1898. 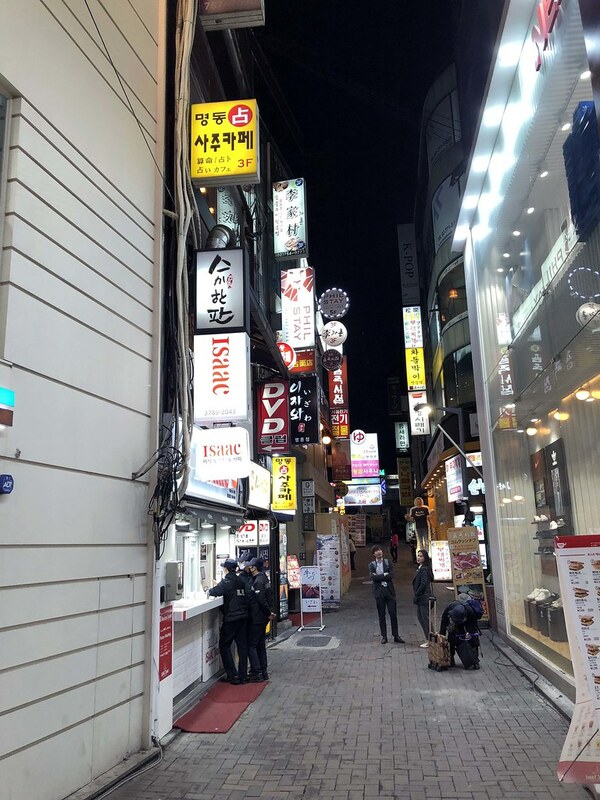 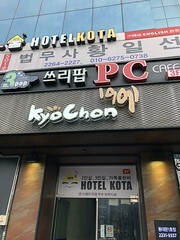 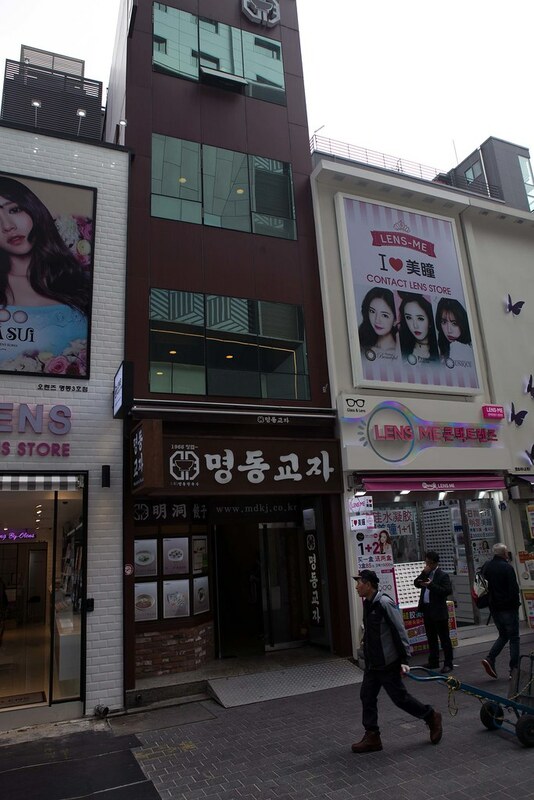 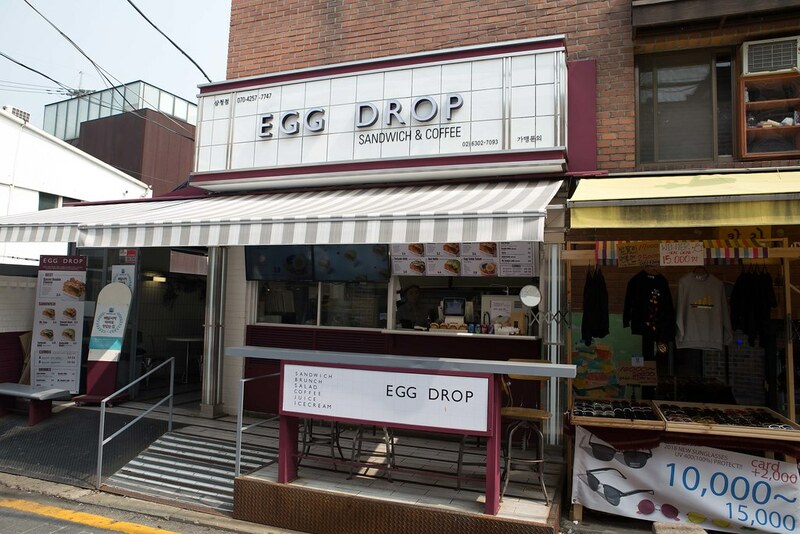 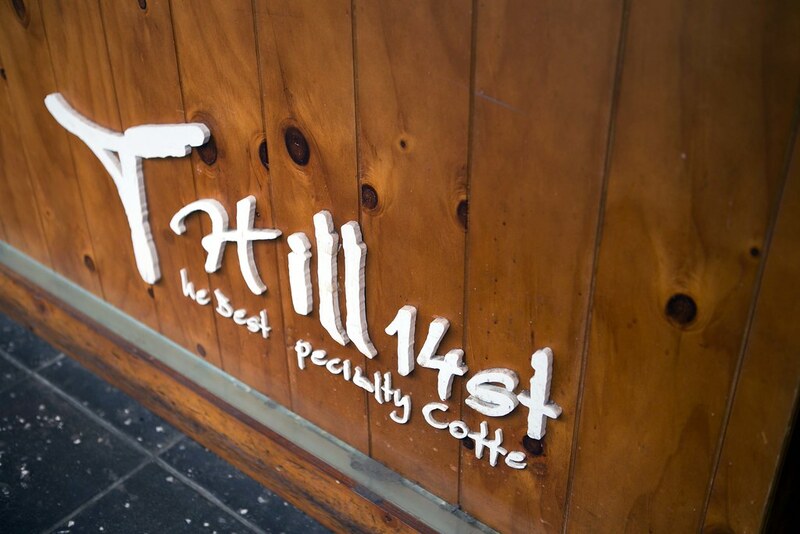 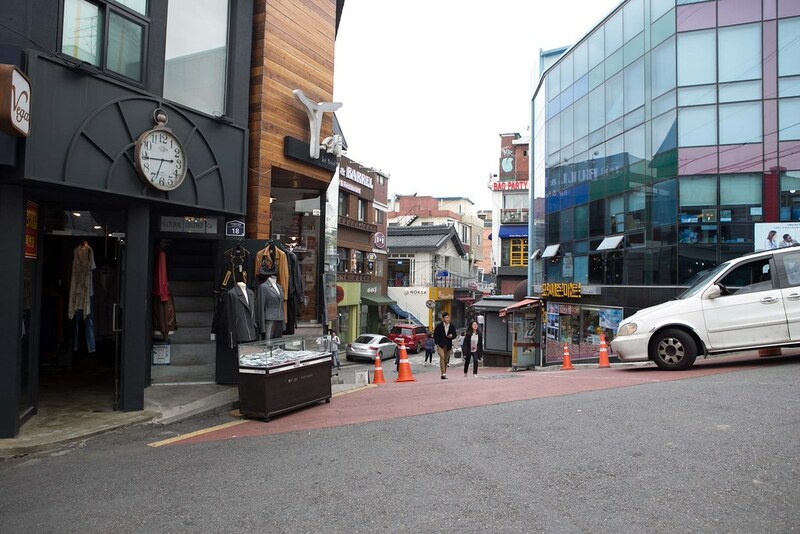 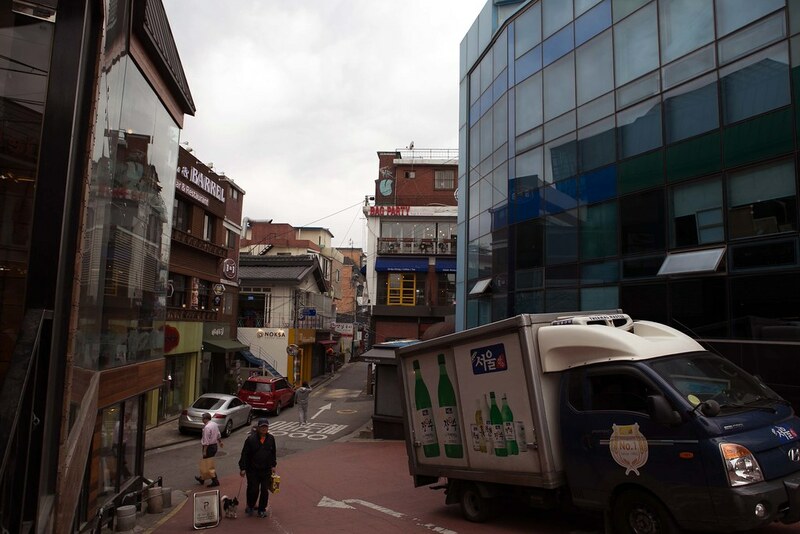 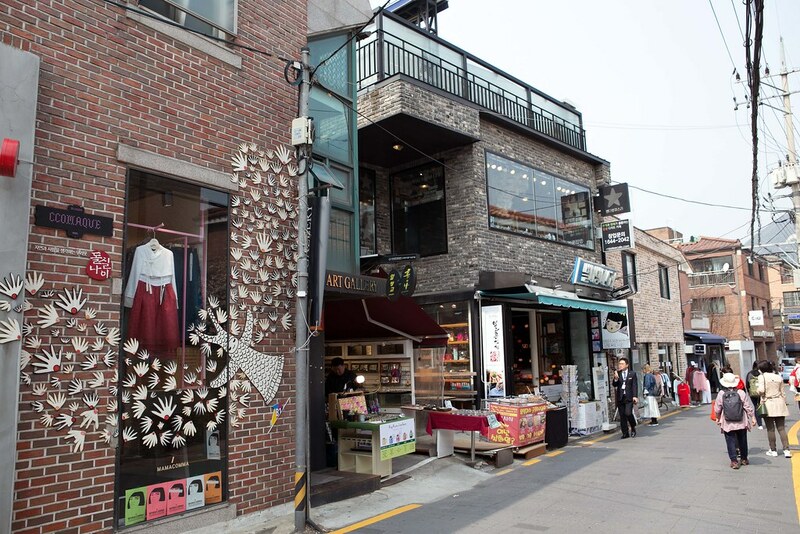 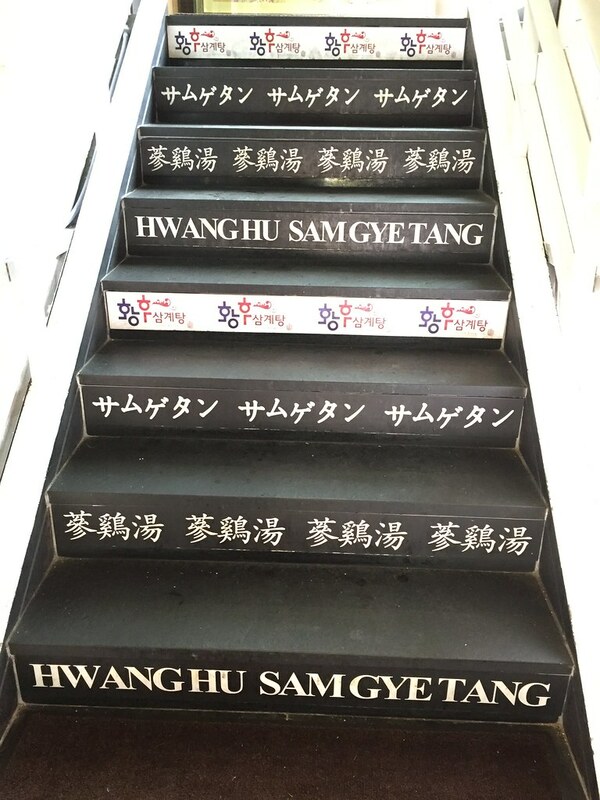 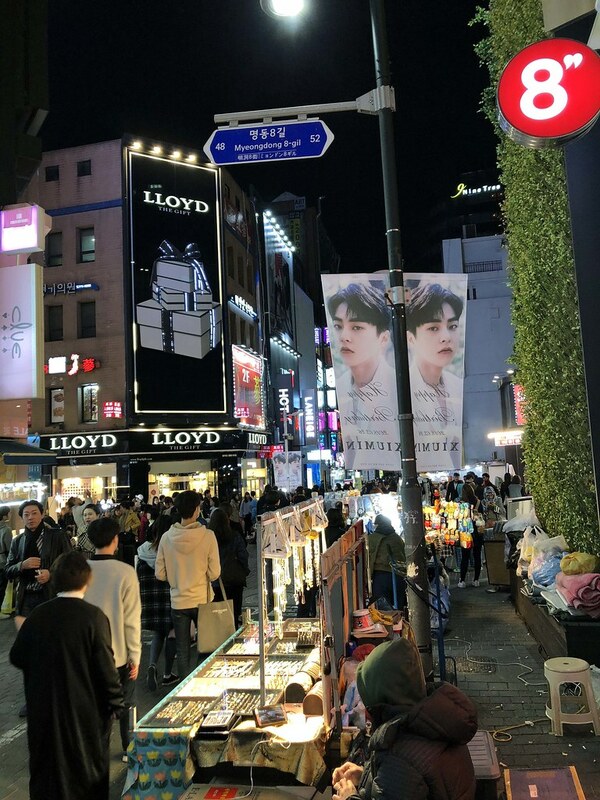 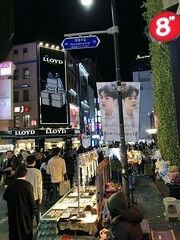 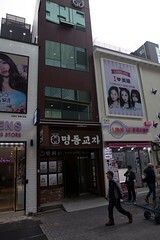 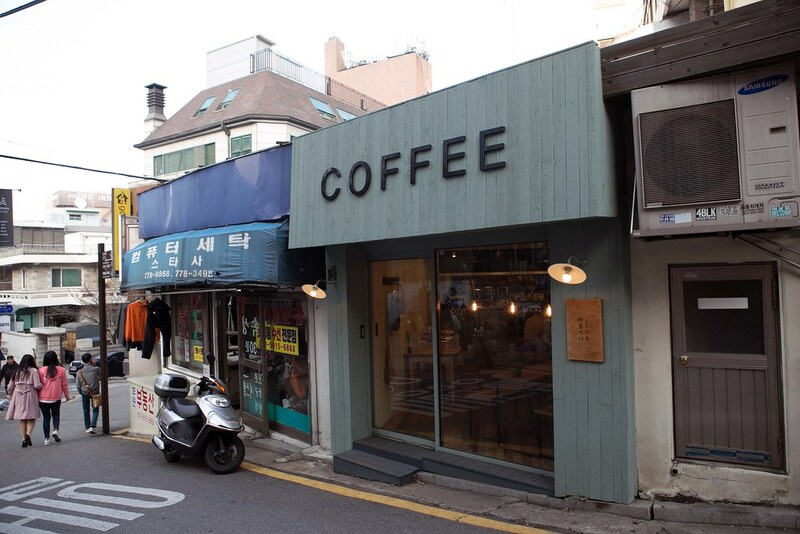 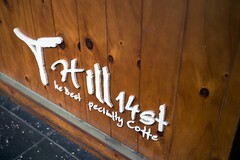 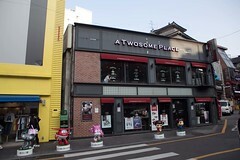 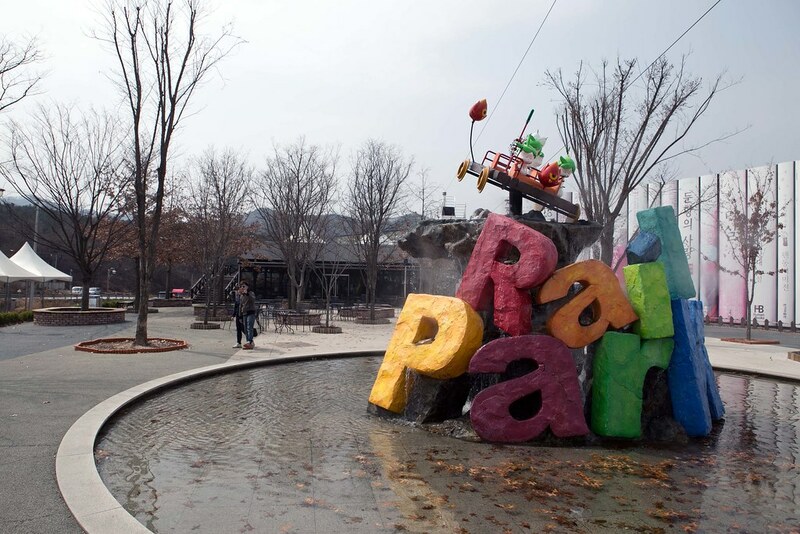 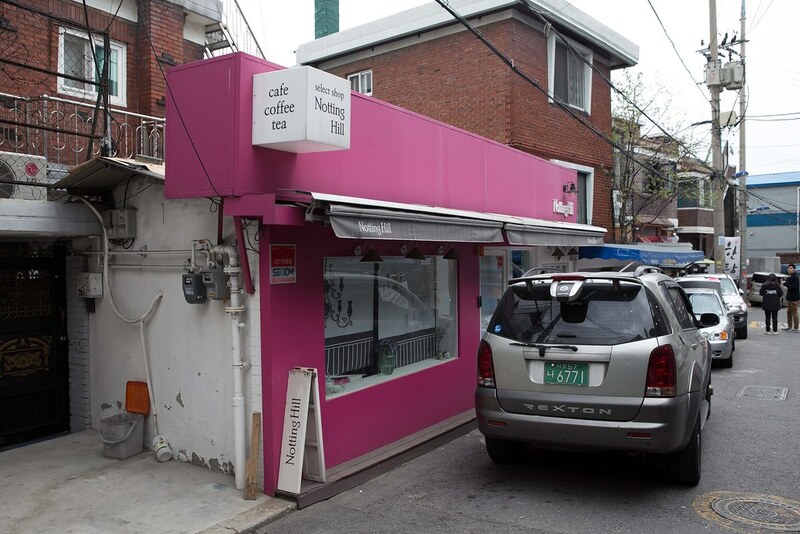 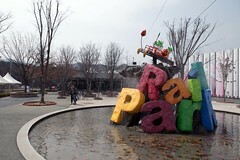 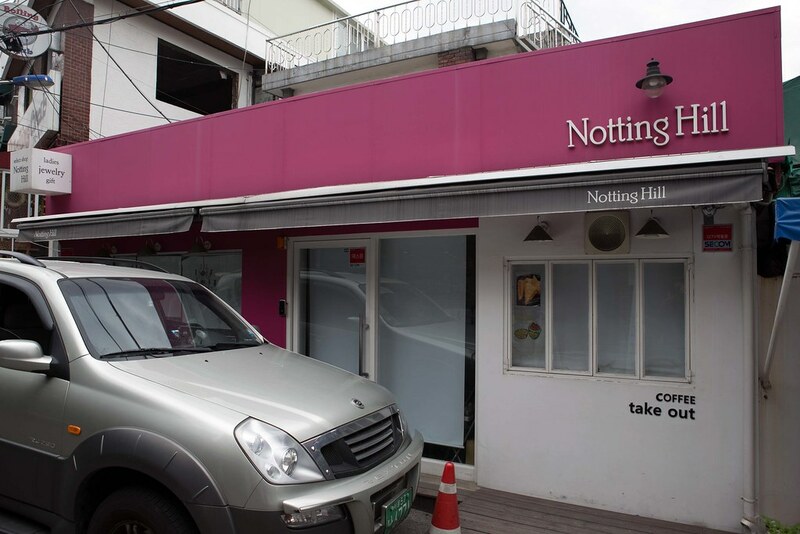 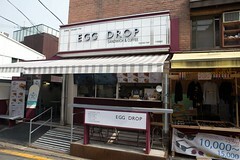 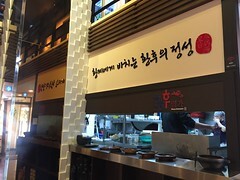 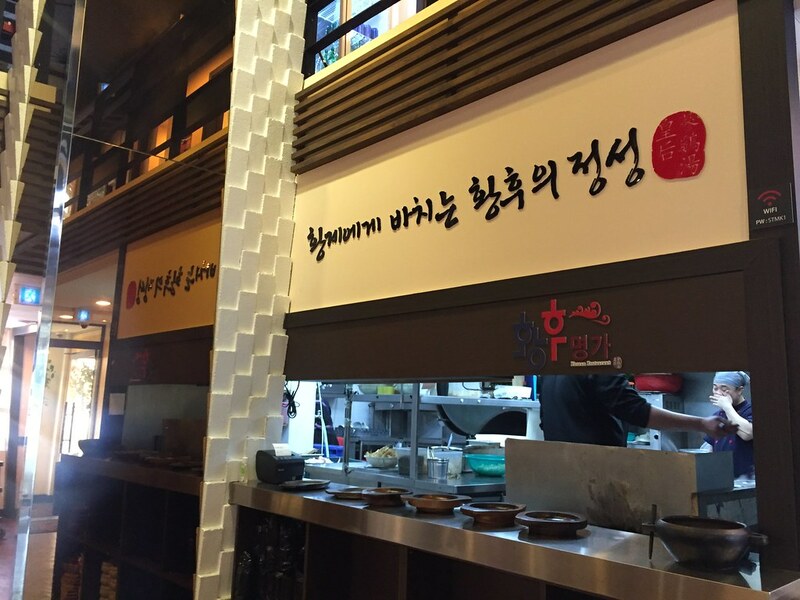 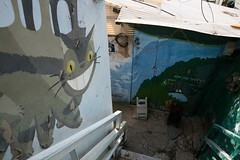 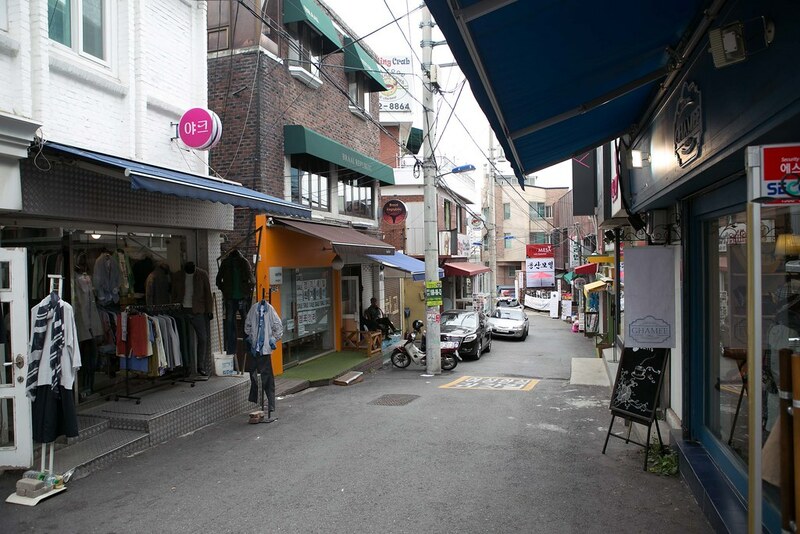 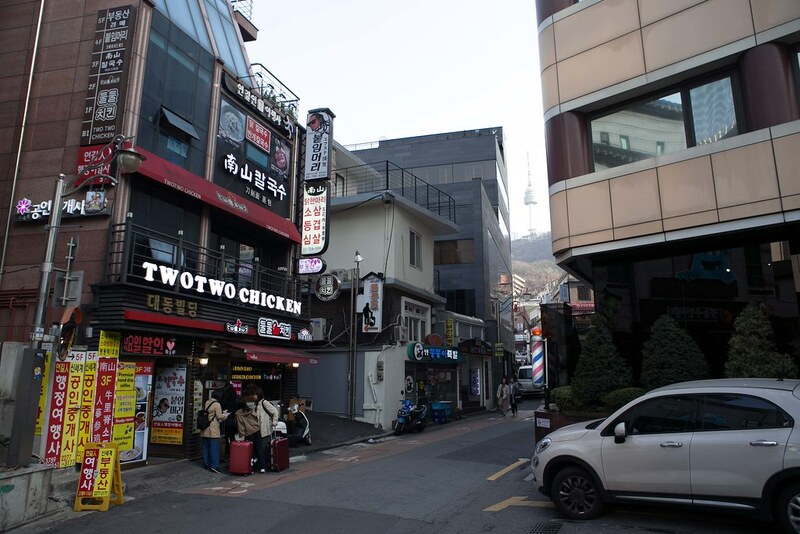 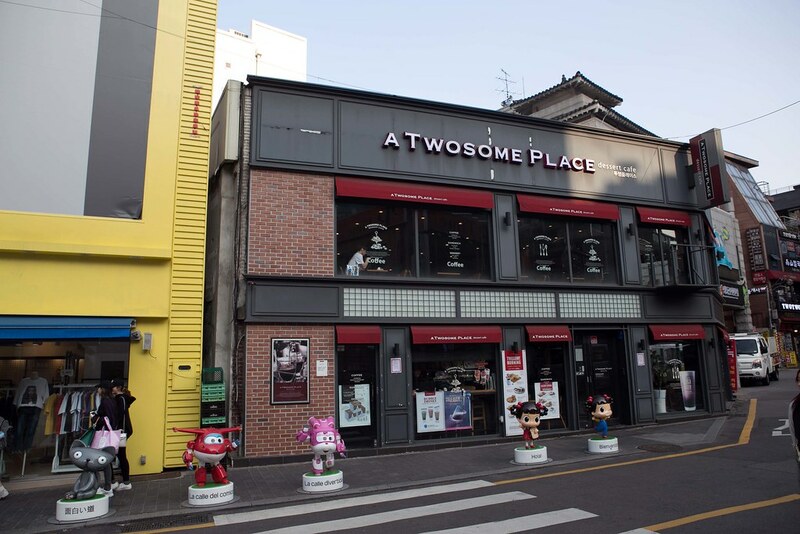 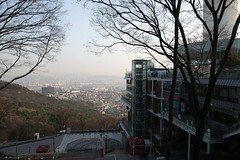 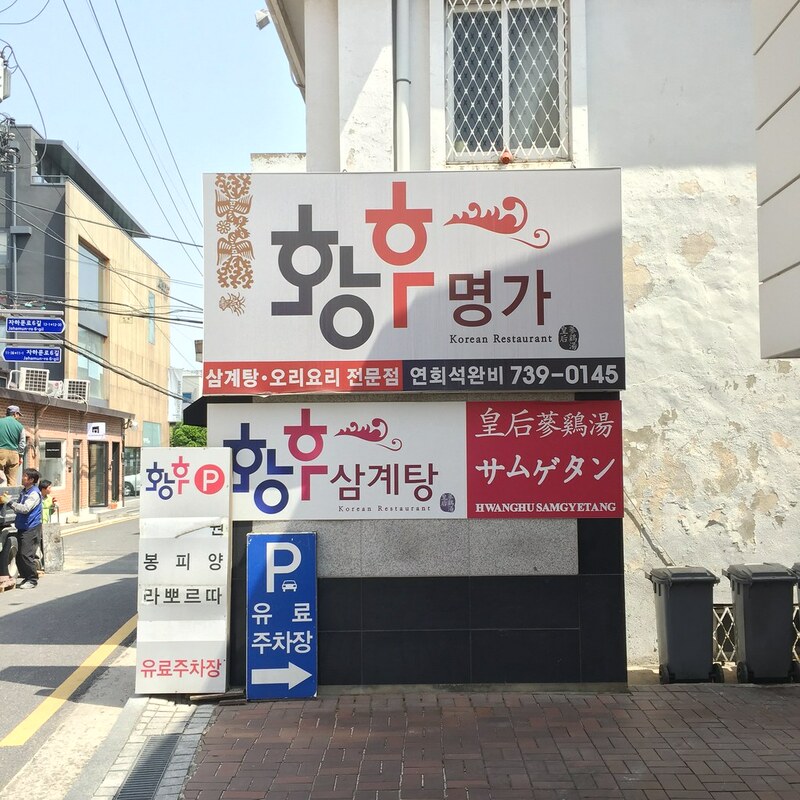 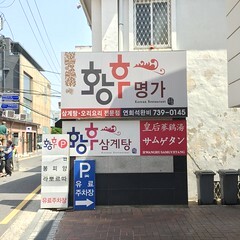 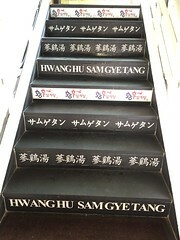 It is located in Myeongdong and is accessible by the Myeongdong station. 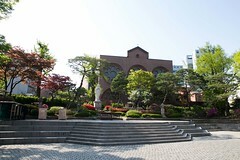 I would suggest going during sunrise or sunset for photo shooting as the afternoon sun tend to wash out the beautiful red color of the brick. 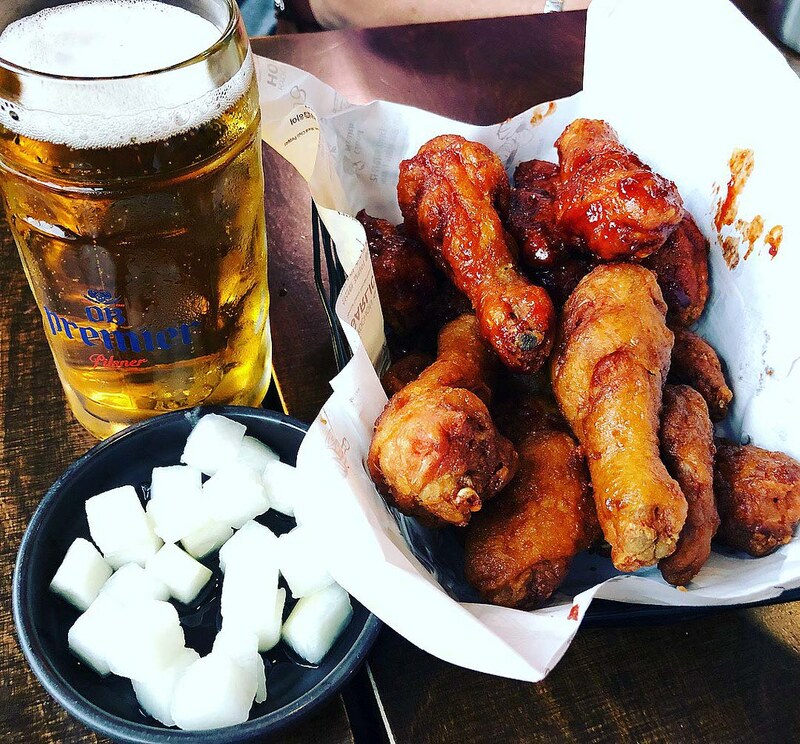 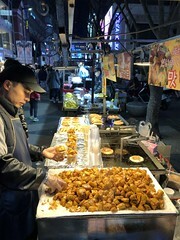 Korean fried chicken is popular and are everywhere in Seoul. 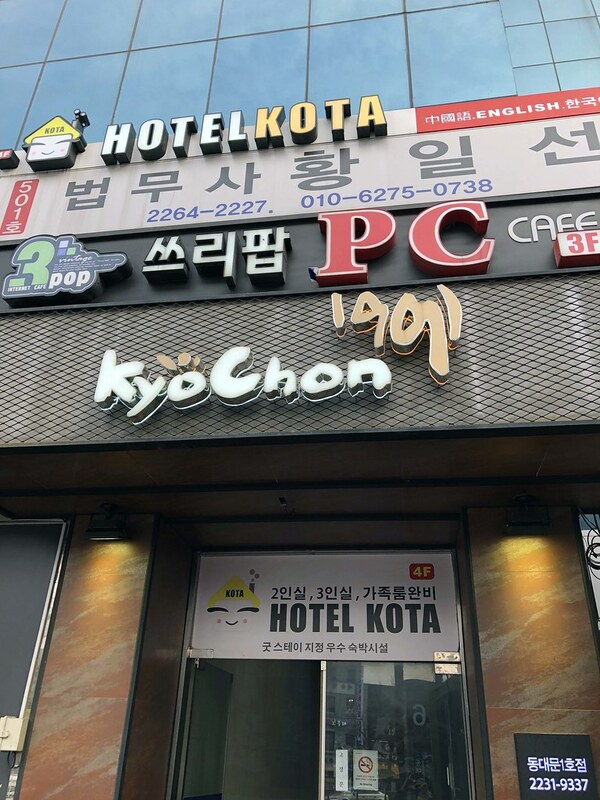 I tried the fried chicken at Kyochon and love it. The skin is very crispy and the meat is juicy and tender. 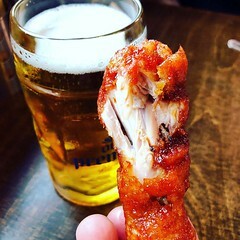 It goes well with a beer.